Immerse yourself in the extraordinary world of our customers and solutions. 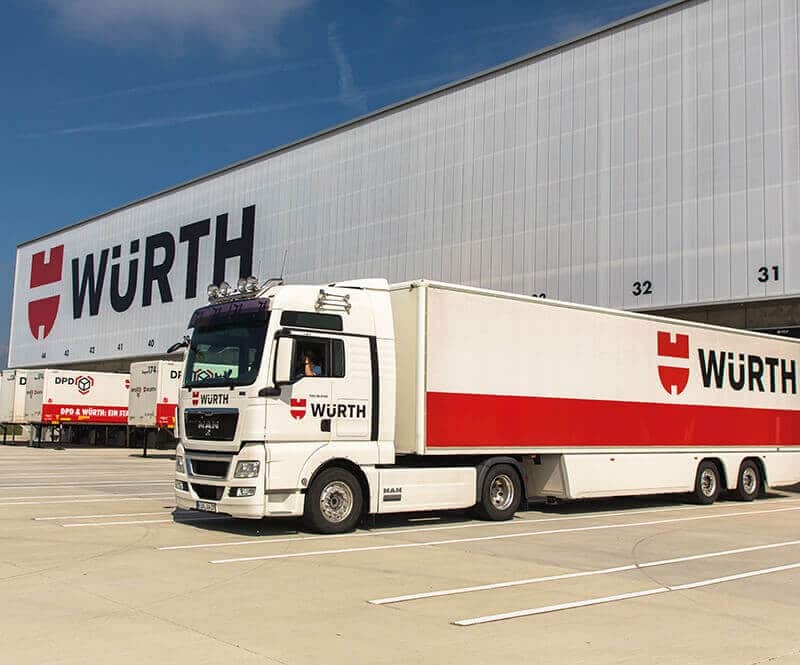 The Würth Group has 400 companies in more than 80 countries with over 63,000 employees. The article range includes over 100,000 items such as screws, plugs, tools, fittings for furniture as well as construction and industrial safety products. 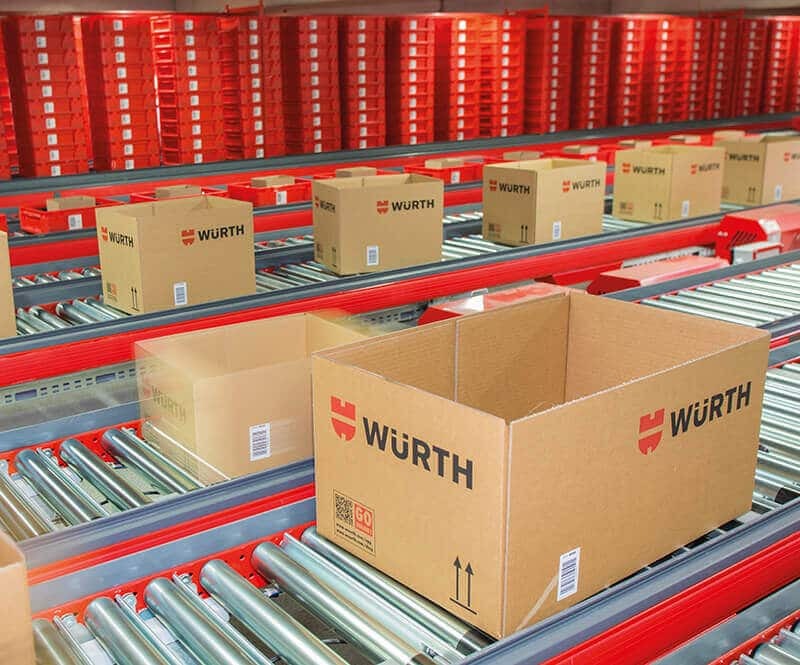 In the most modern, high-performance distribution centre of the Würth Group, around 60,000 order positions are processed daily, and most of the items in the range are heavy. 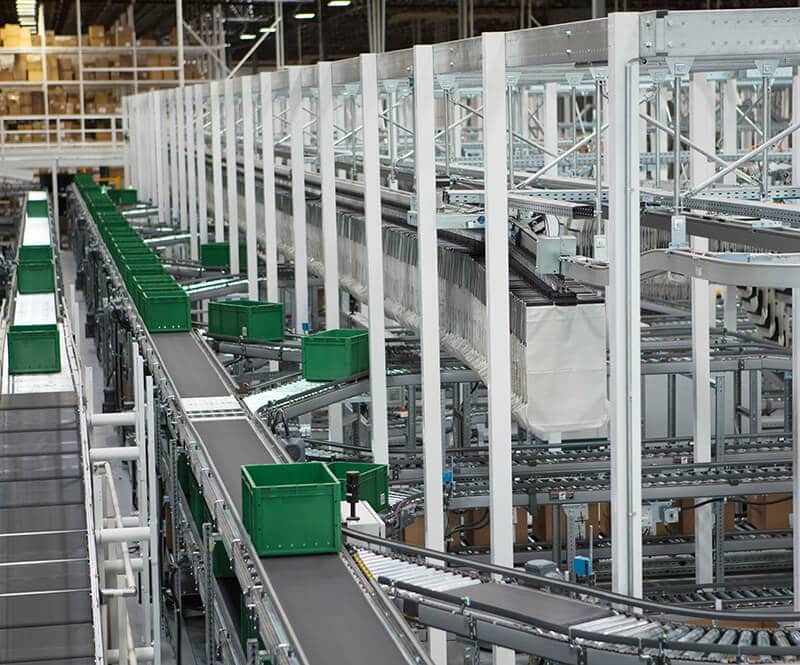 All warehouse processes are decoupled from each other, thanks to the combination of a dynamic workload control system and the use of a buffer. 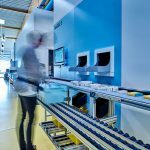 This guarantees maximum flexibility between automation, the use of resources in manual, semi-automatic and fully-automatic stations, and departure times – resulting in a highly-flexible, end-to-end system. Moreover, the goal was a system with one-touch-handling. 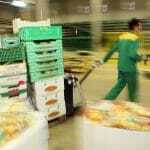 Each item that leaves the logistics centre is touched only one time during processing. The ergonomic Pick-it-Easy work stations are designed according to the latest occupational health information and make it possible to pick even heavy parts ergonomically. 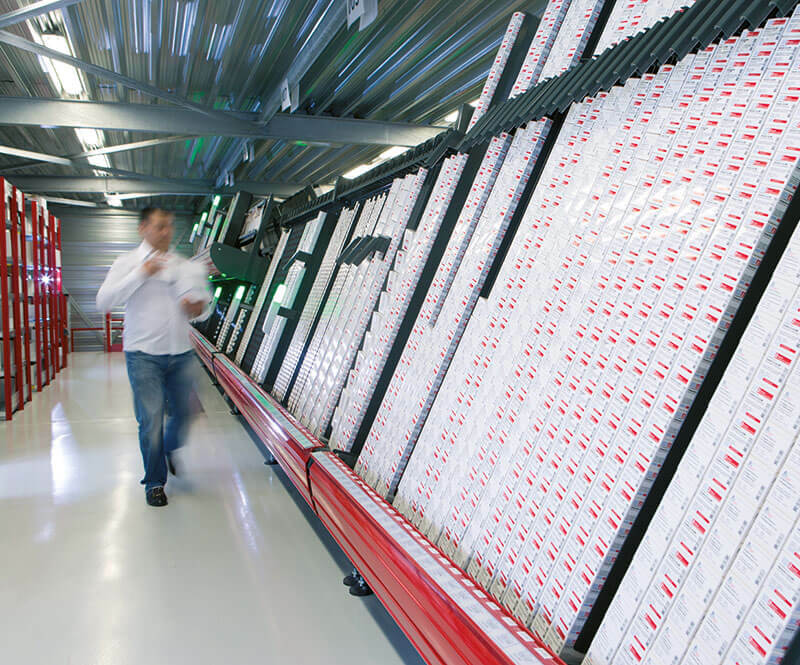 Special start and route algorithms coordinate all of the processes within the warehouse. 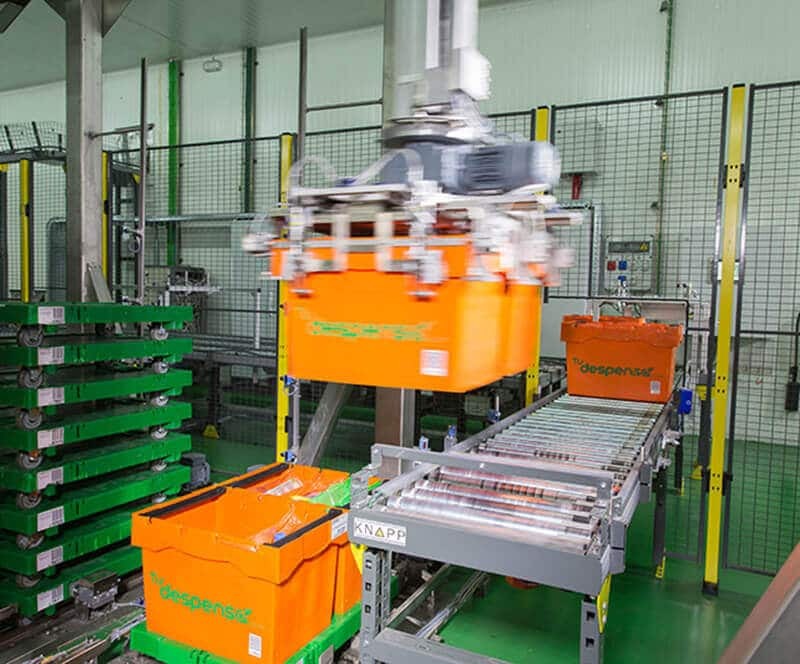 Four fully-automatic pallet cells complete the dispatch process where cartons are stacked on a goods-out pallet based on optimal packing patterns. ALOG, the leading subsidiary of the Alibaba Group in China, offers high-quality logistic services for tmall.com, the Alibaba online grocery portal. Their online ordering needed to be efficiently organized. 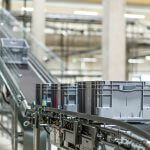 KNAPP therefore designed a conveyor-supported, manual solution with a dispatch sorter. 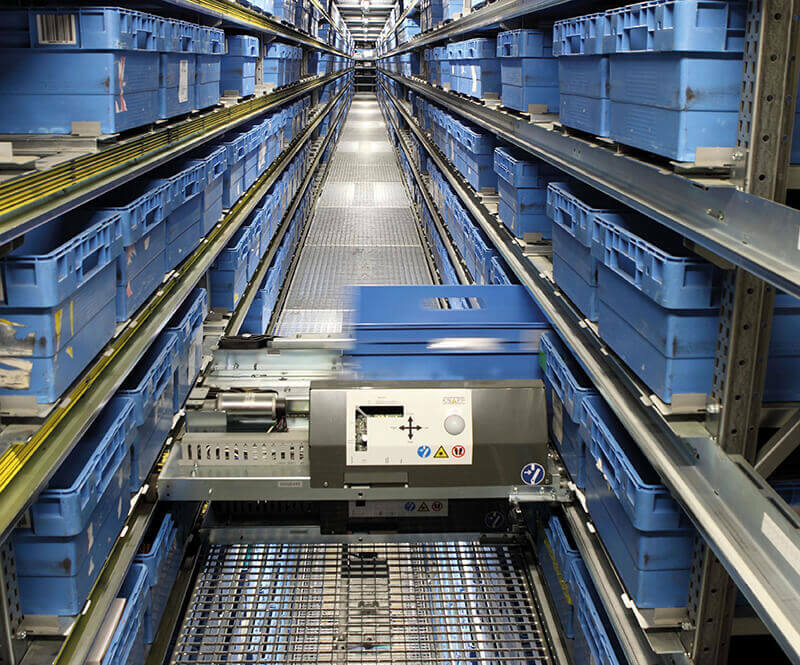 Fast and medium movers are picked from a flow rack. 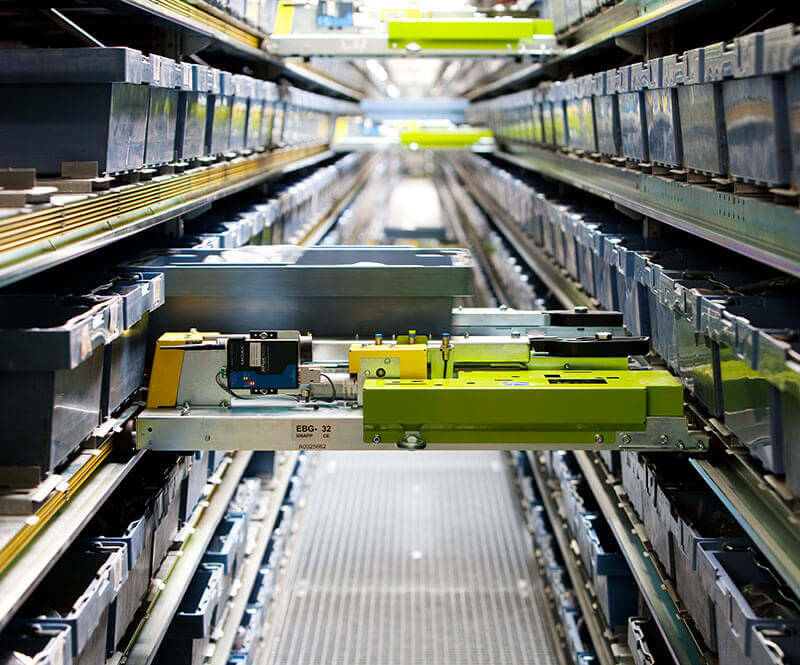 Slow-movers are picked in batches from static racks. 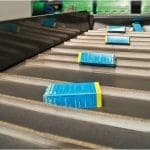 The powerful Streamline conveyors reduce walking time within the warehouse and bring efficiency to the picking process. 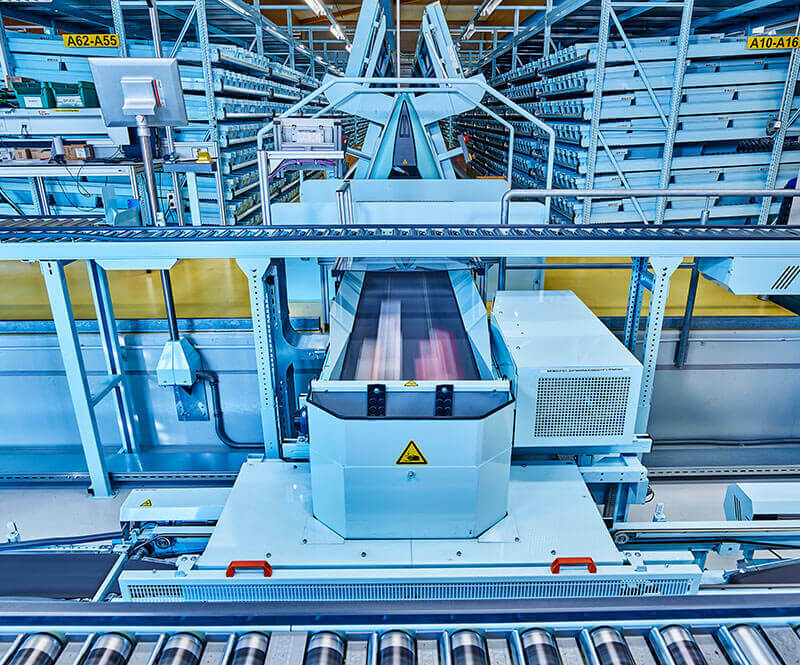 A high-speed sorter automatically sorts the completed orders. 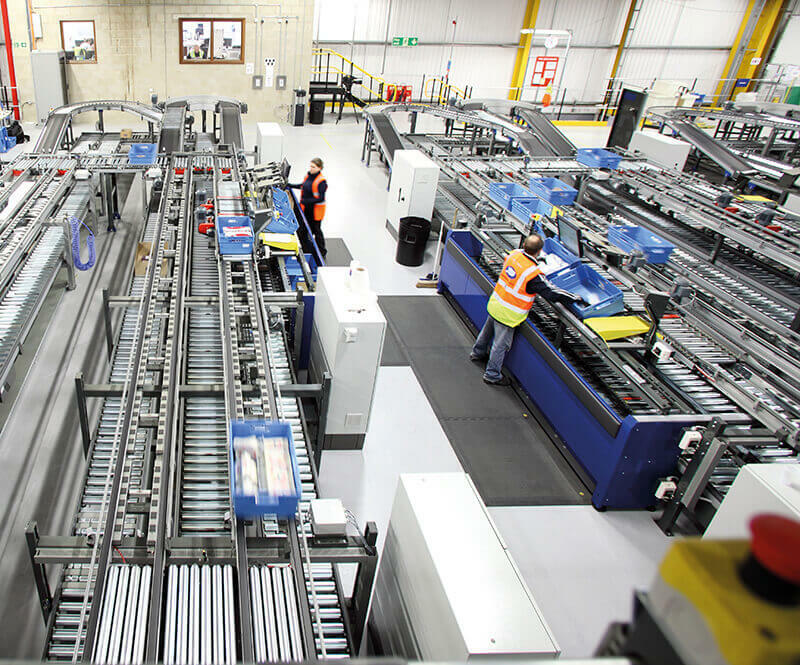 Each hour, 6,500 orders can leave the warehouse, sorted according to post code. Besides distributing pharmaceuticals, Alpha Pharm supports over 850 pharmacies and the Alpha Clinics health centres with medical assistance. 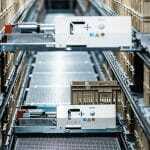 As the margins for pharmaceutical wholesalers in South Africa are determined by the South African Department of Health and the costs for electricity and personnel are continuing to rise, Alpha Pharm opted for a state-of-the-art automation solution. 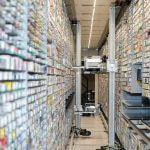 In addition, the company was facing a growing number of SKUs that needed to be handled with the same storage space. The OSR Shuttle™ with sectioned storage containers offers a space-effective, flexible and secure solution for storing small articles. 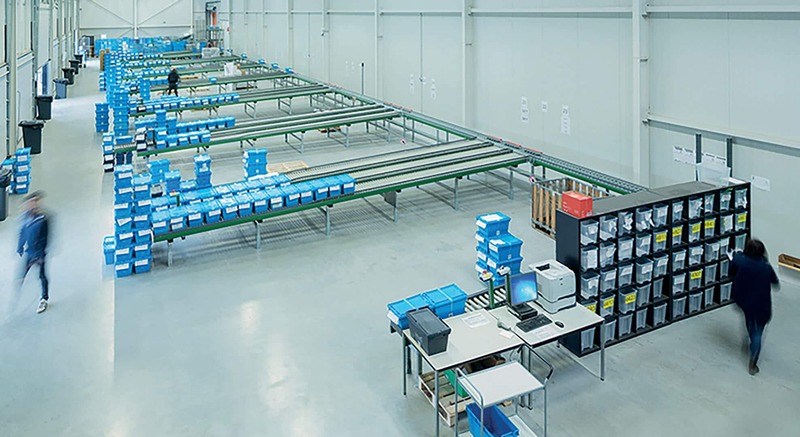 The Pick-it-Easy work stations permit ergonomic and reliable order fulfilment, because the goods-to-person principle reduces the walking time for personnel and increases efficiency. In manual picking areas, RF picking supports personnel and makes error-free working a reality. The container flow is streamlined and the KNAPP solution raised the throughput while lowering the error rate. 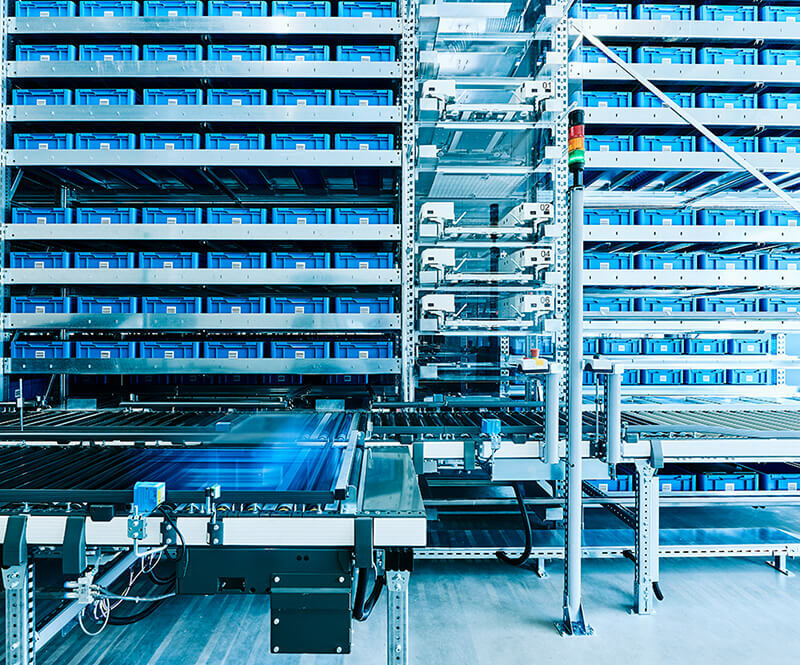 Apologistics is moving into a new sector in pharmaceutical retail – e-commerce. Through the online portal, apodiscounter.de, customers can order their medicines online and receive them comfortably at home within 24 hours. 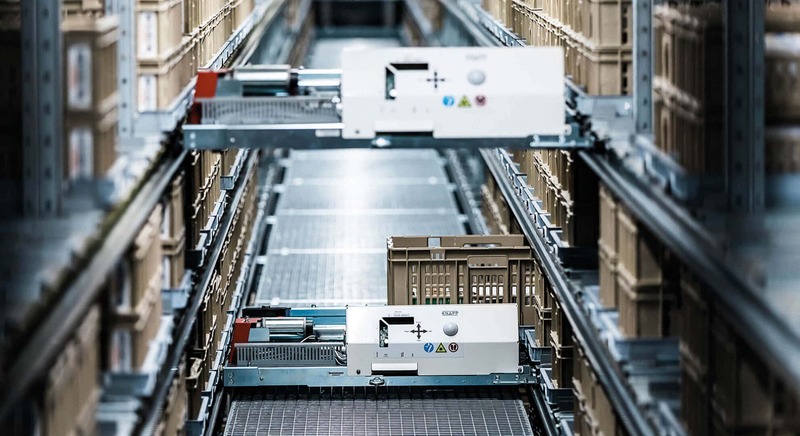 Apologistics turned to the new KNAPP-Store to automate goods-in for slow movers, to handle returns and to efficiently store a broad range of articles. 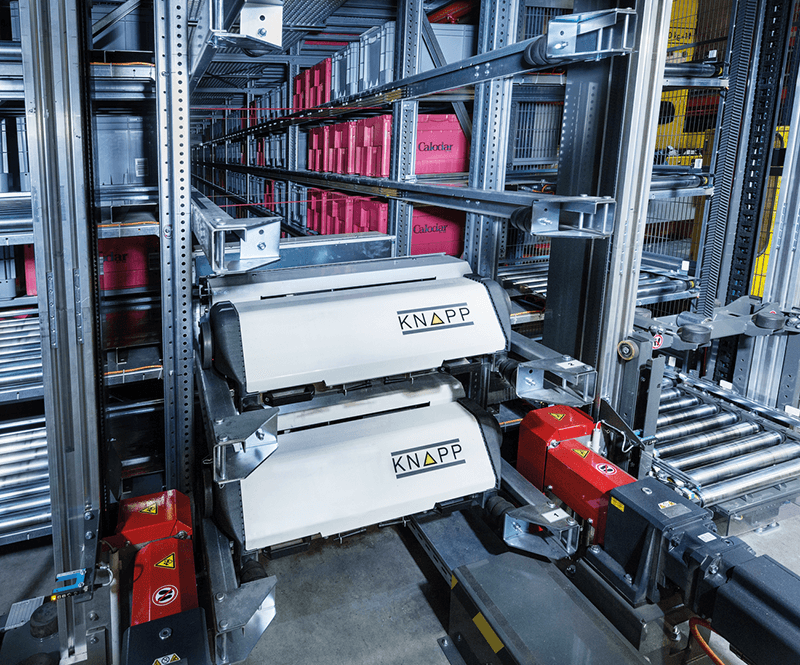 The KNAPP-Store fulfils the requirements that Apologistics had for performance and storage density, and significantly increased the degree of automation and efficiency of the warehouse. 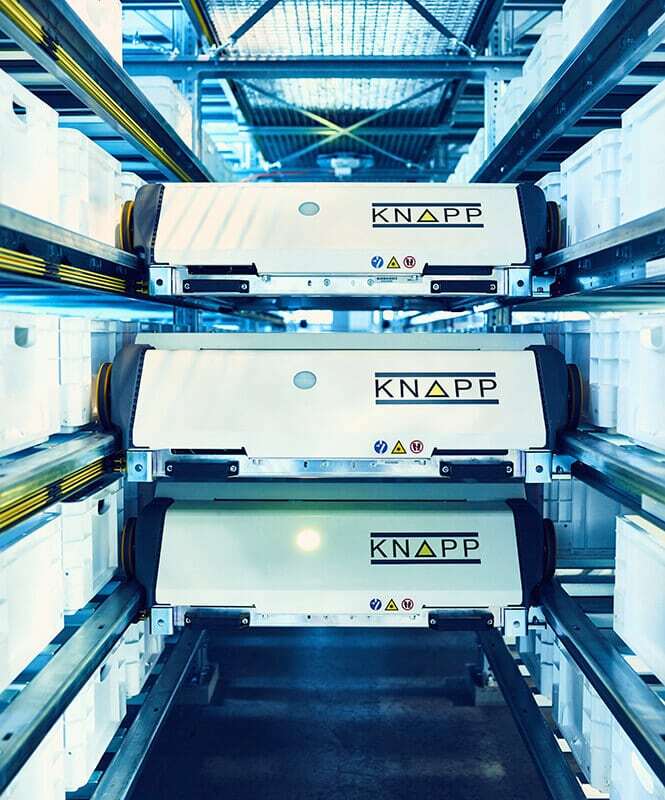 In the e-commerce business, which is influenced by a large number of small-quantity orders, the advantages of the KNAPP-Store are especially effective in comparison to manual picking, because it can process orders faster, with less effort and no errors. Apotal.de is the leading mail-order pharmacy in Germany, having their core competence in the mail-order retail of medicines. Through the online portal, apotal.de – your mail-order pharmacy, 3 million customers receive about 120,000 prescription and non-prescription medicines as well as natural medicines and health products comfortably delivered right to their home. 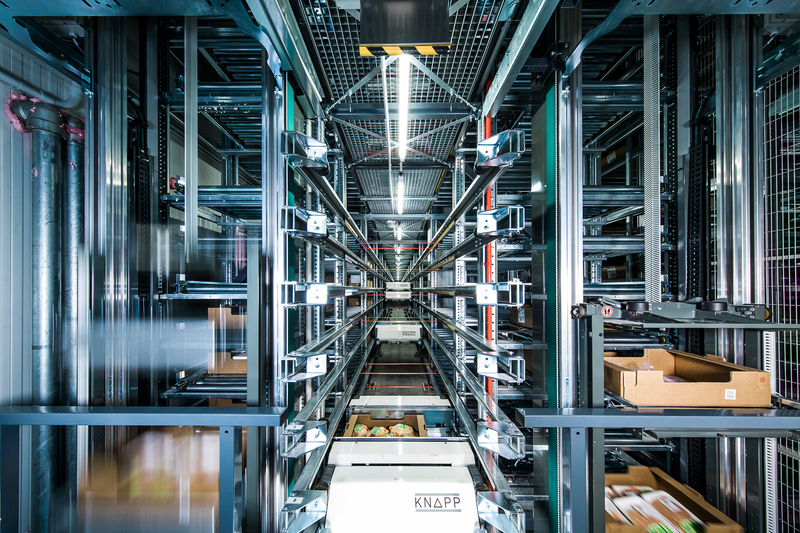 With the innovative KNAPP-Store solution, Apotal.de can efficiently store orders for wholesale and quickly retrieve them from storage as needed. 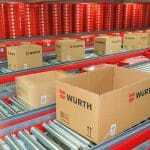 Furthermore, all processes in the warehouse are smart and software-guided. 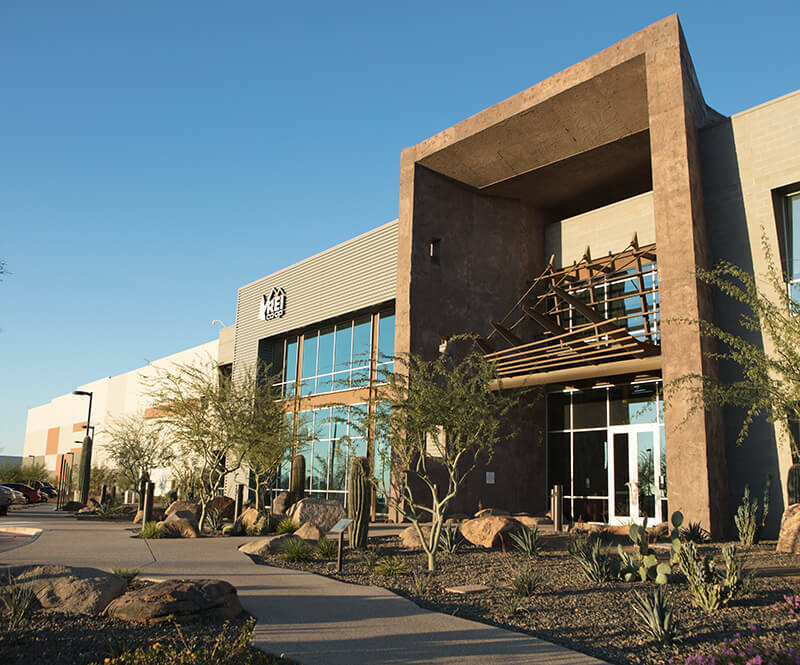 Phoenix and KNAPP have been working together for many years and today, KNAPP’s automation technology is used at 83 locations. Apotek1, a member of the Phoenix Group, is the leading pharmacy chain in Norway with more than 3,000 employees. 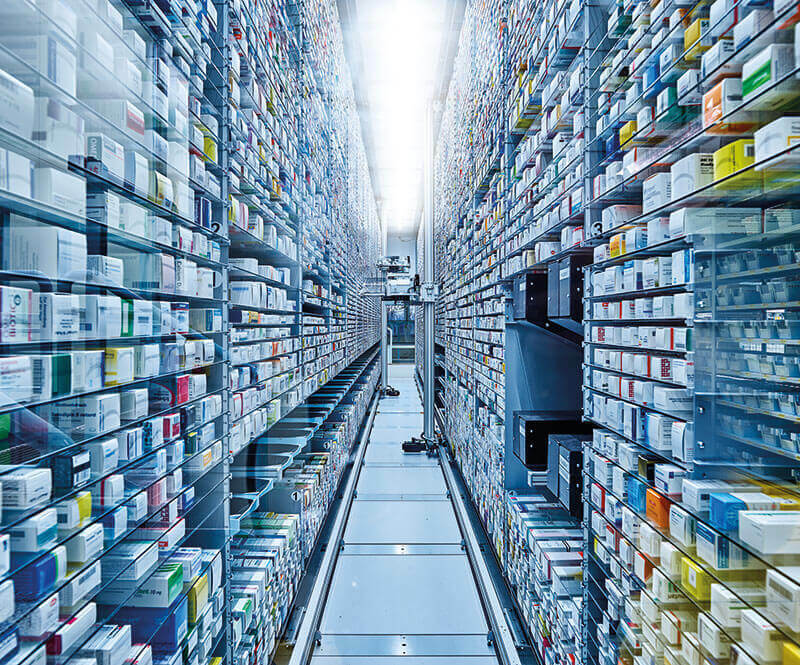 Two distribution centres supply about 500 pharmacies. With the OSR Shuttle™ solution, Apotek1 is equipped for the strong growth in the internet business. Apotek1 sees enormous potential for growth, especially in over-the-counter medicines. AuchanDirect.fr is the online portal of the French grocery chain Auchan. Customers from the regions of Paris, Lyon, Marseilles and Lille can order from AuchanDirect.fr and have their shopping conveniently delivered to their home within 24 hours. 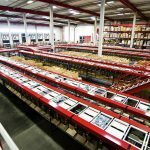 The heart of the distribution centre is the storage and picking system OSR Shuttle™ with 15 rack line systems and 48,000 storage locations. 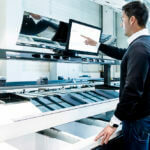 It supplies 12 connected ergonomic Pick-it-Easy Health work stations for goods-to-person picking. 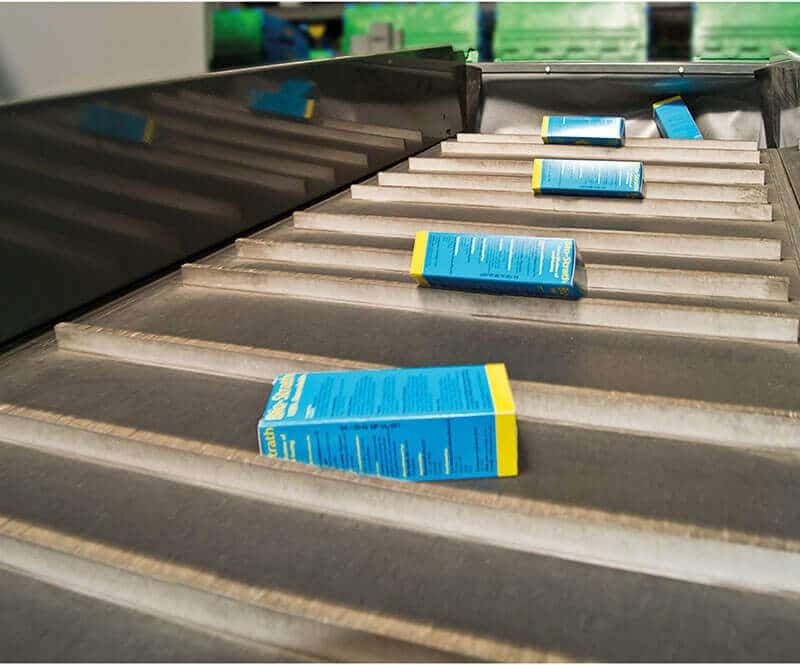 The OSR Shuttle™ also serves as a dispatch buffer – the system retrieves containers in the correct sequence for order fulfilment and conveys them to two stacking machines. These in turn automatically load the roll containers, processing 2,400 containers per hour. 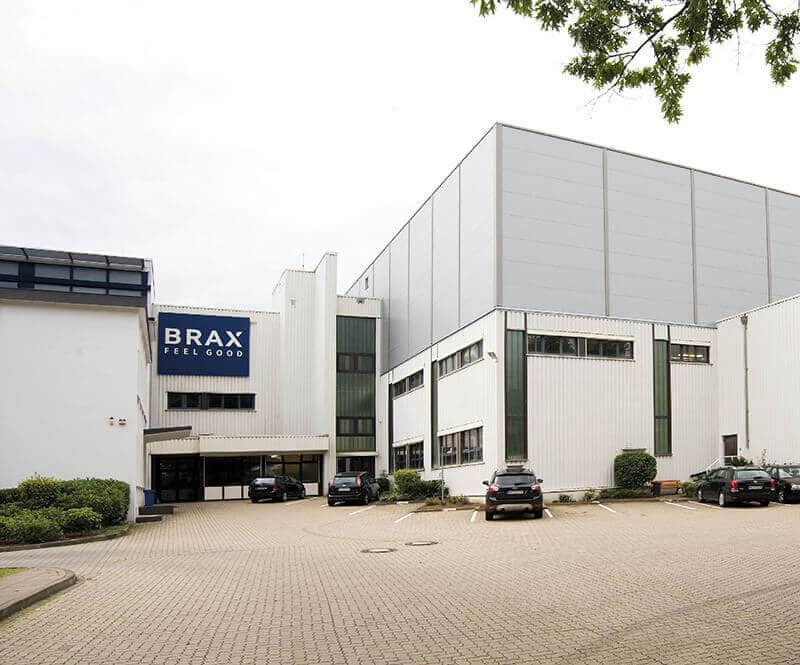 Basiq Dental, based in the Netherlands, supplies dentists in large parts of Europe with its comprehensive range of high-quality dental equipment. As a customer-orientated company, Basiq Dental always strives to better provide for its customers through innovative services, and is always a step ahead of the competition. 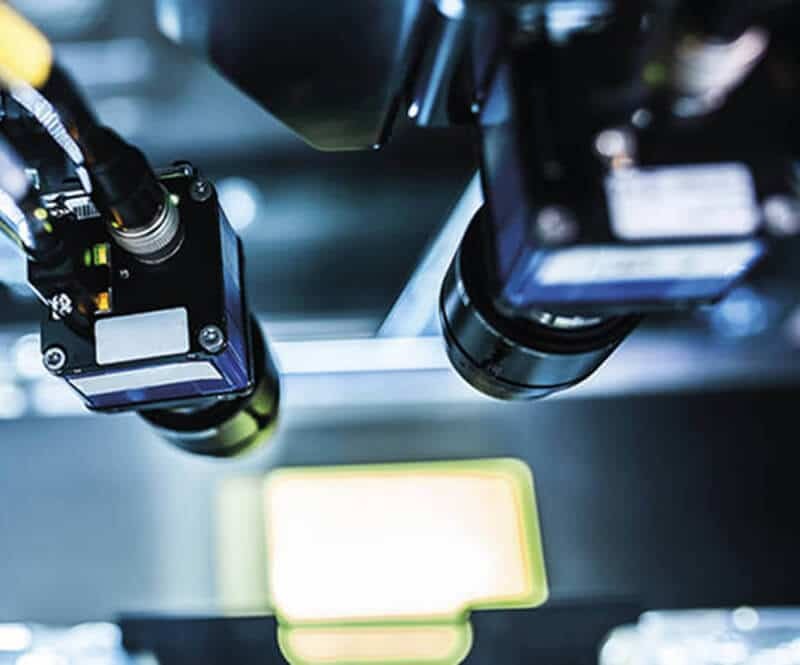 In KNAPP, Basiq Dental has found a partner who supports them on their path to success with innovative and high-performance automation technology. 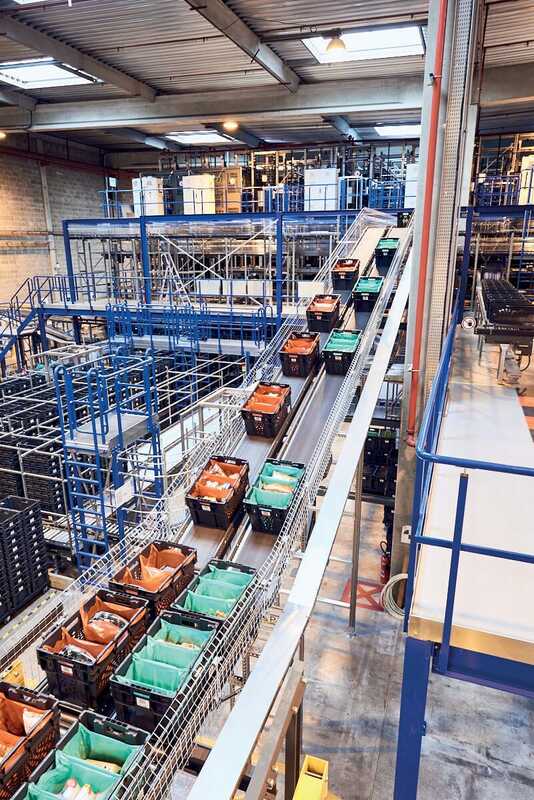 KNAPP equipped the Oisterwijk distribution centre with a combination of tried-and-tested shuttle technology and brand-new robot technology. 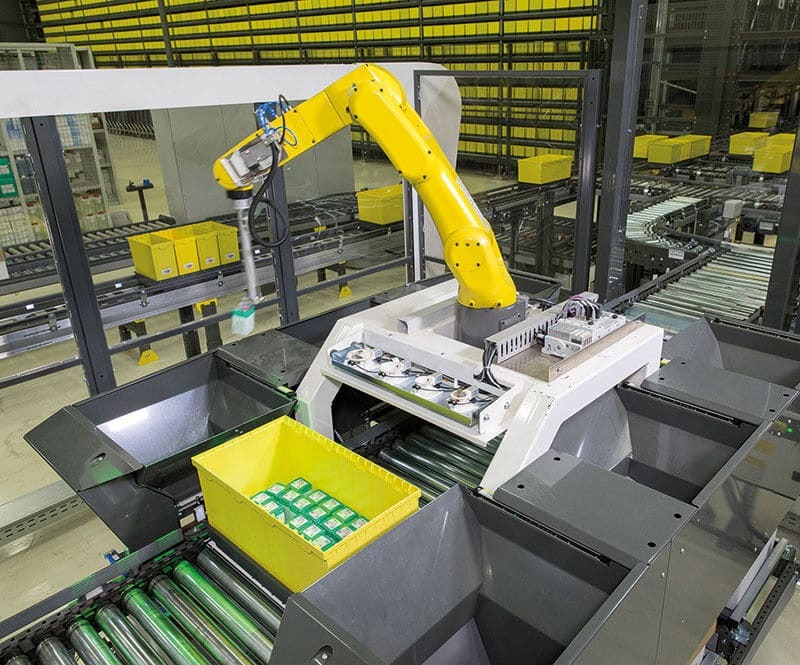 Basiq Dental is breaking new ground in intralogistics with the innovative Pick-it-Easy Robot picking robot, as well as investing in a reliable, high-performance and economical picking system. 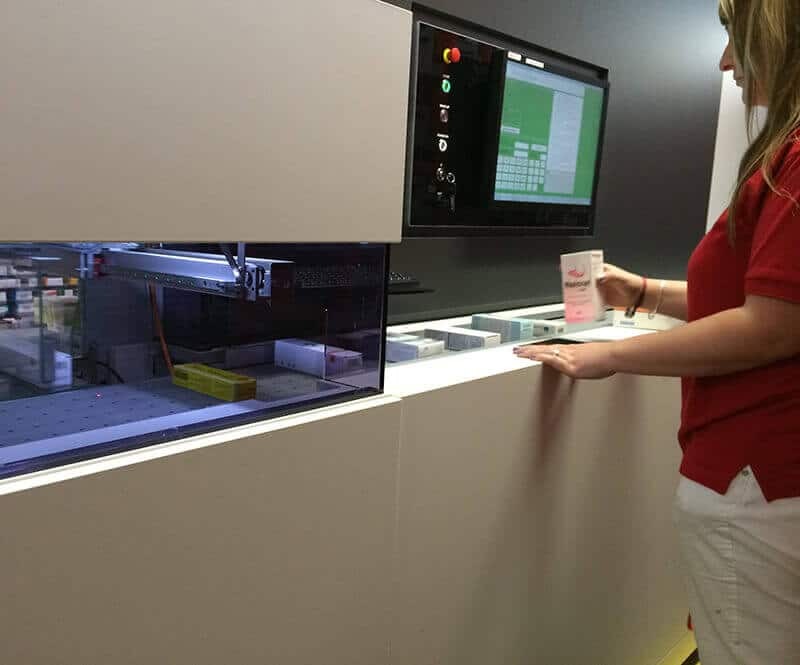 A key element of the Basiq Dental automation solution is the combination of OSR Shuttle™, Pick-it-Easy Health and Pick-it-Easy Robot. Being able to use divided containers provides especially high storage density in the OSR Shuttle™ and makes maximum use of the available space. 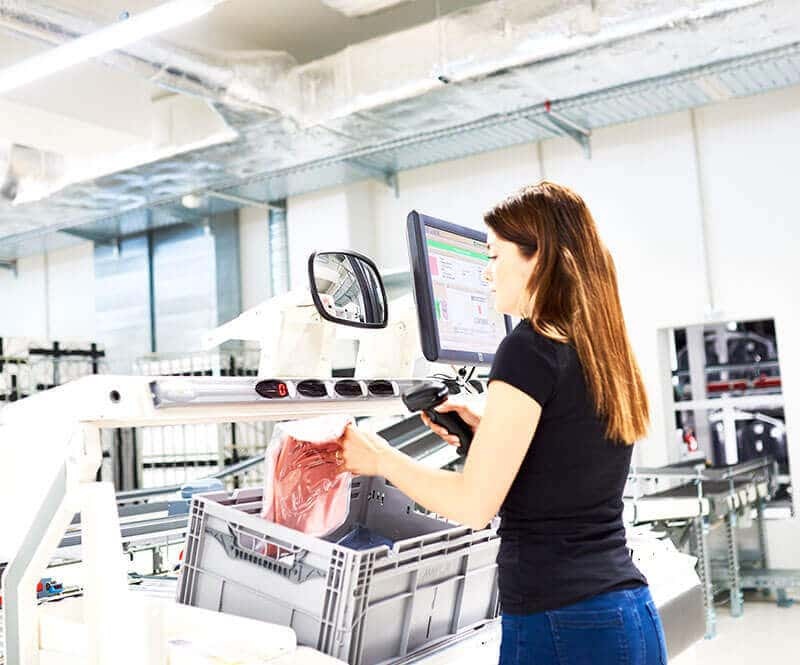 The special design of the Pick-it-Easy Health work station allows efficient and error-free goods-to-person handling with steady quality and performance, even over longer periods of time. 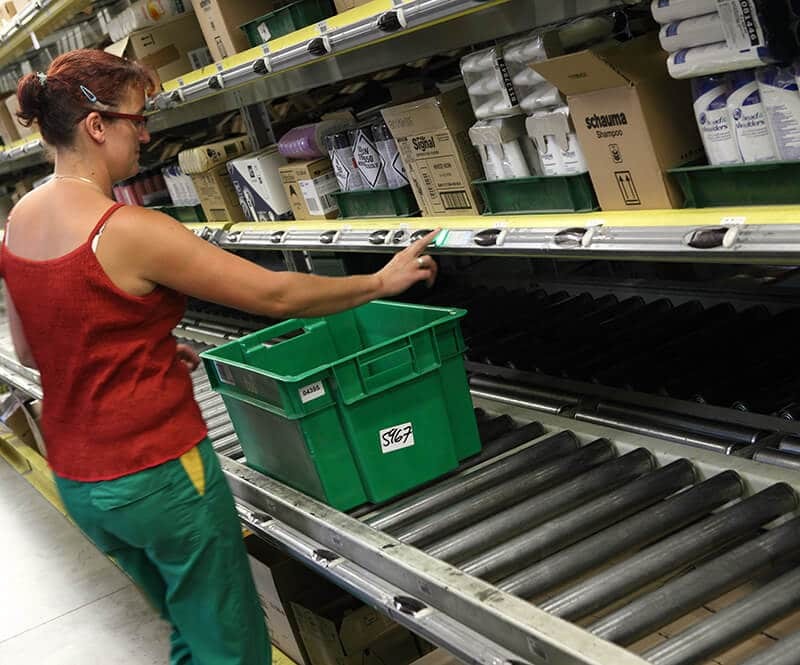 Pick-it-Easy Health therefore brings performance, reliability, precision and ergonomics to the manual work processes, contributing to quality and the efficient use of resources within the warehouse. 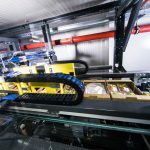 What’s more, robotic picking with the Pick-it-Easy Robot increases both performance and delivery quality, and reduces costs in the face of increasing numbers of orders. Boots UK is the leading commercial enterprise for health and beauty articles in the UK. The online business is characterized by a huge stock of goods for small orders consisting of different products as well as extremely high seasonal peaks. 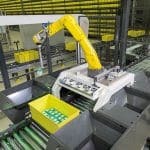 The balanced interaction of manual and automated processes handles orders much more efficiently. In addition, the Burton Centre has sufficient flexibility and capacity to smooth over peaks in demand. 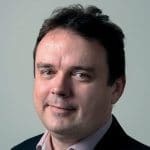 With the innovative KNAPP solutions, Boots UK is in the position to develop the services for its customers even further and is equipped for the future growth of the boots.com business. 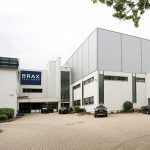 BRAX, the clothing specialist from Herford, supplies 60 countries with high-quality clothing – to build the new logistics system, BRAX relied on the know-how of Dürkopp Fördertechnik, a member of the KNAPP Group. 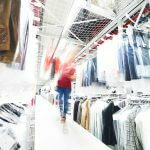 For storage a barcode scanner reads the label on the pair of trousers and allocates them to a roller adapter. 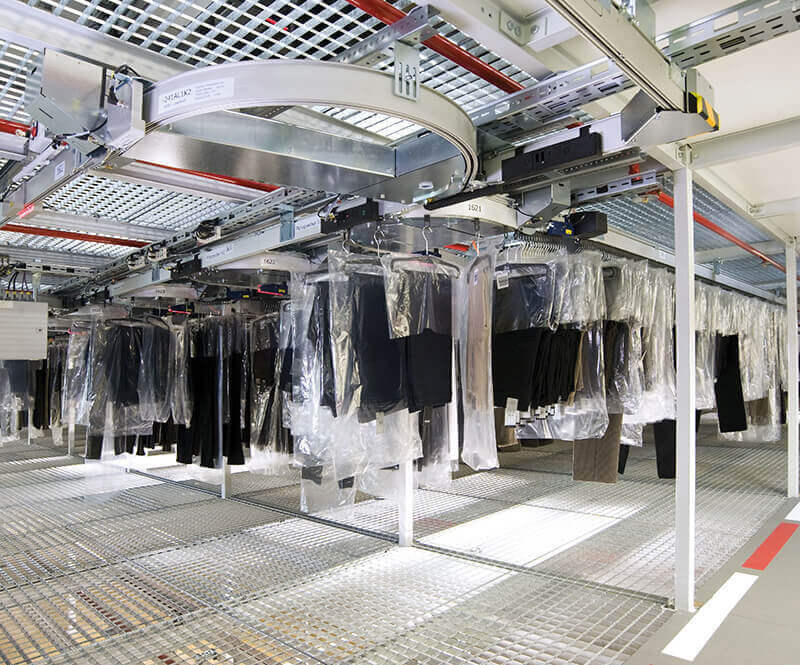 Each pair of trousers can be traced throughout the entire system. 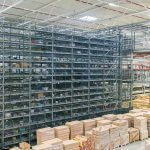 The warehouse system comprises 3 levels holding 200,000 articles – each level has more than 32 stand-alone modules. A vertical, reversible platform-elevator transports each pair of trousers to its assigned level. The trousers are divided into sorting runs and transferred to one of 30 batch buffer lines. 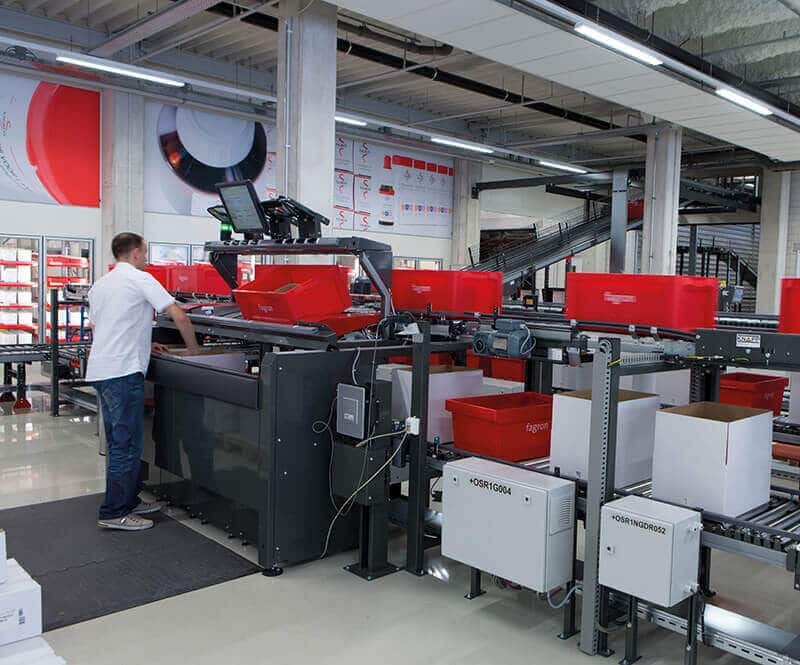 A three step matrix sorter creates an arbitrary sequence of trousers and by decoupling the three sorting steps, the matrix sorter reaches a speed of about 6,000 items per hour. 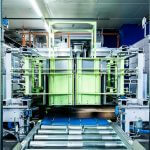 The matrix sorter is an optimal solution in terms of space requirements and costs. For dispatch the trousers arrive in the multifunctional goods-out buffer, where, for example, value added services can also be carried out. The trousers finally arrive at the packing area, comprised of 20 packing work stations. The trousers are decoupled from the roller adapters and packed for shipping. The name Calodar stands for high-quality sanitary facilities. The customers of the Belgian wholesaler are predominantly installation companies and DIY chain stores. Calodar’s wide range of articles comprises thousands of articles for the sanitary sector. 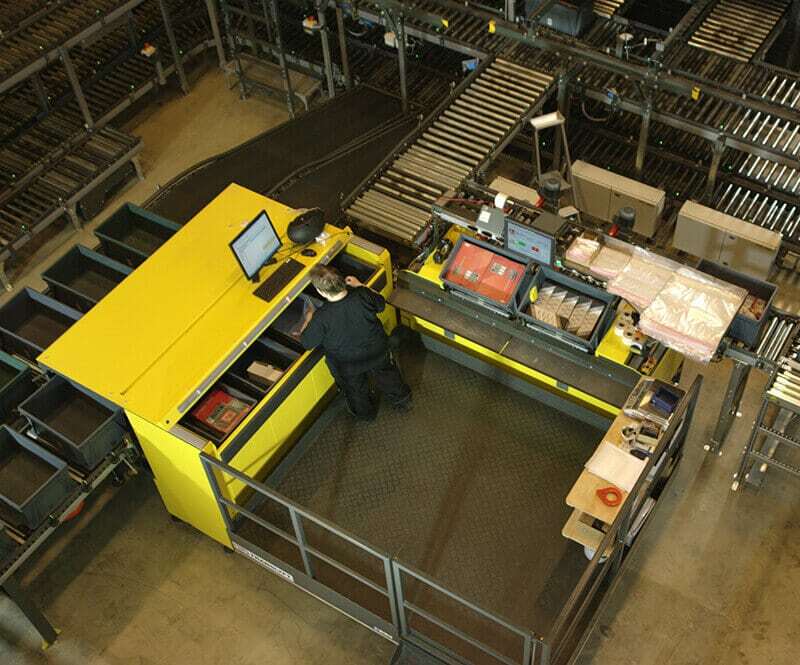 In 2013, Calodar decided to automate its existing warehouse and chose a smart solution based on KNAPP’s OSR Shuttle™. The OSR Shuttle™ combined with an ergonomic goods-to-person work station from the Pick-it-Easy series fulfils all requirements in terms of efficiency, quality and performance. 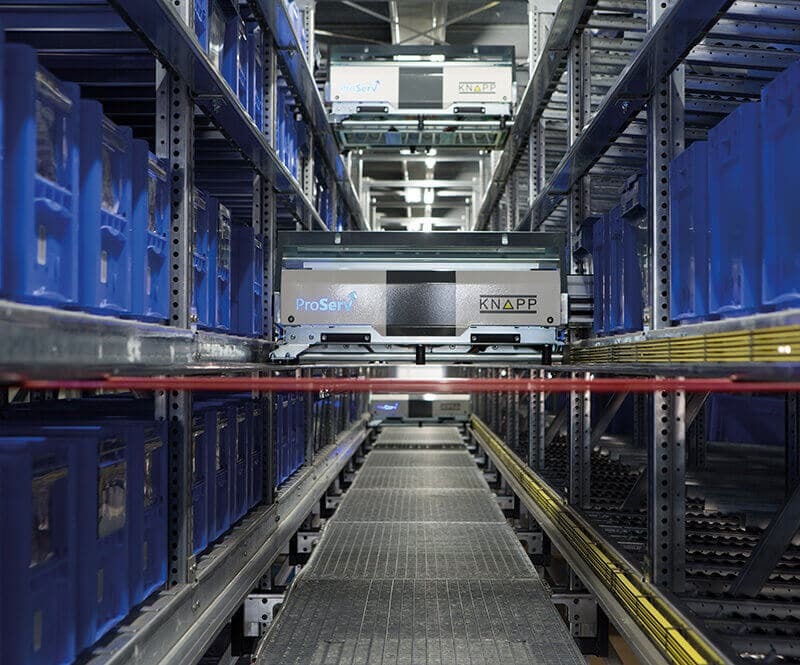 The main challenge was adapting the OSR Shuttle™ to the limited space available as effectively as possible, to create the maximum number of storage locations. 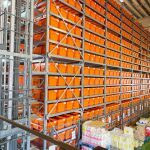 Moreover, the solution had to be installed and put into operation during ongoing warehouse operation without compromising Calodar’s daily business. 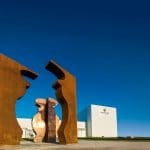 KNAPP overcame this challenge, working in close collaboration with Calodar. 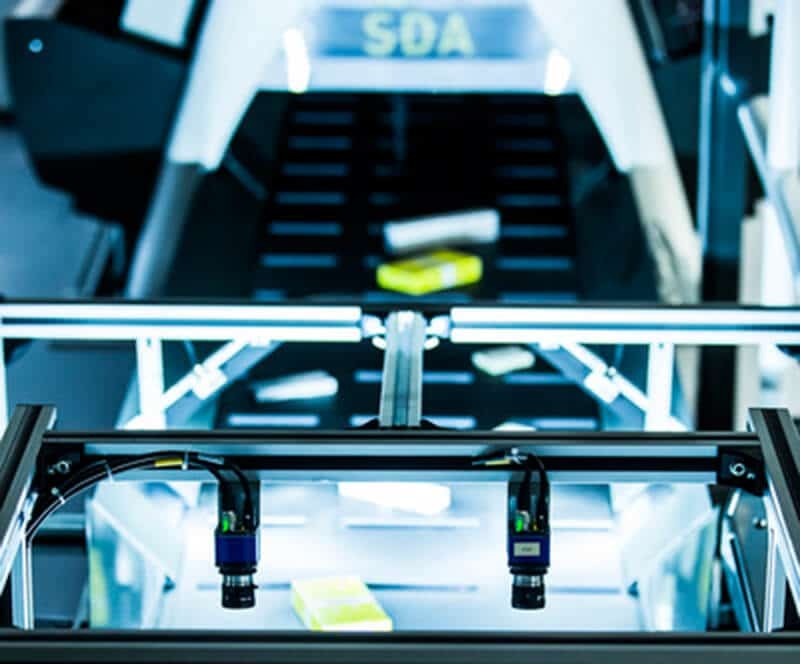 The OSR Shuttle™ combined with the Pick-it-Easy work station, conveyor system and automatic handling systems for cartons, reduced the transit time and boosted quality considerably, while saving personnel costs at the same time. 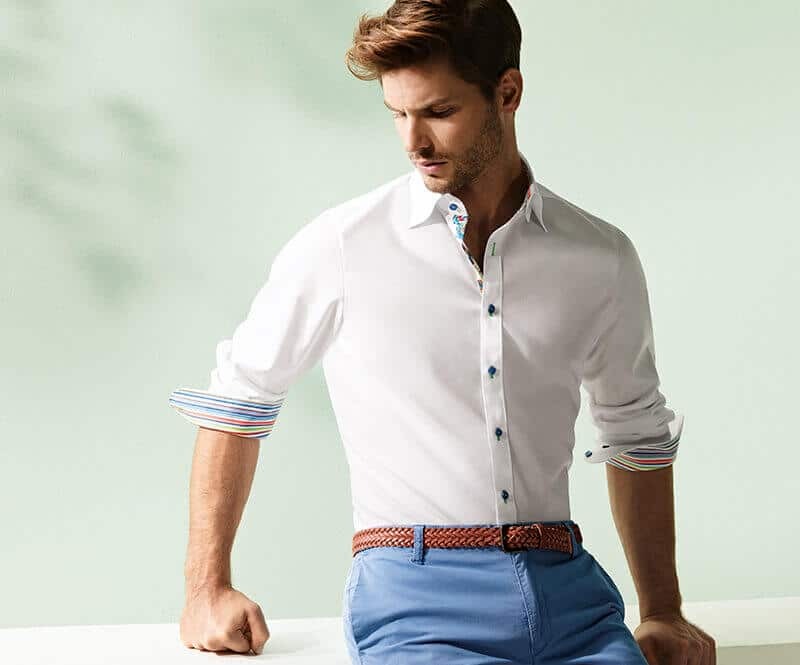 The French men’s fashion company has a network of more than 1,000 shops in France, Italy, Spain and Belgium. 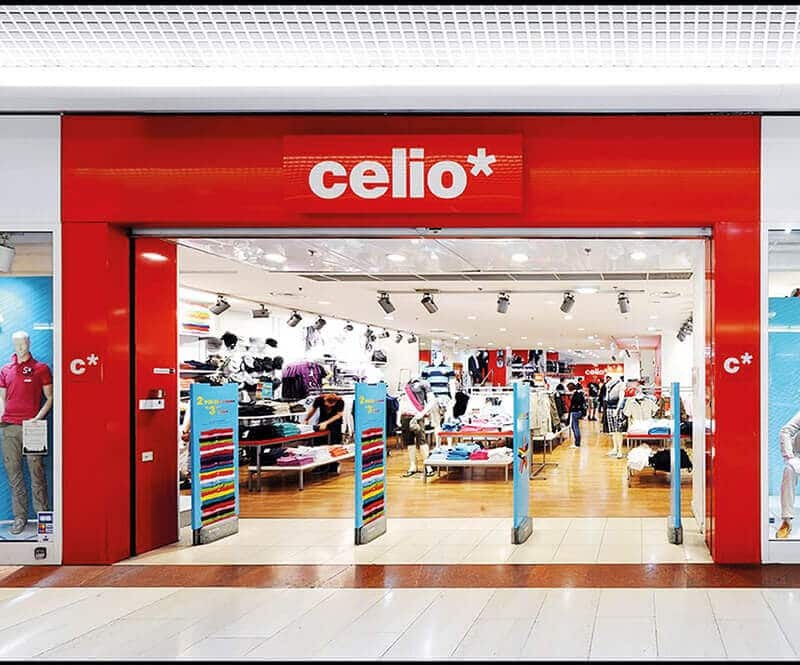 Celio is number one for men’s fashion in France and offers a wide range of clothing for business and leisure. With this automation solution, 15,000 articles per hour can be picked; the service level was raised to 97 percent and the error rate reduced. The KNAPP mix of technologies optimized processes along the entire supply chain. The modular solution also easily adapts to changing order structures. 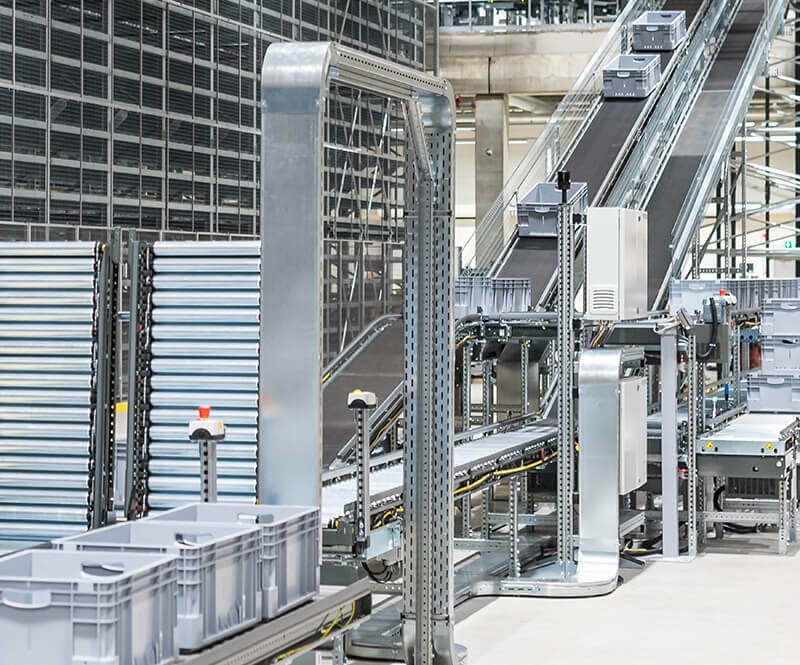 The EDEKA Kempf Heddesheim location provided KNAPP the opportunity to put its innovative empties sorting solution RMS (Reusables Management Solution) – a particularly efficient and resource-efficient empties management system – to good use. Proven technologies combined with future-oriented innovations were used. 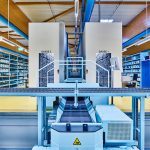 The semi-automatic system offers the optimal degree of automation for each article and each process step. KiSoft RCS is used as the central software for managing crates. 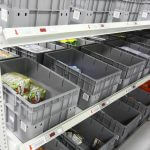 It is responsible for the complex material flow, the management of empties and the precise booking of goods by retailer. 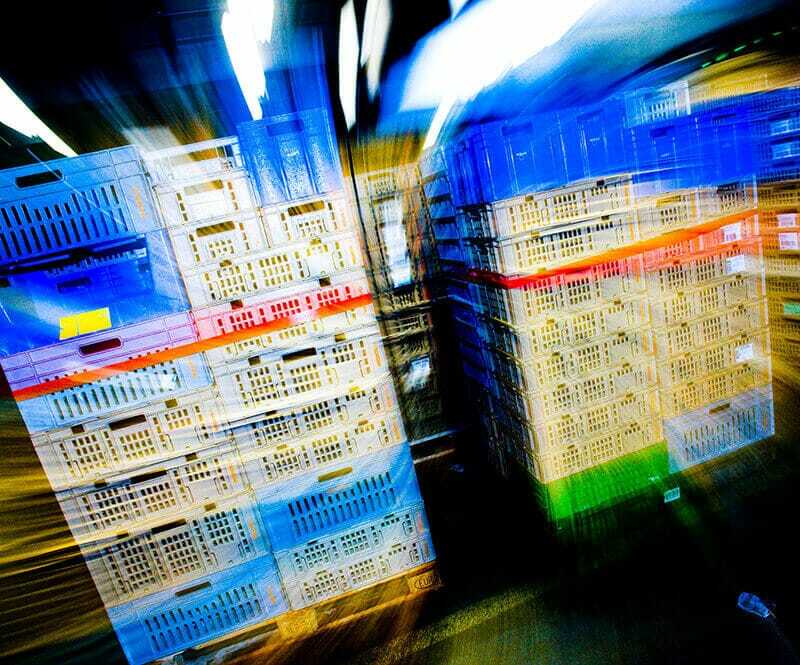 A modern electronic image recognition system is used to identify about 600 types of crates. 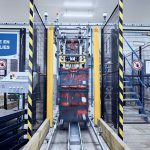 Completing the system are the patented transfer shuttle, automatic palletizing robot as well as container, pallet and roll container conveyor systems for efficient transport. 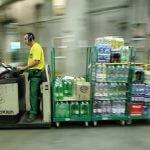 Above all, EDEKA Kempf profits from the high sorting performance and the increased level of service. 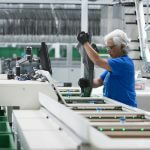 Cost and labour intensive processes are more efficiently organized, reducing the unit costs. 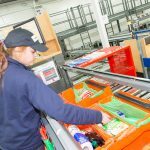 In Hamm, the reusables from about 400 EDEKA and trinkgut stores needed to be processed efficiently, so the sorting solution RMS was used. 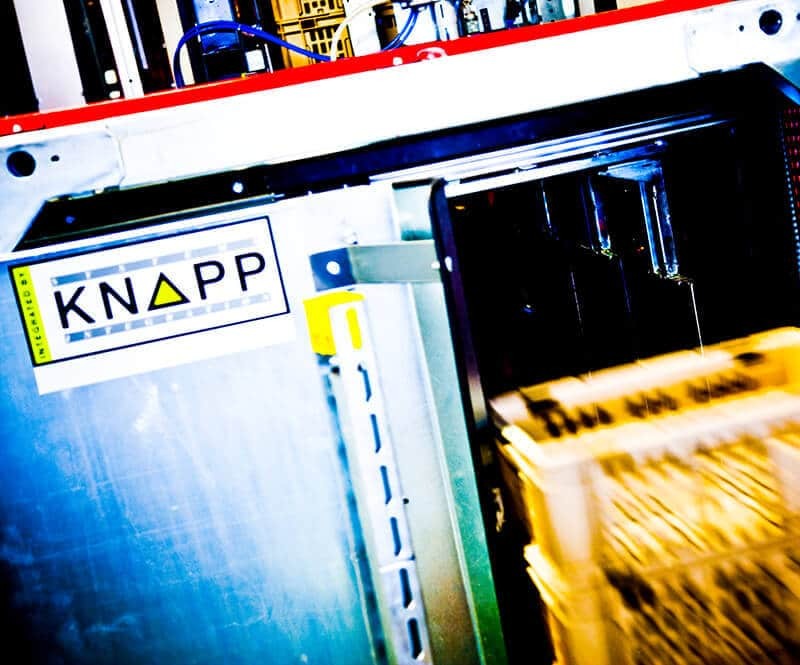 KNAPP achieved a system that automatically records and sorts returned beverage crates and bottles, supplying them to the beverage producers ready for shipping. 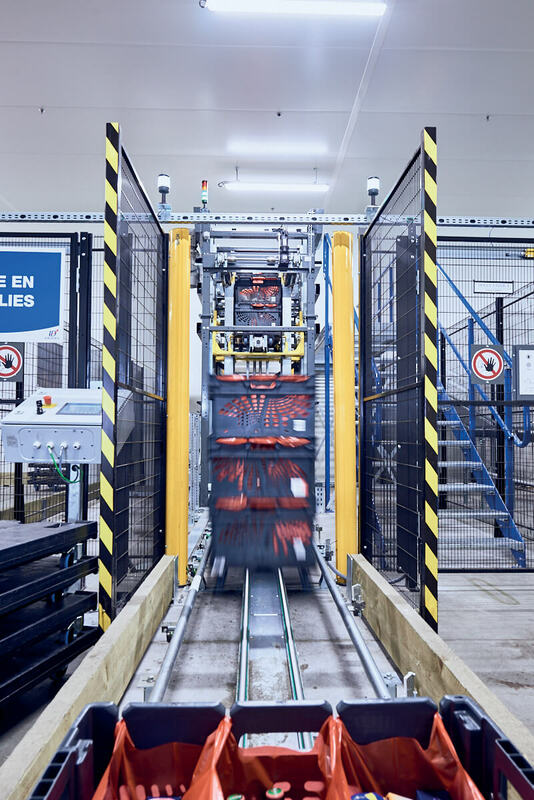 The sorting system is semi-automatic and provides end-to-end transparency for the flow of empties. 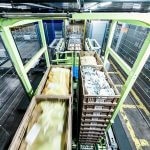 KiSoft RCS is the central software managing 100,000 crates/day without using paper. 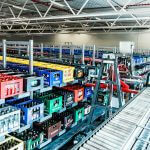 It is responsible for the complex material flow, management of empties and the precise booking of goods by retailer. 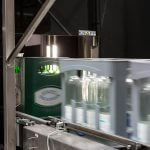 Electronic image recognition technologies identify 200 different types of bottles and 1,000 types of crates. 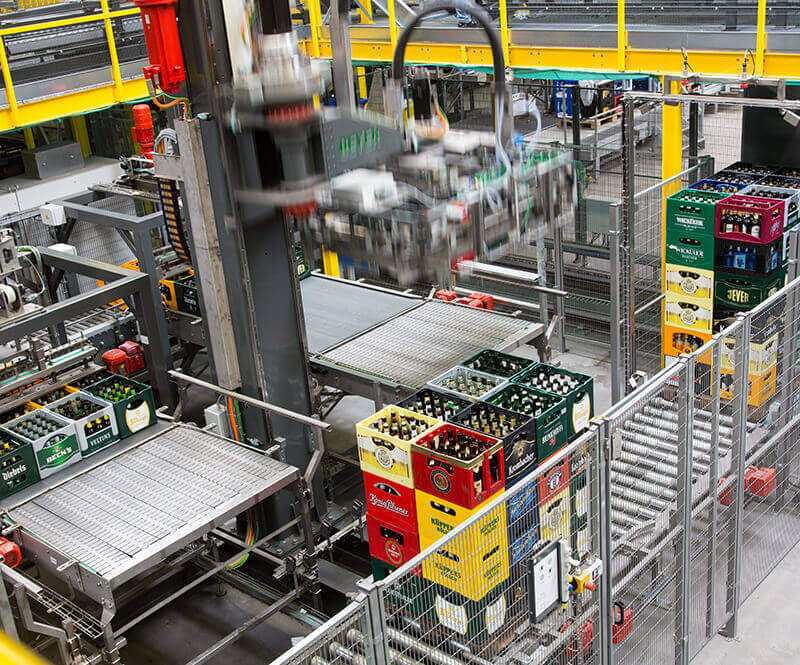 The bottle-sorting robot assembles unmixed beverage crates. 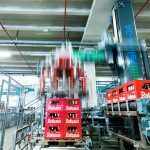 The patented transfer shuttle, the automatic depalletizing and palletizing robots and container and pallet conveyor systems complete the system. The Austrian company ENGEL Austria GmbH is a specialist and world market leader in the manufacture of injection moulding machines. 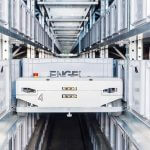 ENGEL was searching for a new, integrated automation solution for their production location in St. Valentin, Austria and decided on a mix of technologies from the KNAPP Group – a YLOG-Shuttle System from KNAPP Industry Solutions in combination with an SAP®-EWM solution from KNAPP IT Solutions. 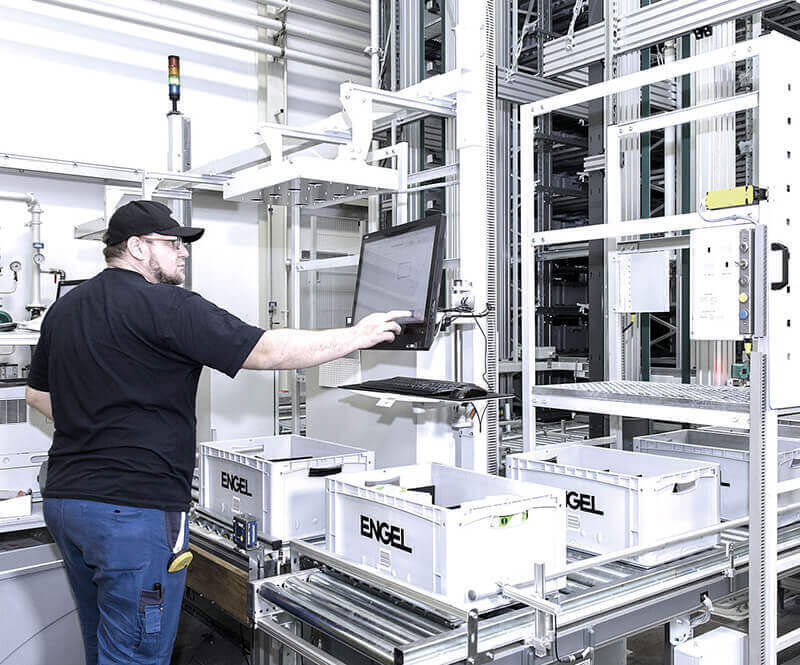 One of the main requirements ENGEL had was to implement an integrated warehouse management and material flow system (WMS/WCS) that would replace the control computer for the existing high-bay warehouse and seamlessly integrate the existing SAP® ERP features into the new software solution. 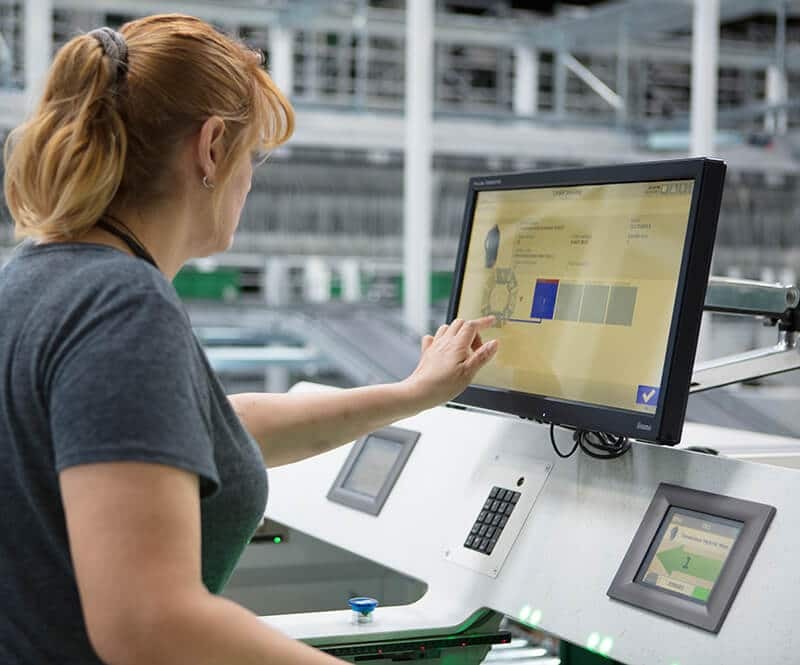 Along with optimized control technology for the warehouse system, all work stations are equipped with intuitively operated easyUse user interfaces, which are also integrated in SAP® EWM. 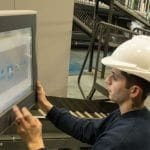 The easyUse user interfaces are individually adapted to the requirements and processes at ENGEL and efficiently guide the employee through the work processes without error. 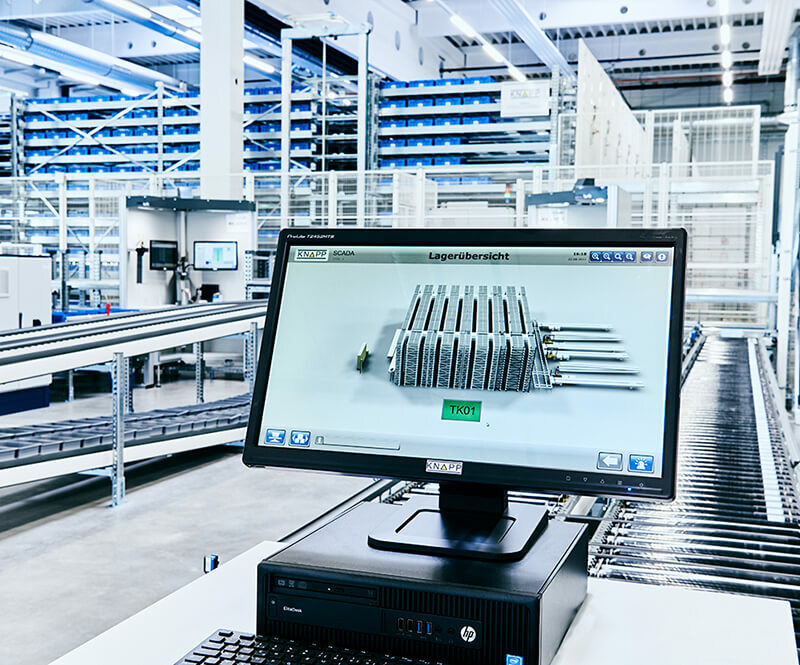 The easyUse interfaces facilitate intelligent man-and-machine communication and are in sync with the zero defect philosophy of KNAPP. 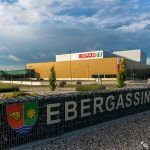 Estuario Carni supplies various supermarkets in Northern Italy with its high-quality meat products. 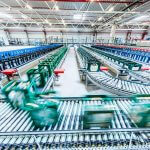 Goods from two production locations must be centrally processed and distributed. 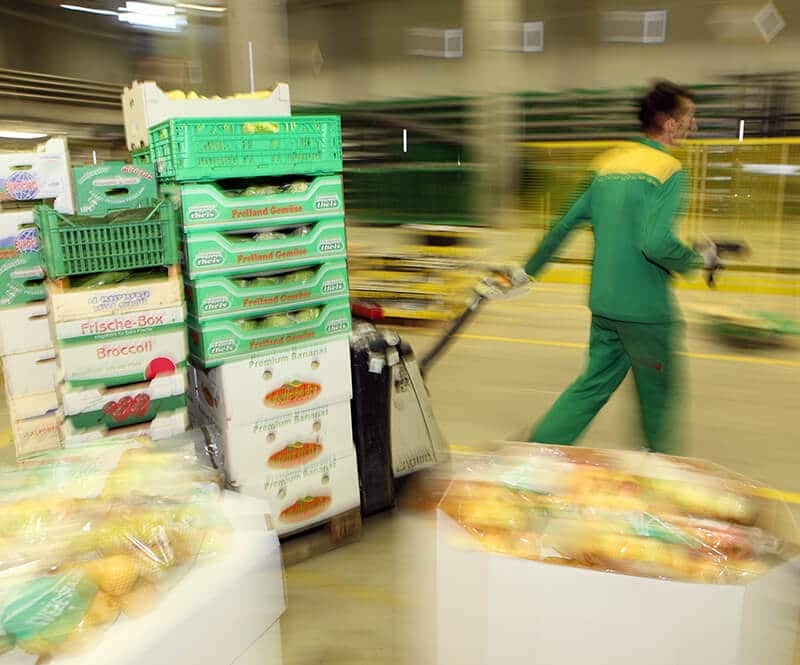 At the DC in Noventa di Piave, the FAST Picking solution by KNAPP handles the job. 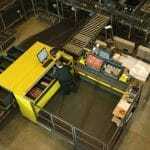 An OSR Shuttle™ is the heart of the automation solution which also includes depalletizing and palletizing machines. The solution at Estuario Carni minimizes physical strain for employees such as heavy lifting and carrying while also increasing efficiency and delivery quality. The solution was installed in the cool area at temperatures from 0–4 degrees Celsius. The installation of the solution across two storeys meant taking full advantage of the available space. 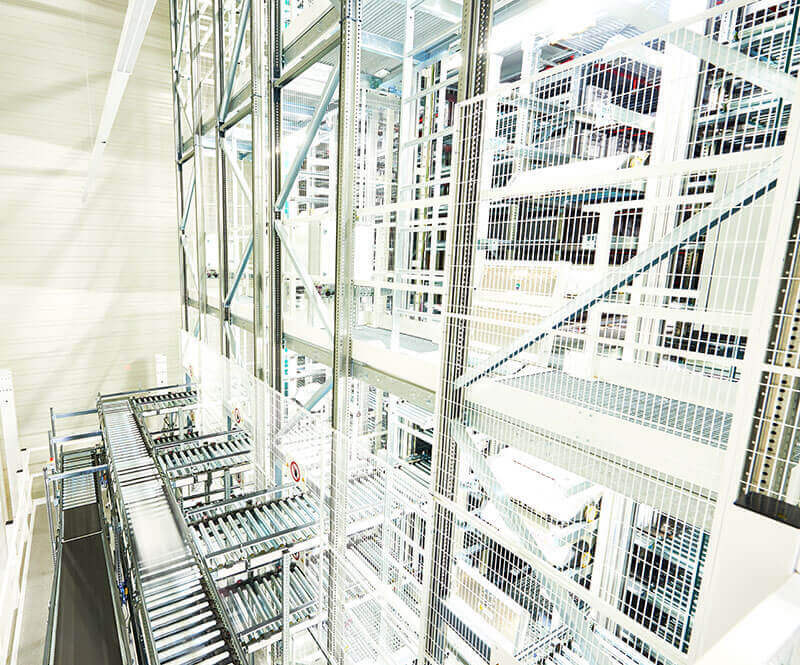 The OSR Shuttle™ is located on the upper level and is connected to the other warehouse processes on the lower level through the OSR Shuttle™ lift system. A specialist in producing customized medicines, Fagron is the world-wide leader in pharmaceutical compounding. The company is represented in 29 countries on 5 continents and supplies about 150,000 pharmacies and 55 countries with high-quality and innovative products. 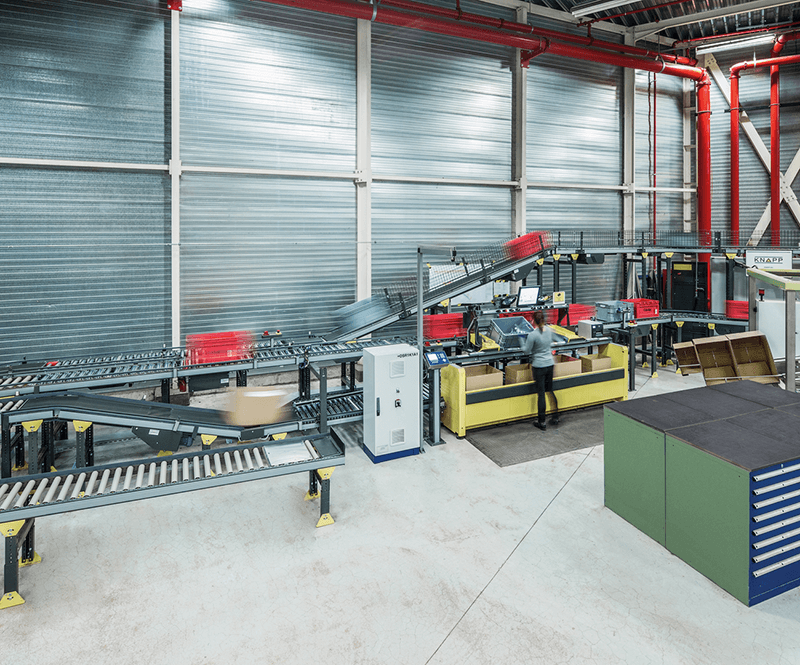 Up to 1,500 orders are processed daily in a few hours in the Oud Beijerland DC and in minimal space, which called for a powerful, space-effective and secure picking system. 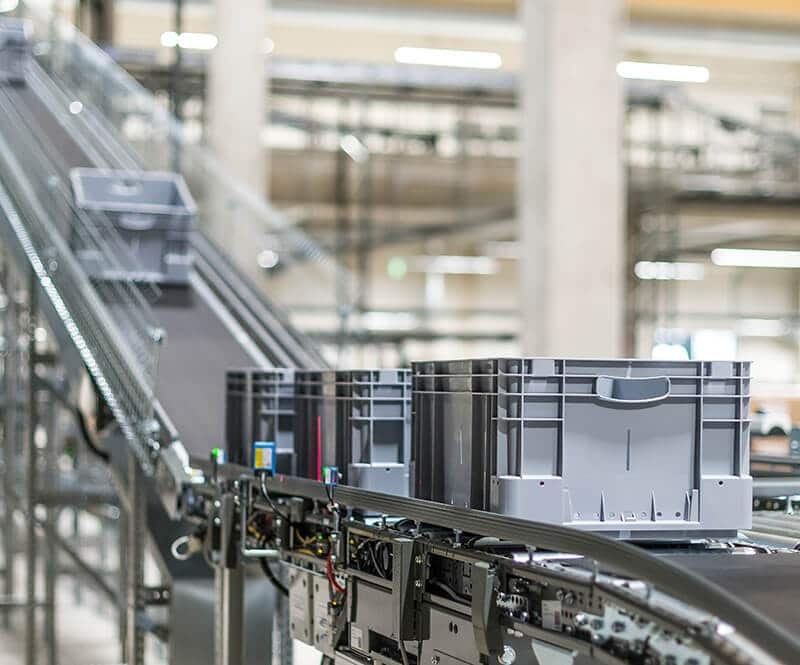 The fast-mover autopicker SDA-2000 is the ideal solution: About 80 percent of articles ordered per day are stored efficiently in the SDA and are automatically picked. 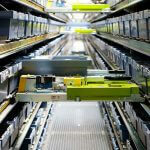 Automated picking is efficient and guarantees the highest quality. 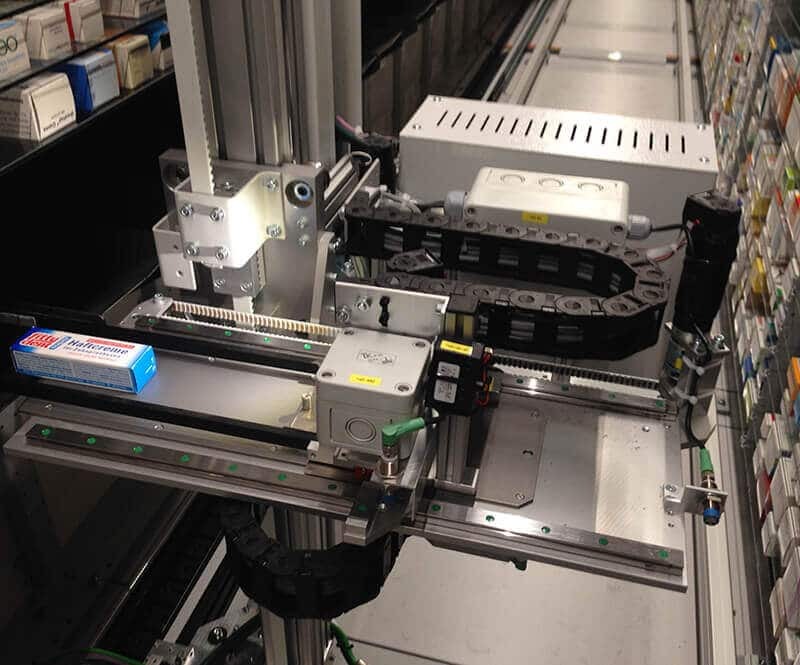 Articles such as tubes or pill bottles, which are not suited to autopicker picking due to their dimensions, are picked with the help of the tube autopicker. 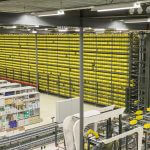 A high-performance state-of-the-art distribution centre was built in Capelle aan den IJssel. 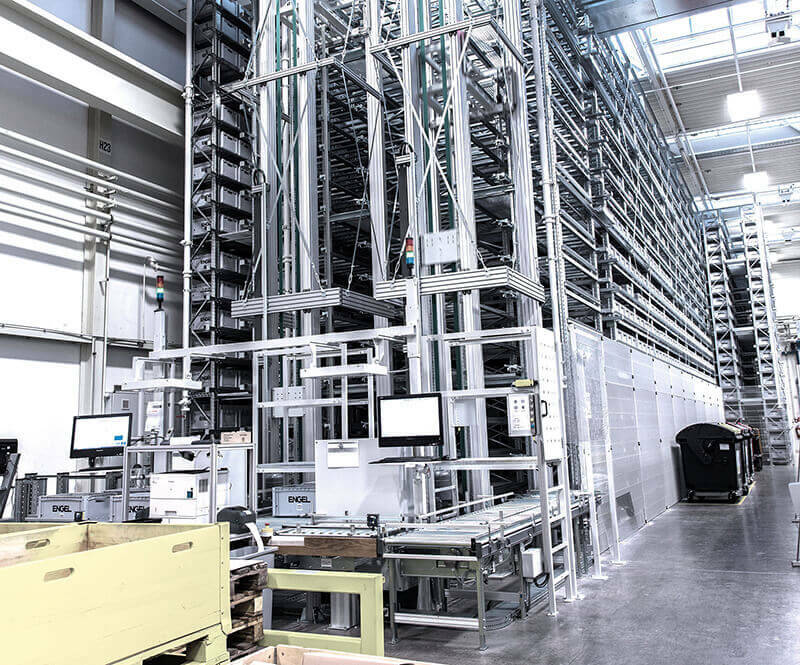 The heart of the solution is the OSR ShuttleTM, where most of the assortment is stored making efficient, reliable order processing possible. 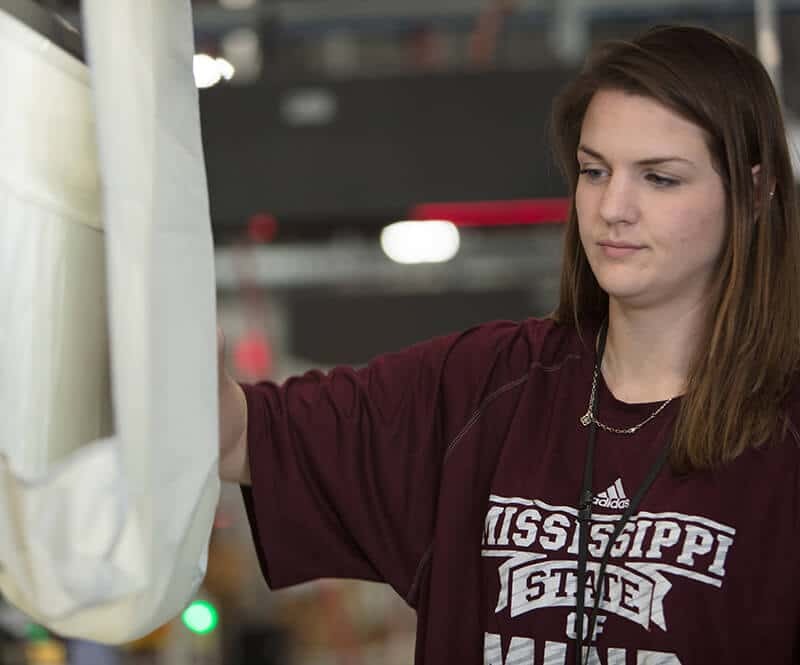 Every day about 1,500 orders are processed in the warehouse. The KNAPP solution unites efficiency and quality in a tight space and optimally fulfils Fagron’s requirements. 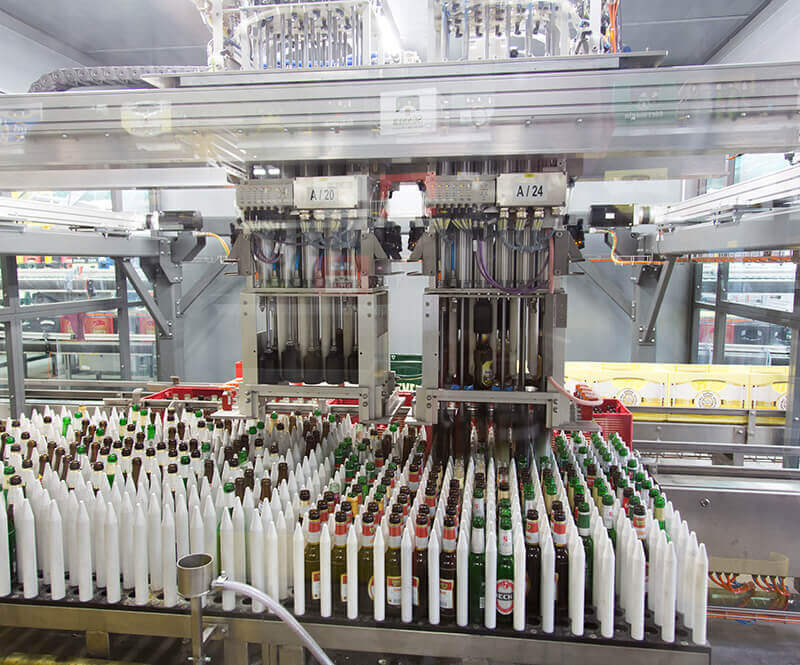 By using the central belt autopickers, 80 percent of orders are automatically processed, and with the tube ejectors, tubes and bottles can also be processed. The orders are completed within a few hours: Orders can be made until 5 pm which can be dispatched by 7 pm. 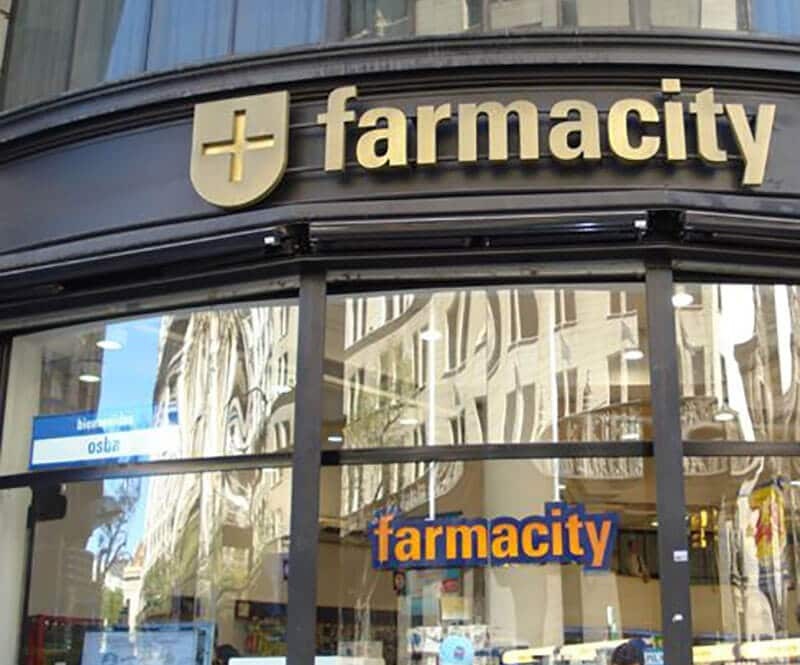 Farmacity is the leading pharmacy chain in Argentina, running 300 pharmacies. The chain also sells cosmetics and consumer goods, under house brands Look and Simplicity, in shops and online at farmacity.com. 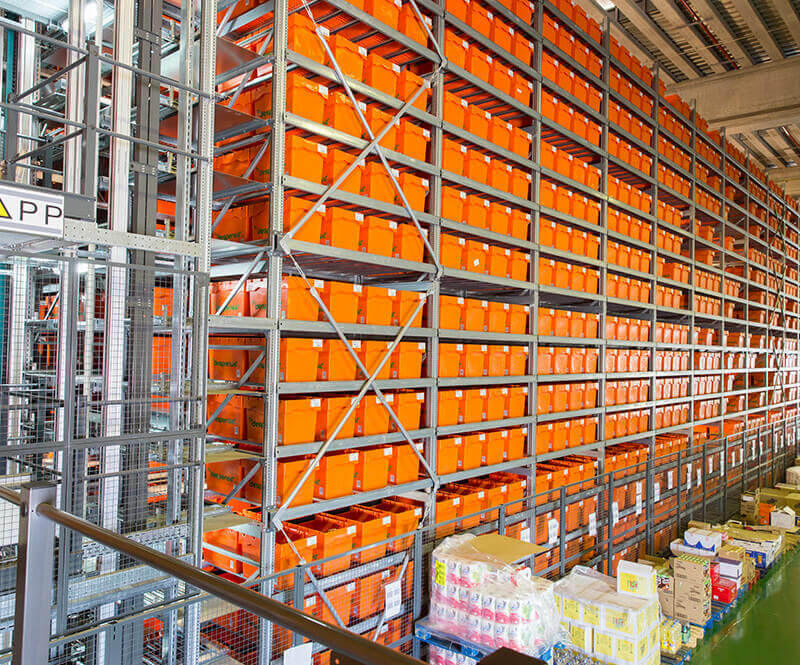 Automating the warehouse was essential to company expansion. 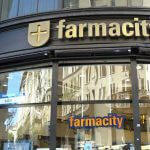 Before automation, Farmacity was no longer able to supply their pharmacies and shops with articles. 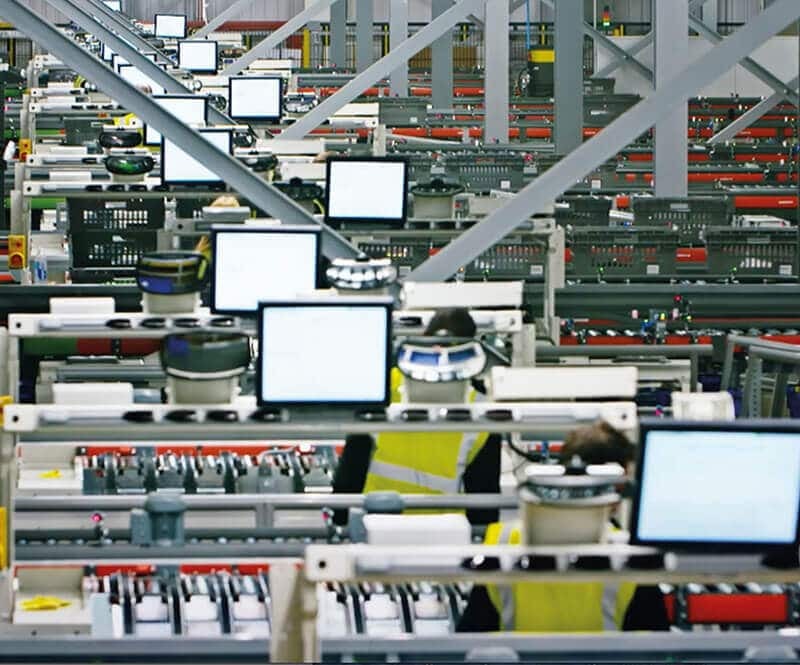 Today, 60,000 order lines are processed every day, with capacity to spare. 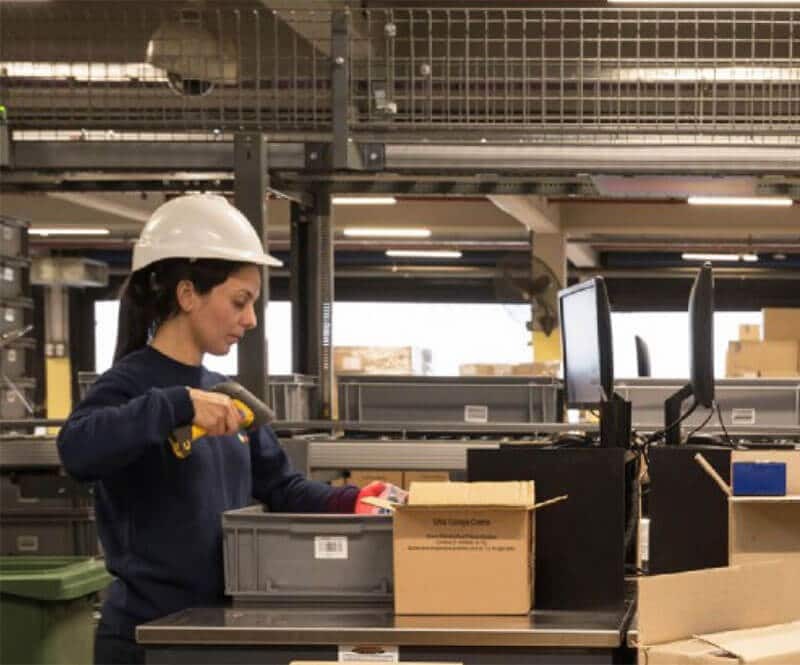 Thanks to automation and restructured processes, the output of the distribution centre was significantly improved without the need for additional personnel. 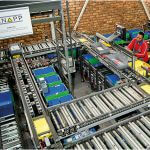 The solution also increased storage density and throughput, and lowered the rate of picking errors. Key technology? The autopicker. 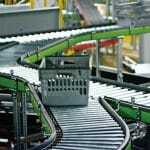 The SDA autopickers process 70 percent of the order lines, which is 55 percent of the entire picking volume. 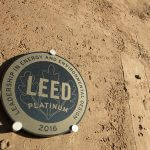 The icing on the cake, however, is the groundbreaking Vision Central Belt technology that automatically keeps track of the traceability codes. 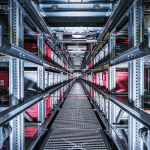 At the centre of the system is the high-performance storage and picking system OSR Shuttle™ with two rack line systems and 12,000 storage locations. 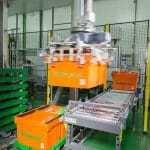 At the two Pick-it-Easy work stations, goods are picked ergonomically and efficiently according to the goods-to-person principle. 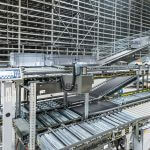 Along with the powerful Streamline conveyor system, three Open Shuttles also convey goods within the facility. 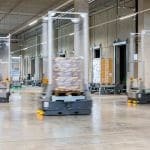 These driverless warehouse vehicles are a flexible and space-effective addition to other conveying means; paths remain free for personnel, forklift trucks and other transport vehicles. 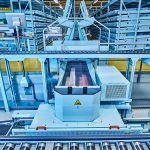 Long distances can also be covered without the need to build comparably expensive static conveyors. The integration of the higher-level warehouse management system KiSoft WMS makes managing all the warehouse processes easy. Grene Denmark specializes in spare parts, hydraulics and products for the agricultural sector. 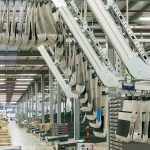 From their 21,500 m2 central warehouse in Skjern, Grene supplies its customers in Denmark, Sweden, Norway and Finland. Fast delivery of goods takes highest priority and customers enjoy the fastest possible delivery for their orders – with next-day delivery at the latest. 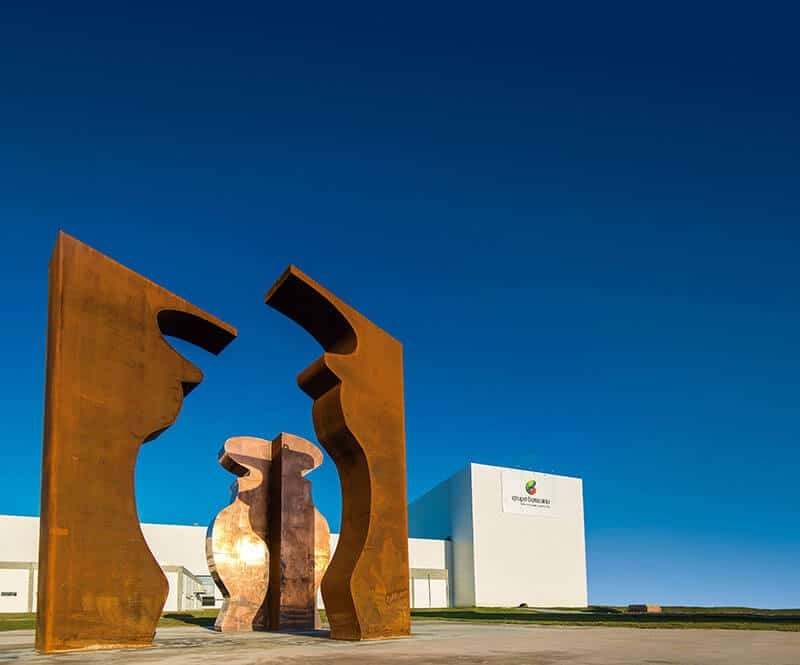 The Boticário Group is a leading cosmetics company, not only in Brazil but also worldwide. Each year, the company produces around 300 million cosmetics that are sold in 15 different countries. The Boticário Group combines six different brands under one roof, including O’Boticário, and is the largest cosmetics franchise in the world with 3,800 shops. 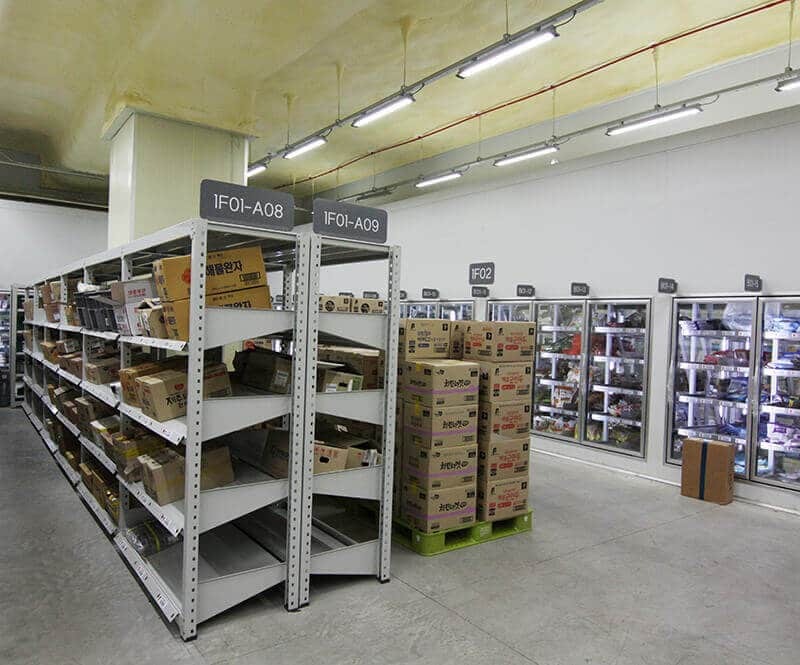 The Boticário Group’s products can be found in the franchise shops, online or through direct sales and in pharmacies, multi-brand stores and department stores. 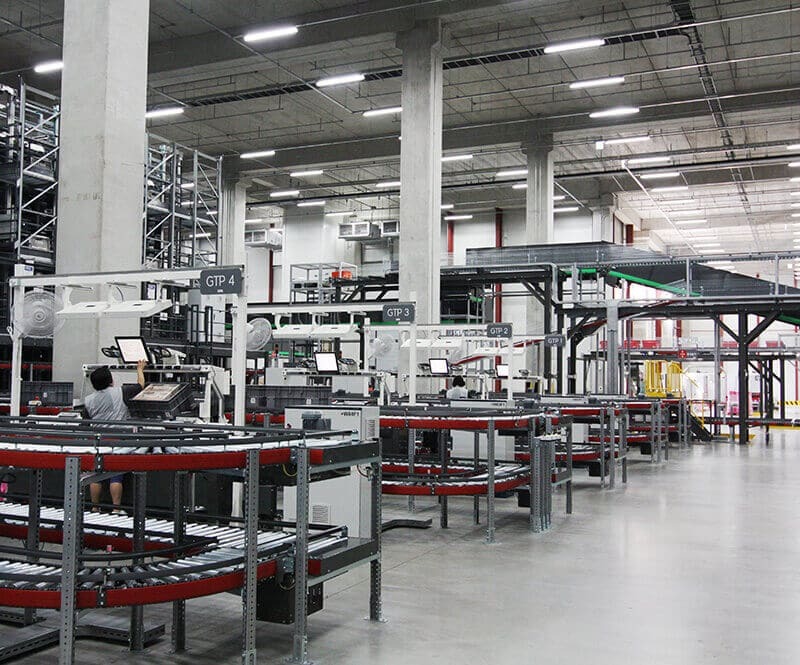 The Boticário Group aims to deliver their comprehensive article range as fast as possible and in the best quality, and therefore selected automation technology by KNAPP for their two distribution centres in Bahia and São Paulo. O’Boticário’s goal for the design of these DCs was twofold: to achieve maximum productivity and the highest degree of technological excellence. 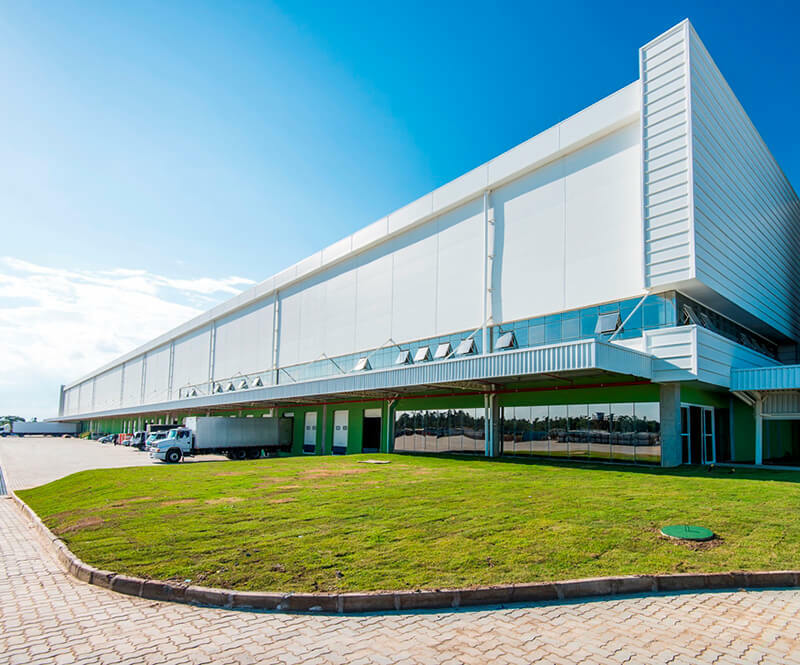 The very latest automation technologies combined with KNAPP’s unique process know-how make the warehouse in Bahia arguably the most innovative distribution centre for cosmetics in Latin America. The OSR Shuttle™ is the at the heart of the KNAPP solution, and as an all-in-shuttle, is responsible for important processes such as storage, picking and replenishment for the picking areas. 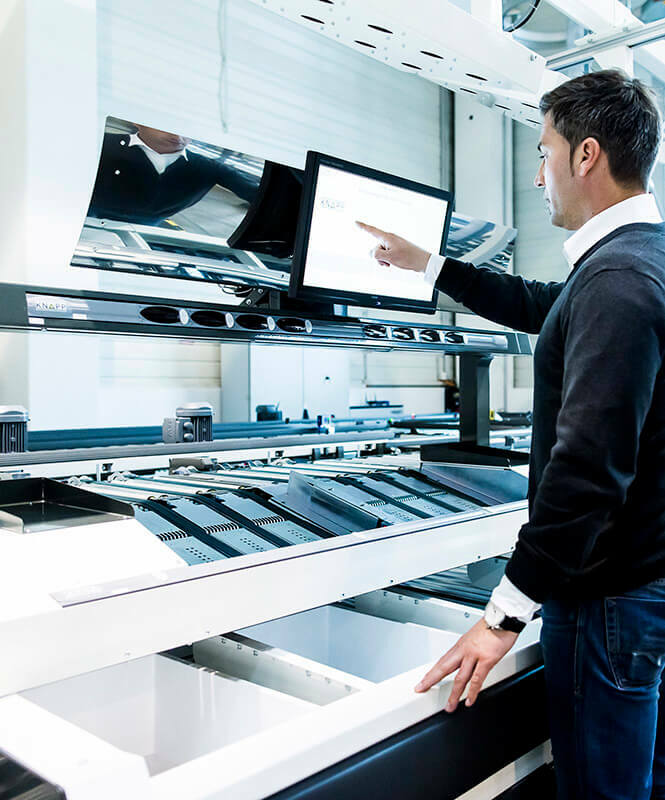 Along with the OSR Shuttle™, fully-automatic order start stations, fast-mover autopickers and sorter technology all ensure that dispatch sortation runs smoothly and efficiently. The control, monitoring and optimization of the components is handled by the KiSoft software. 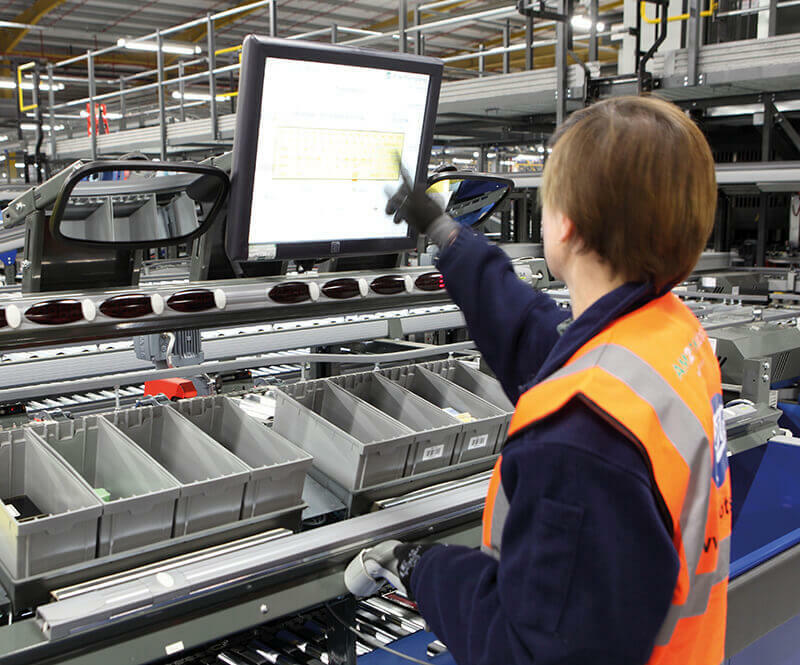 The manual processes are also supported by the software; in the manual warehouse areas, for example, Pick-to-Light displays guide the employees through efficient and error-free order fulfilment. 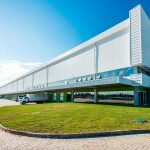 In this way, the distribution centre in Bahia achieves a throughput of 4,500 cartons per hour, thereby surpassing the anticipated performance. 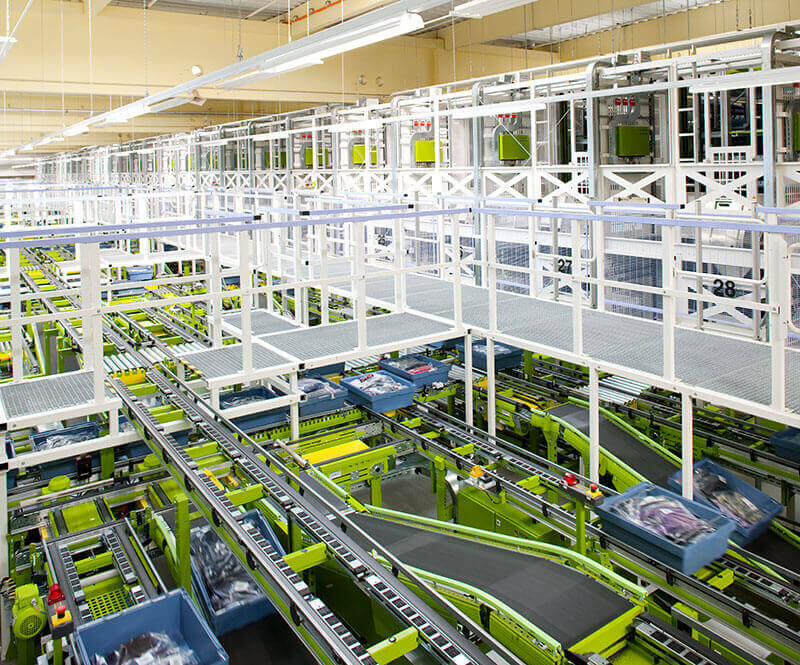 Returns management is a central demand in the fashion area and is the core competence of Hermes Fulfilment. The company belongs to the Otto Group and is a full service provider offering customized services all along the supply chain. 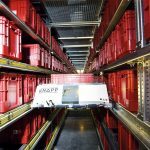 To optimize returns management, Hermes Fulfilment decided to automate part of the returns handling process using an OSR Shuttle™ from KNAPP. 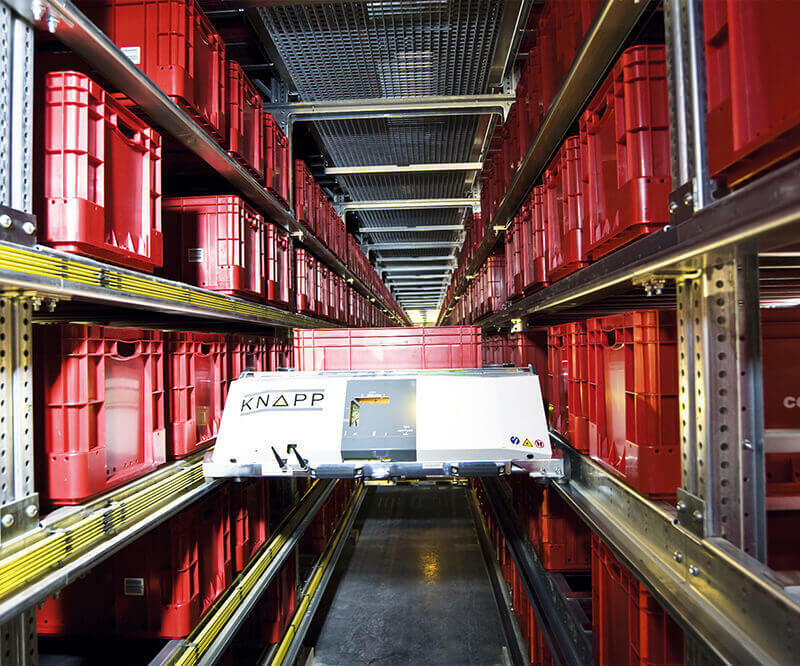 The powerful KNAPP solution for efficient and cost-effective returns handling is synchronized with other warehouse processes. Structurally, the OSR Shuttle™ was integrated into the existing building. The software transmits the ideal storage location for each mixed container. 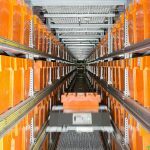 Storing up to 10 various articles in a container permits the optimal balance between storage density and picking performance. Picking is carried out at the Pick-it-Easy work stations. The work stations are designed with intelligent KiDesign and unify efficiency, ergonomics and multifunctionality. The computer controlled user guidance guarantees error-free work. 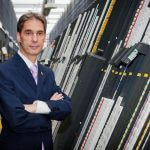 The safety of the OSR Shuttle™ was confirmed by TÜV Rheinland. The system is completely enclosed by a fence and can only be entered through an interlock system. All access points are secured by sensors and the system also has a fire protection sprinkler system. Servicing platforms and other platforms are available for maintenance of the system. 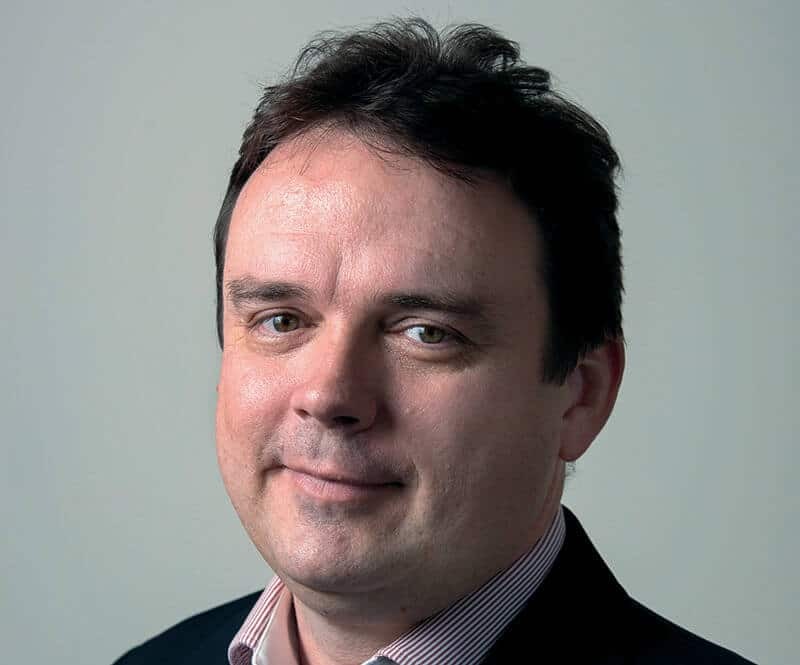 HUB logistics is a rapidly growing logistics company involved in traditional logistic solutions and packaging services and their further development. The company’s product portfolio also includes consulting services and outsourcing. HUB logistics counts customers not only from the machine industries, but also from trade, the food industry, telecommunications companies and public administration. 650 employees in 15 offices in Finland, Poland and Russia generated a total turnover of 50 million euros. 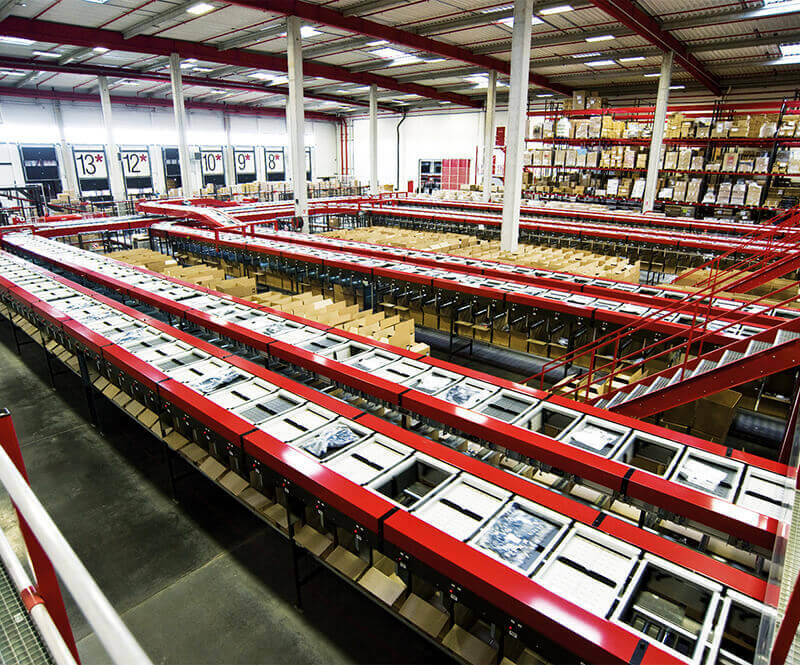 HUB logistics was looking for a system with as much flexibility as possible, to win customers to a new location. 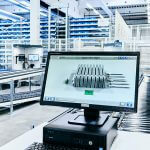 An integrated solution by KNAPP was the perfect answer. It has since proven to be precisely the right choice, as its innovative shuttle technology has made HUB solutions a market forerunner, able to offer its customers optimal service. 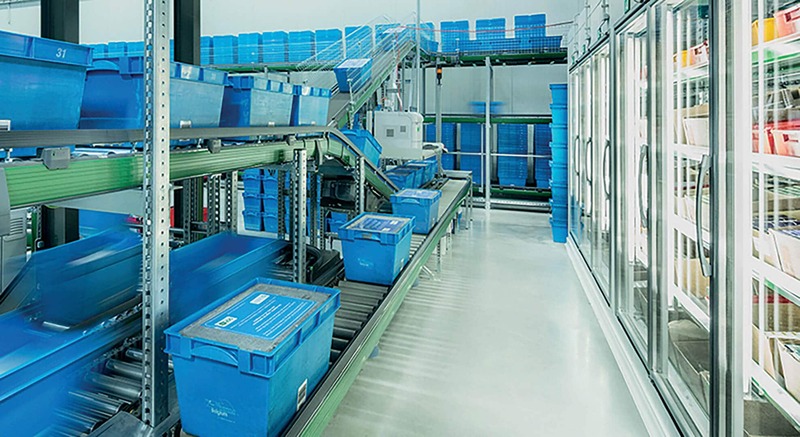 Along with the OSR Shuttle™ automatic storage system, the highly automated solution also includes ergonomic goods-to-person work stations from the Pick-it-Easy series. 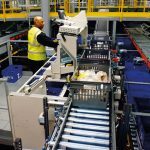 Automatic handling machines such as carton erectors or document insertion machines, as well as cutting-edge sorting technologies maintain the highly efficient flow of goods. The integrated KiSoft software tops it all off, controlling, optimizing and monitoring all the processes. 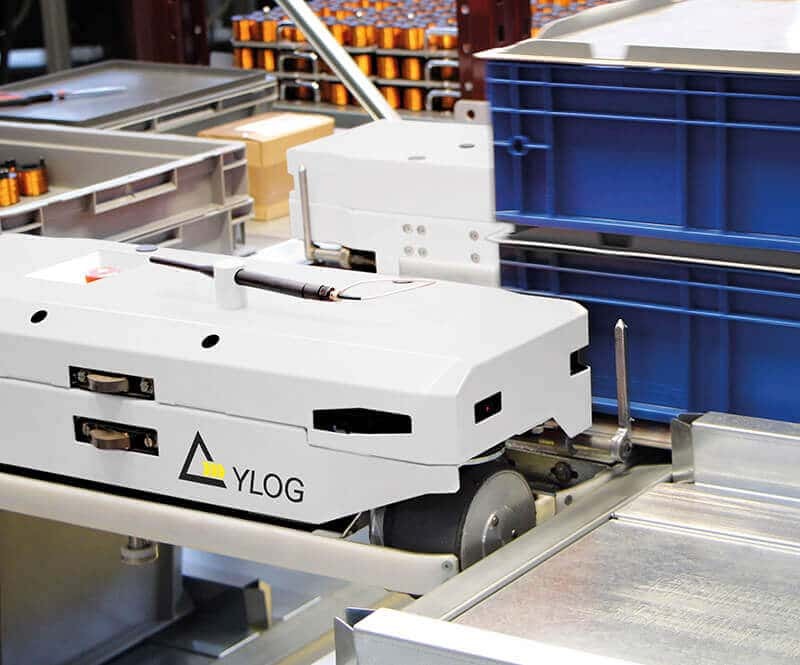 This versatile mix of technologies allows HUB logistics to offer its customers a wide range of products and processes. A solar power system on the roof provides a large part of the power for the building. 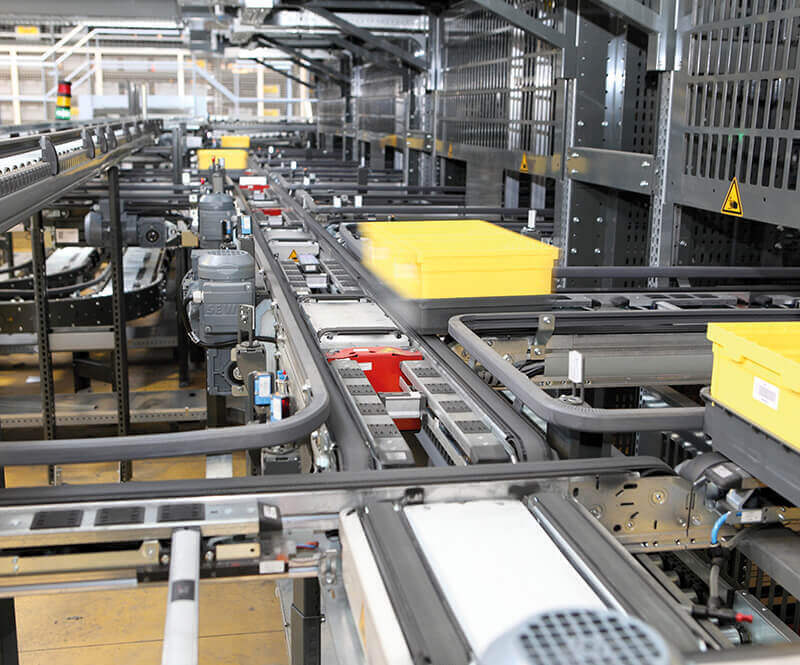 The system covers 10–20 percent of the total energy consumed by the logistics centre. During the summer, it produces more energy than is consumed, storing the extra energy in batteries. 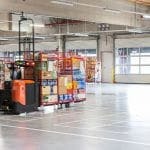 HUB logistics is the first Finnish company to use this system. 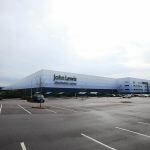 John Lewis (JL) is one of the leading department stores in the UK and comprises diverse companies such as John Lewis Stores and the supermarket chain, Waitrose. 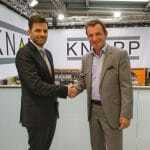 In order to further strengthen and expand its market-leading position in omni-channel retail, JL relies on its partnership with KNAPP. 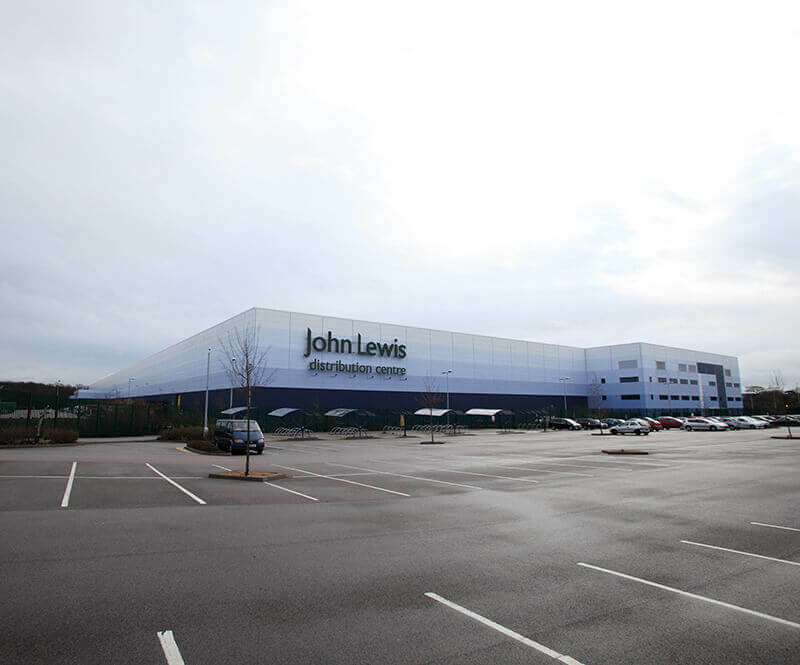 The Magna Park distribution centre is the heart and logistics hub of the John Lewis distribution network, allowing the company to set new standards in customer service. 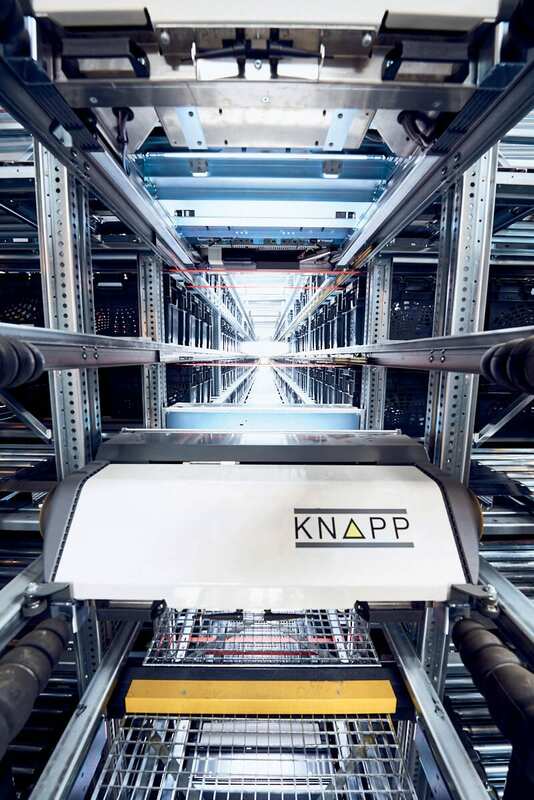 The KNAPP solution means an enormous increase in capacity for the distribution networks and forms a base for planned growth. 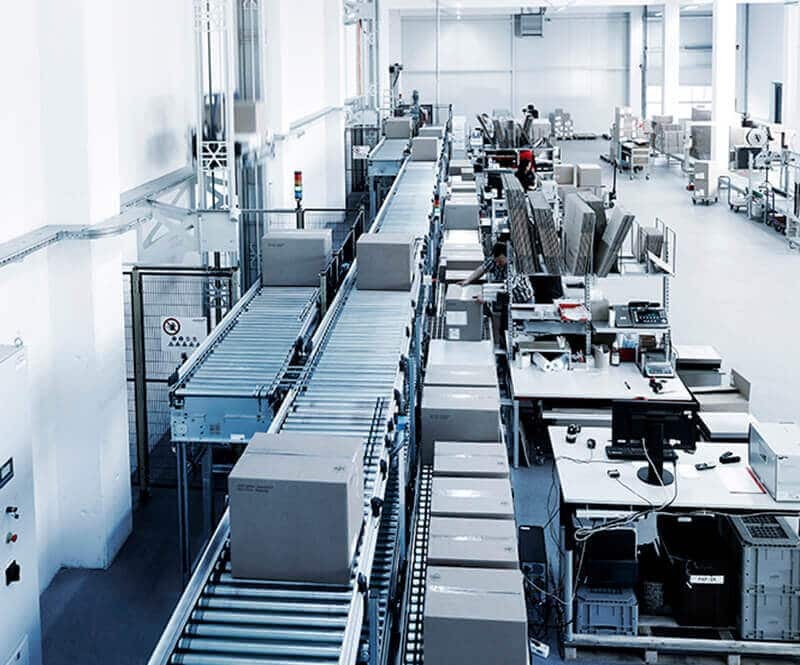 The innovative automation solution offers JL numerous advantages and fulfils all its requirements pertaining to efficiency, ergonomics, potential to make savings and flexibility. 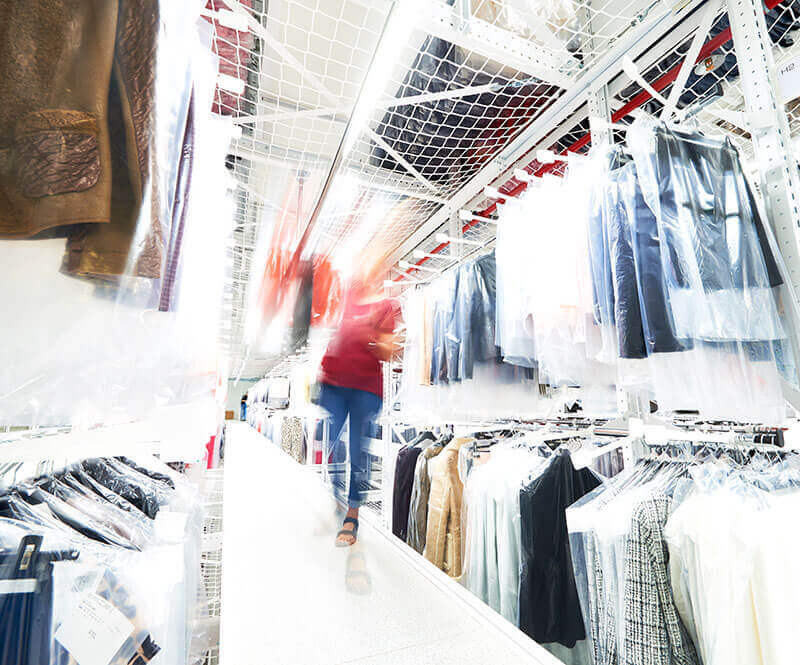 The intelligent omni-channel solution combines all the distribution models of JL: the availability of goods is optimized for both stores and end customers. Shop-friendly picking raises the level of service at stores and significantly reduces the amount of work required at the point-of-sale. Lotte Mart, the leading food retailer in South Korea, offers an online shop for groceries – Lotte Mart Mall. Thanks to the KNAPP solution for the Seoul DC, customers receive same-day delivery of fresh items ordered online. 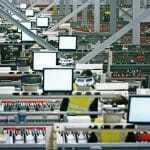 The system solution E-Grocer allows the company to process 10,000 orders a day. 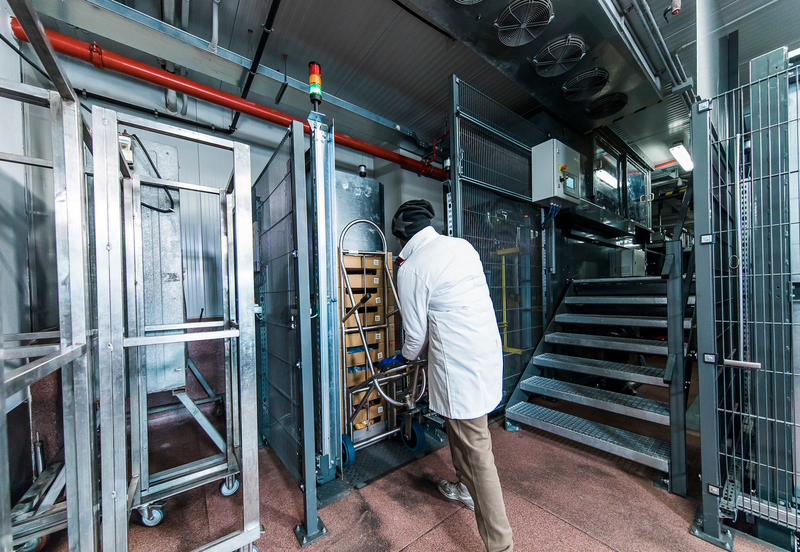 Articles from the dry, fresh and frozen range are picked under optimal ergonomic conditions in three different temperature zones. 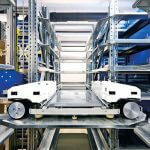 The solution uses the powerful storage and goods-to-person picking system, the OSR Shuttle™. The OSR is also able to process a large number of delivery routes simultaneously. 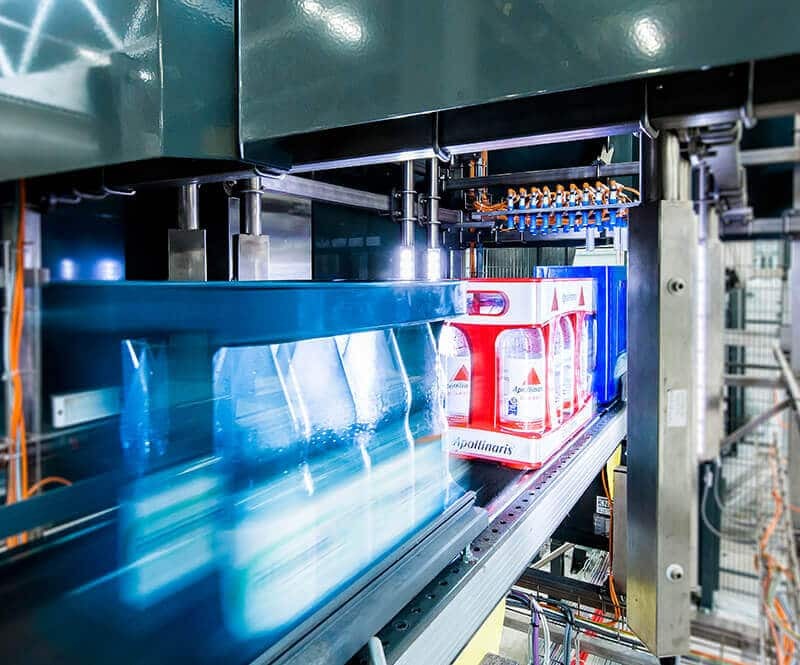 Thanks to the efficient master concept and technologies, and control mechanisms used, Lotte Mart is able to guarantee its customers a very short delivery time and high quality. Automatic data capture from 1D and 2D codes (serial numbers, lot information, date marks). 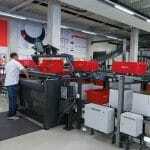 A 100% check in the automated picking areas. Louisiana Wholesale Drug Company (LWD) was founded in 1979 when a group of independent pharmacists recognized the need to offer their patients a comprehensive range at the best price with top-quality service. LWD now comprises 178 pharmacists who run a total of 250 pharmacies. To support further company growth, LWD decided to expand and automate the DC in Sunset, Louisiana. 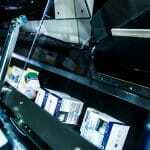 Fast-moving medicines are picked completely automatically using the proven Central Belt System. 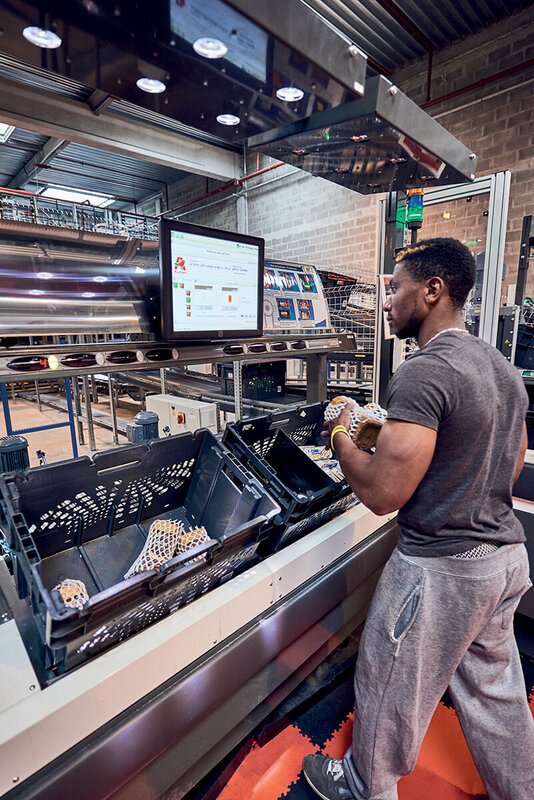 The Central Belt System is equipped with the Vision Central Belt add-on, which provides a 100% check for the automated picking area. 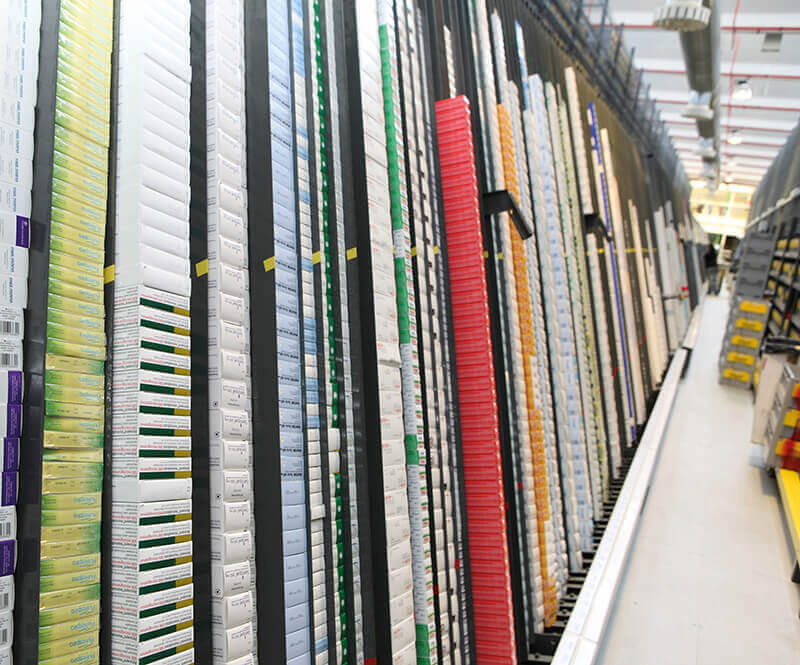 Vision Central Belt captures the security data such as serial numbers, lot information or date marks, fulfilling legal requirements while increasing efficiency and quality. 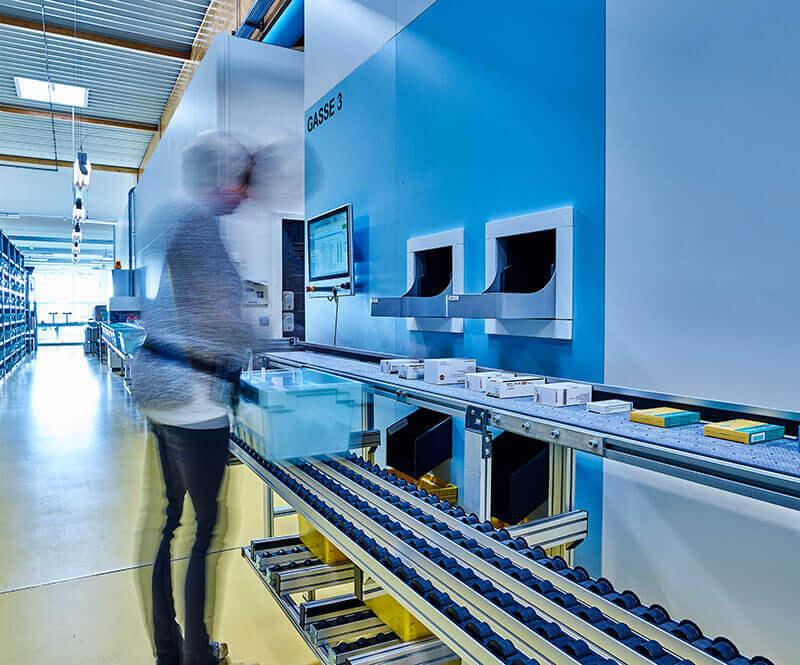 In the areas where checks take place, Vision Item Check increases efficiency and fulfils the highest demands for quality. 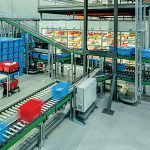 Since Vision Item Check captures data from 1D and 2D codes, it is suitable for applications in goods-in or for the efficient handling of returns. Vision Item Check and the add-on, Vision Central Belt, are easily integrated into existing systems for a reasonable investment. 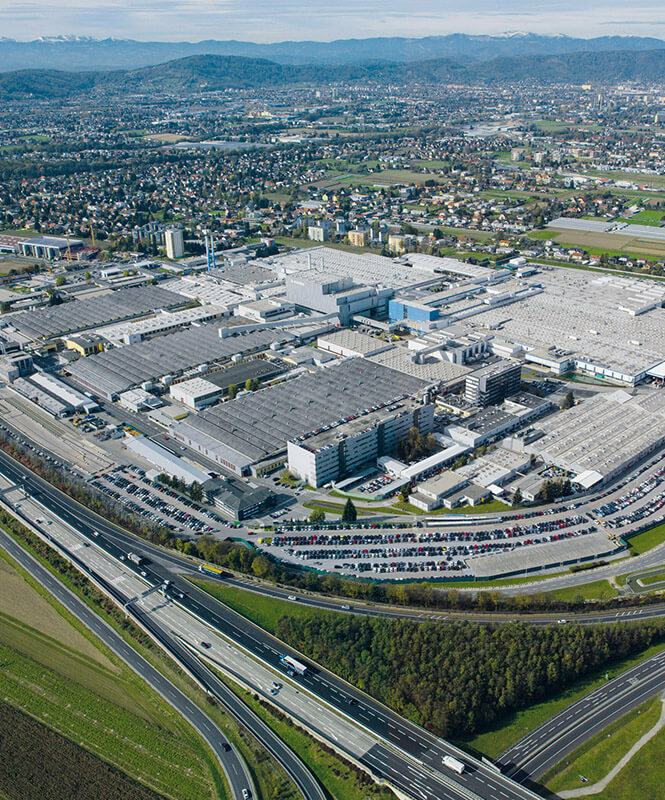 Magna Steyr is the leading global, brand-independent development and production partner for automobile manufacturers. 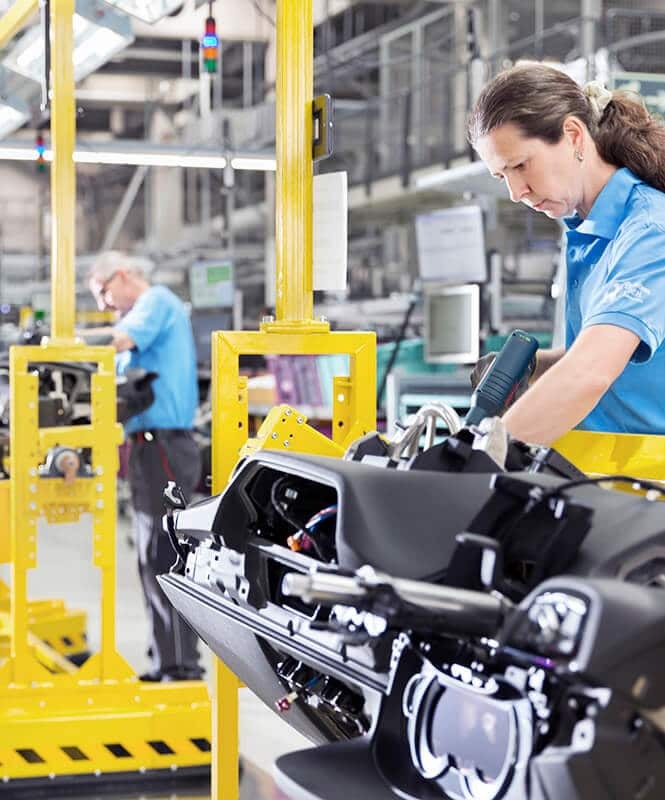 Magna Steyr’s highly flexible development and production strategies offer the automobile manufacturers solutions for a wide range of service scopes – from car door modules to complete vehicles, from the smallest series to covering peak periods and high-volume production. 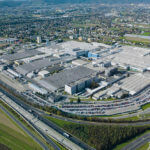 Magna Steyr decided to build an automated small parts warehouse in a decentral location in the cargo centre Werndorf, near Graz, Austria, for a new vehicle project at the Graz-Liebenau site. 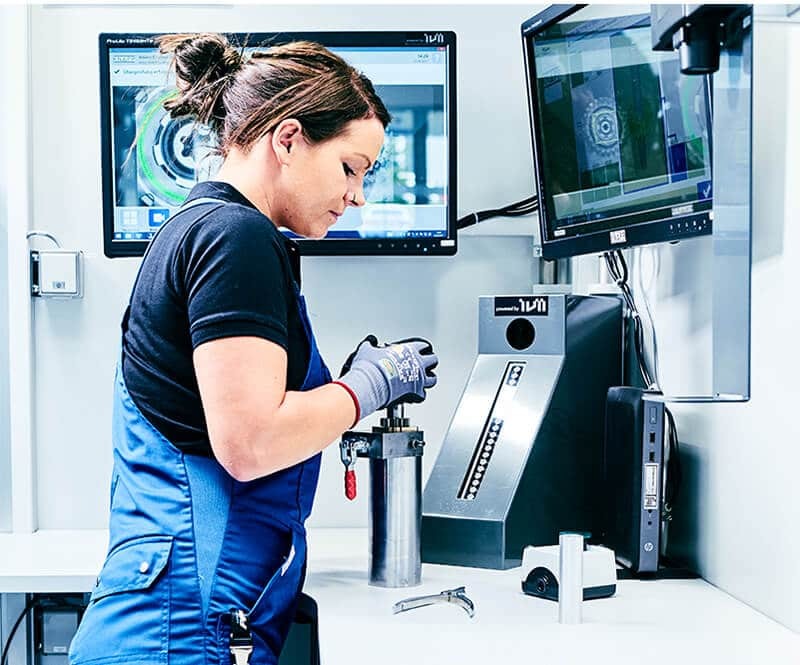 The integrated material flow system ensures that the required small parts are available at the production line at precisely the right time. An OSR Shuttle™ is at the heart of the solution, supplying a Pick-it-Easy work station. 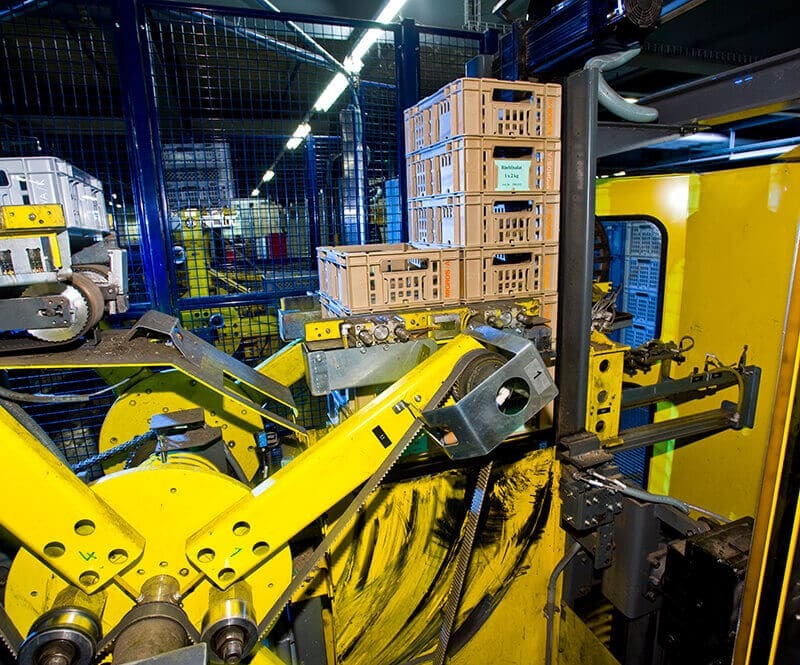 Once picked, the cable harnesses are supplied in baskets in the correct sequence and are brought to the production line in Liebenau in trucks. Error-free picking is guaranteed through individual item checks. Scanning the barcode on each cable harness confirms that the correct article is picked for the right car. 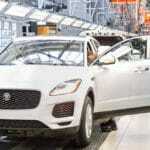 In this way, Magna has an integrated quality check as early as during the production process. 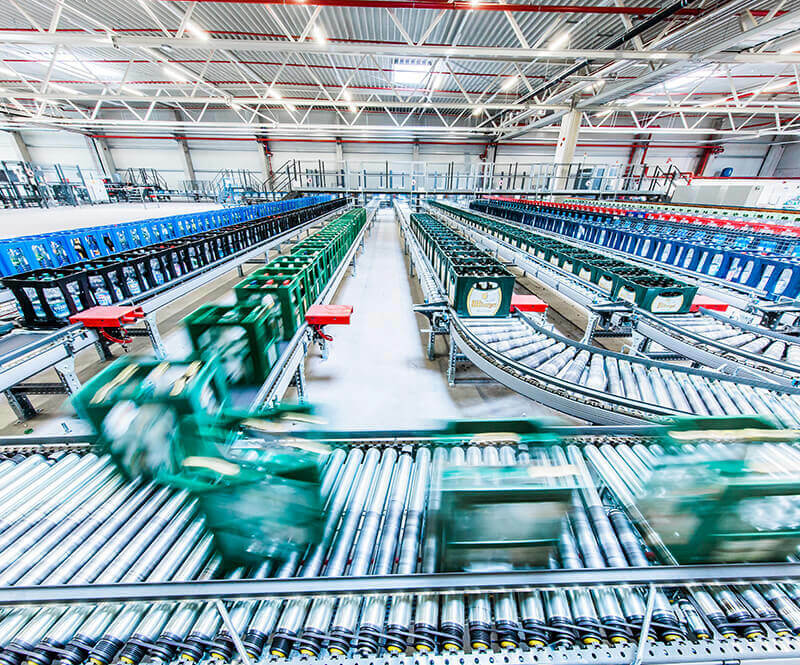 Thanks to the automated small parts warehouse solution and the software interface to the customer system, the picked cable harnesses can be supplied to the production line just-in-time and just-in-sequence. The international MALL group, with the online portal mall.cz, is the leading online trader in the Eastern European region. Currently, the MALL group supplies 18 Eastern European countries with a total population of 130 million people and plans to continually expand its market. 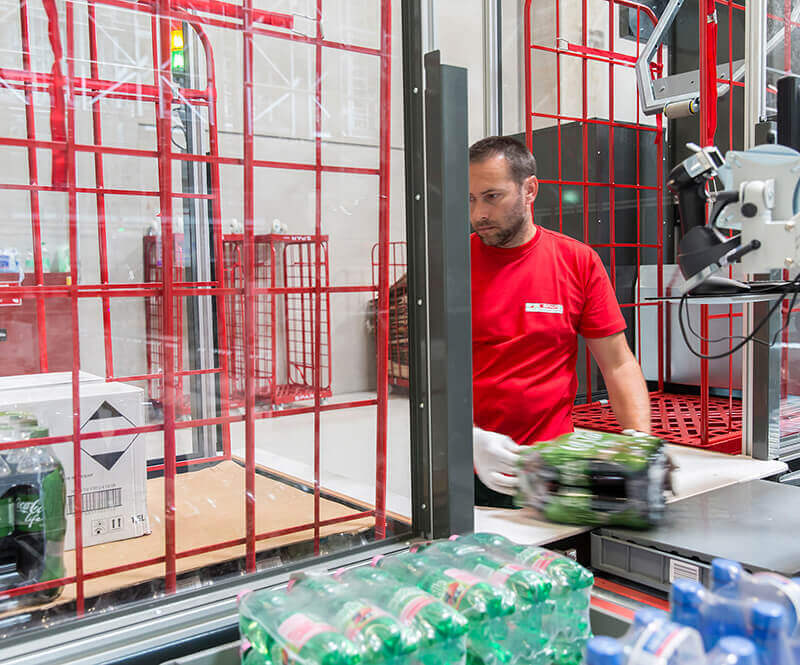 Against the background of this growth strategy and the increasing order numbers, as well as the time-consuming manual processes involved in consolidating and packing orders, Mall.cz decided to build a new highly-automated distribution centre just outside of Prague. The KNAPP team designed a solution for the project that won over Mall.cz thanks to its high flexibility and scalability. The fact that the solution is able to grow through the years as the demand for performance increases, proved to be especially convincing. KNAPP’s solution directly addresses the specific requirements of Mall.cz and provides fast and efficient order processing. 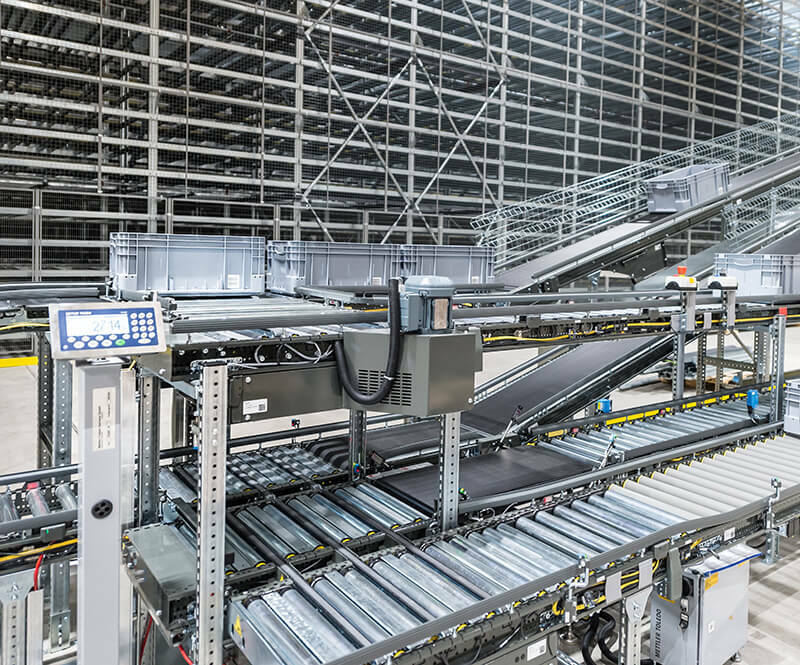 At the heart of the 50,000 m² logistics solution is a pocket sorter system with matrix sortation, which is combined with an OSR Shuttle™ and high-performance conveyors, upon which most of the goods can be conveyed directly. 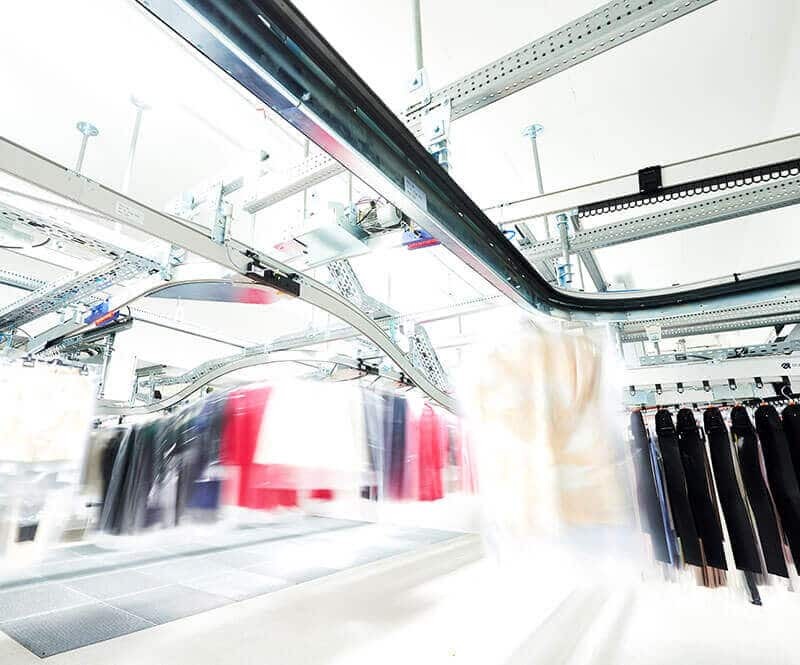 Highly automated processes, coupled with manual processes, provide the right support for the rapid growth Mall.cz is experiencing, and allow the company to provide optimal customer service with same and next day delivery. At the same time, the mix of technologies provides Mall.cz with maximum cost efficiency and flexibility in processing the wide range of articles and large order volume. KiSoft acts as the warehouse control system (WCS), managing, monitoring and optimizing all the processes in the warehouse. In addition, KiSoft also communicates with the control systems of the subsystems, such as the control software KiSoft SRC for the OSR Shuttle™. 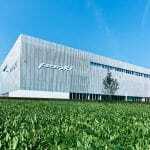 Marc Cain selected a design-oriented new building that which centralized six locations at the headquarters in Bodelshausen and that housed a flexible solution with the most modern technology. 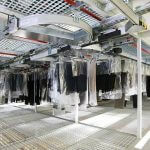 Marc Cain selected KNAPP as a partner who understands textiles, for a solution by a single source. 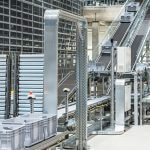 The highly automated solution includes a four-aisle OSR Shuttle™ and a hanging goods area that extends across 5 levels. 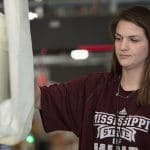 Over three million items of clothing pass through the warehouse each year and up to 35,000 articles are picked on a daily basis. 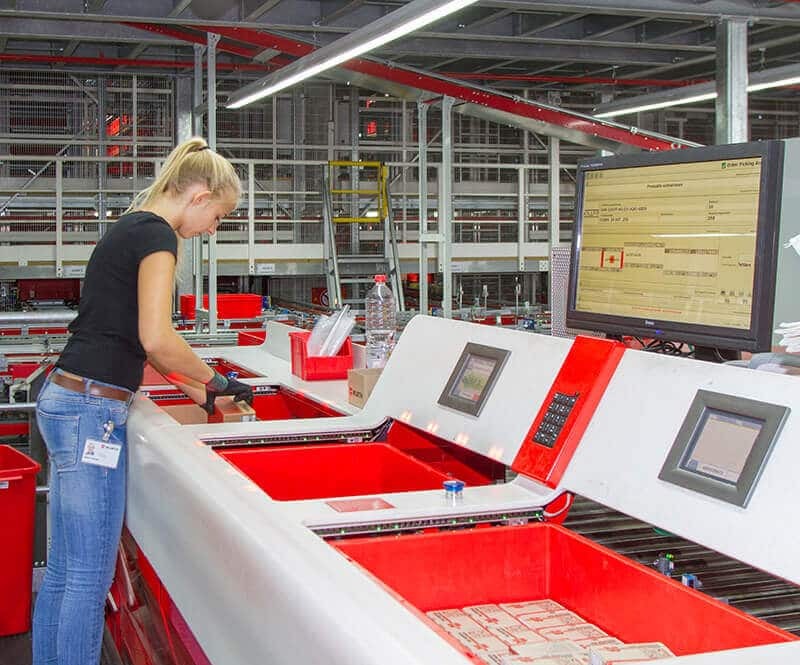 B2C orders are processed at separate Sort & Pack stations. 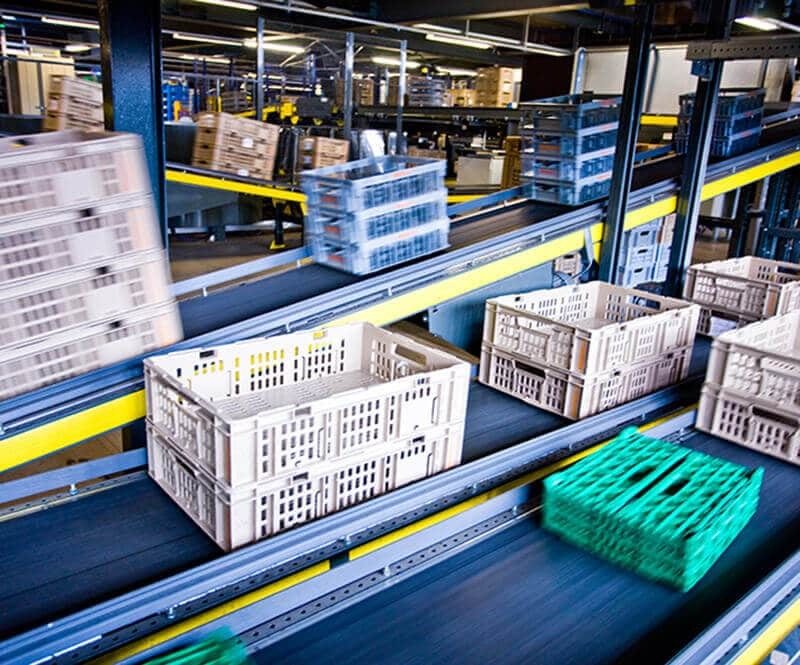 During peak periods, up to 1,250 packages are shipped daily. Exclusive online orders are packed with sophistication. The goods are wrapped in tissue paper and dispatched in premium-quality cartons with Marc Cain branding, together with an added gift. The Marks and Spencer Group plc (M&S) is an international retailer of clothing, commercial goods and food. 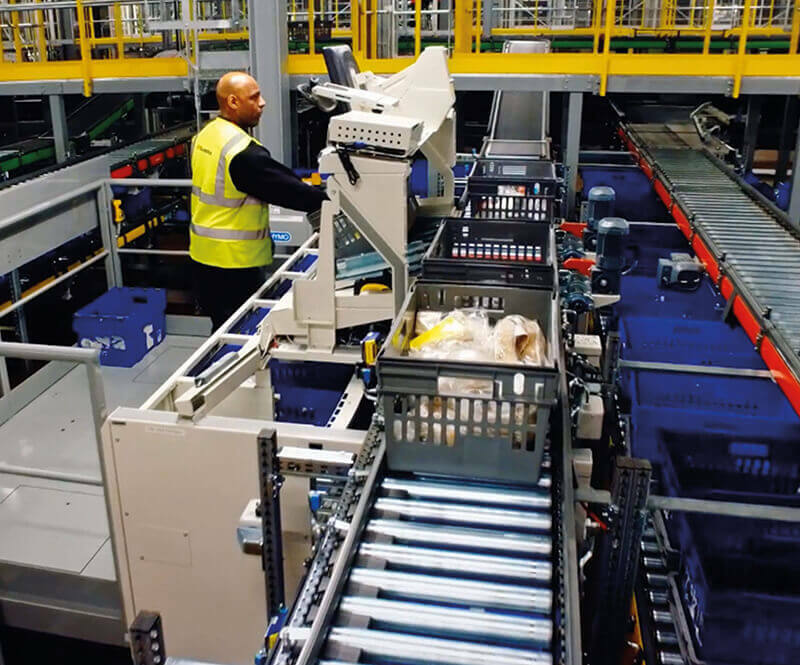 The key factor in favour of the KNAPP solution was the OSR Shuttle™ technologies, which form the heart of the intralogistics system in Bradford. 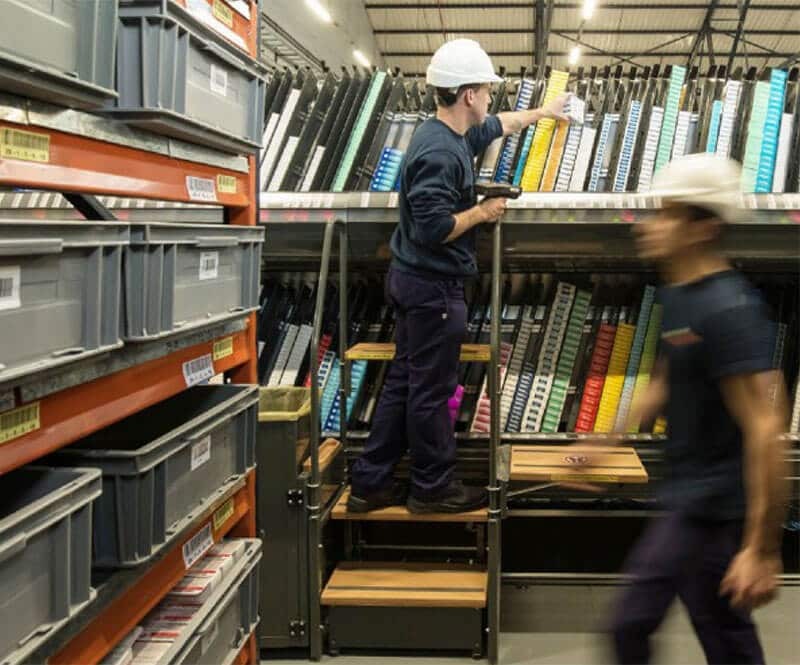 The OSR Shuttle™ supplies the ergonomically designed Pick-it-Easy work stations and processes all medium and slow-moving products in the warehouse with unrivalled efficiency. The DC operates 24 hours a day, 7 days a week, 365 days of the year. Always on duty – a team of KNAPP Resident Engineers keep the system availability at full steam thanks to their preventative maintenance and fast reaction times. 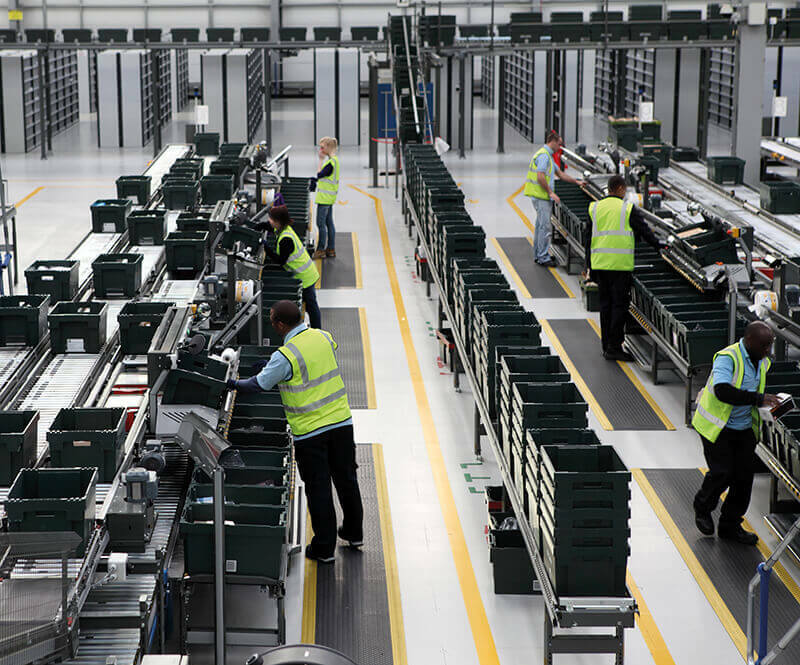 The DC in Bradford supports the 84,000 m² M&S distribution centre in Castle Donington, allowing M&S to optimize delivery efficiency to their stores. Optimized supply improves sales potential in stores and increases customer satisfaction, which is the key to M&S’s competitiveness. With around 78,000 employees, the McKesson Corporation is the biggest health company in the world and the fifth largest company overall in the USA. In addition to its sites in the USA and Canada, McKesson also has international sites in Europe and Australia. 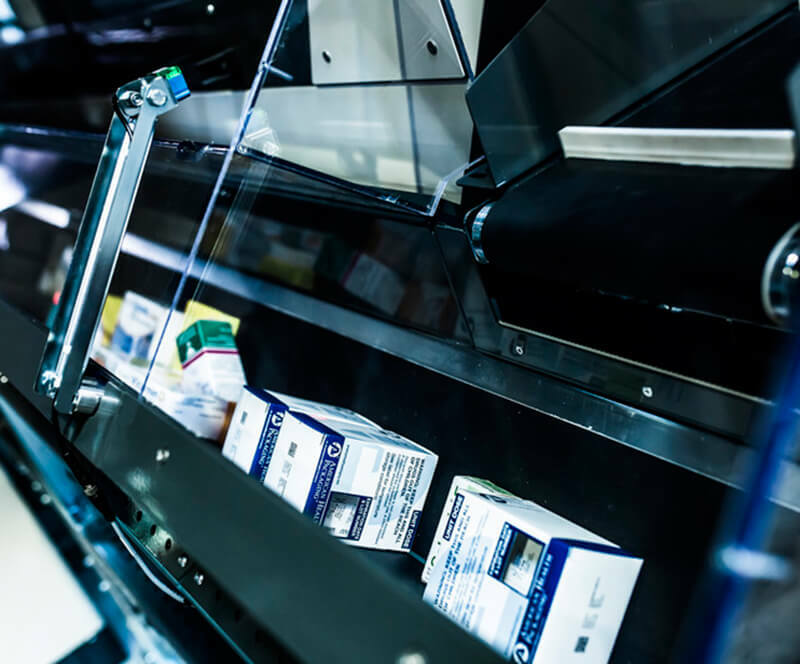 With the help of KNAPP’s all-in shuttle technology, McKesson sells non-prescription medicines, dietary supplements, groceries and beverages, in addition to prescription medicines and cosmetics. 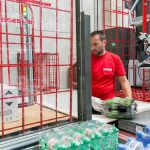 Migros wanted more efficiency in sorting empties at its Schönbühl location and to reduce physical strain for employees. 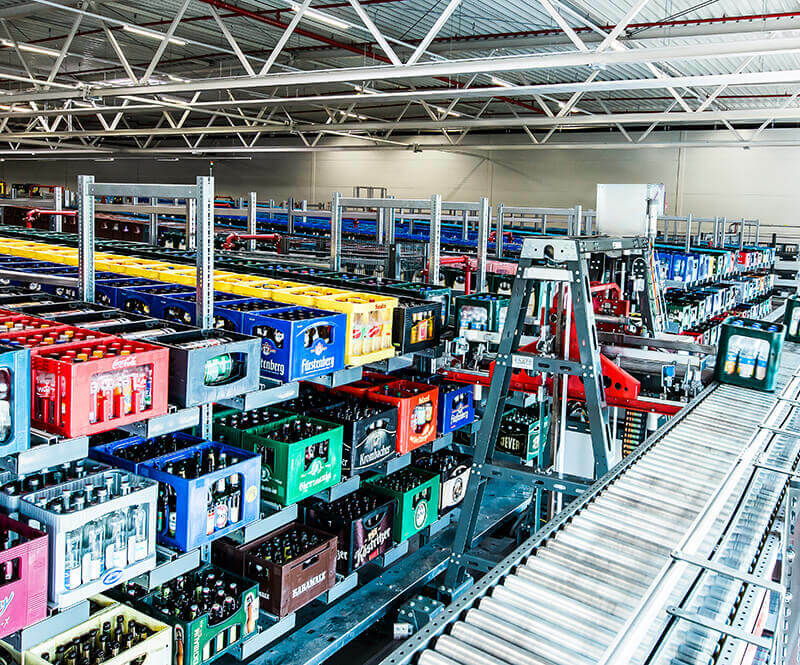 With this goal in mind, they selected an automatic empties sortation system by KNAPP. Sophisticated KiSoft software and modern technologies cover all the processes involved that are actually behind the point of sale. 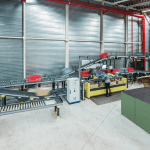 Components working behind the scenes along with the KiSoft products include: Container and pallet conveyors that track material flow, automatic handling machines, automated guided vehicles, electronic image recognition systems and high-powered sorter. 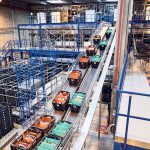 When it comes to smooth, automatic sortation, the system truly delivers with high availability and an hourly throughput of up to 12,000 crates. 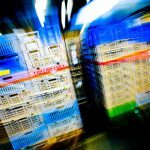 In parallel to the sortation of crates, the customer can also run a quality check in the pallet area, covering up to 8,000 pallets a day. 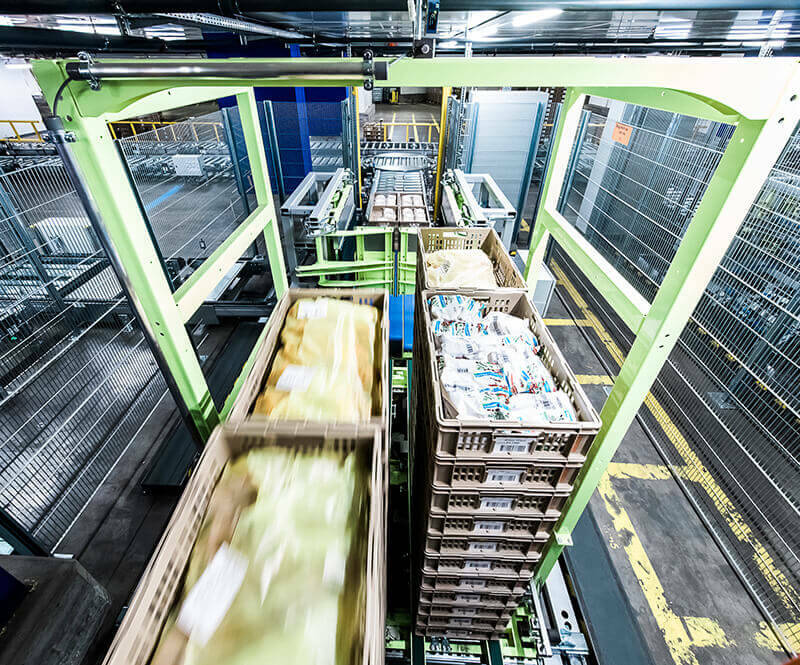 Every day at Migros in Zurich, up to 1,400 different dairy, convenience and catering articles, including baked goods, arrive on site either in standardized Migros handling units or in foldable crates. Manually handling such heavy units would place tremendous strain on the employee. KNAPP comes to the rescue with FAST Picking – an automatic, high-performance picking system. Articles arriving at the warehouse are automatically depalletized, stored and palletized for shipping to stores. 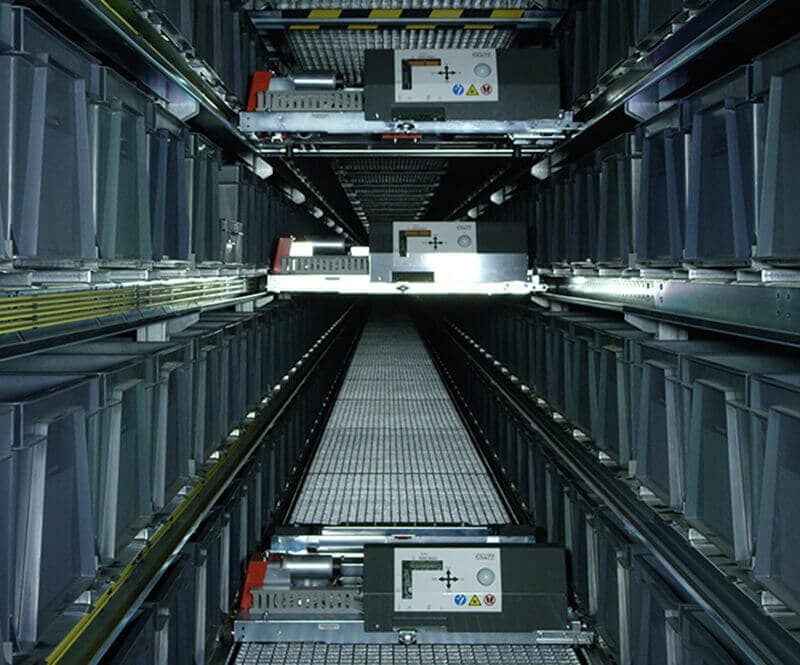 An OSR Shuttle™ System with 12 aisles, 7 levels and 12,500 storage locations is the heart of the solution. 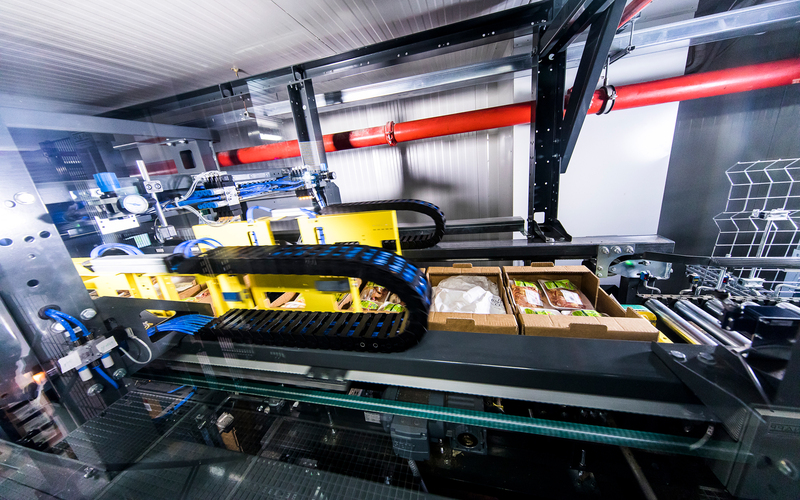 The automatic destacking and stacking modules cover three functions; pallets are destacked, the units are then placed on trays for short-term storage in the OSR Shuttle™ and finally pallets are built with the units according to order. 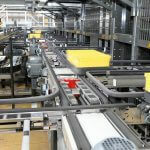 KiSoft Pack Master calculates the optimal pallet image so that the handling units are stacked in a shop-friendly manner. 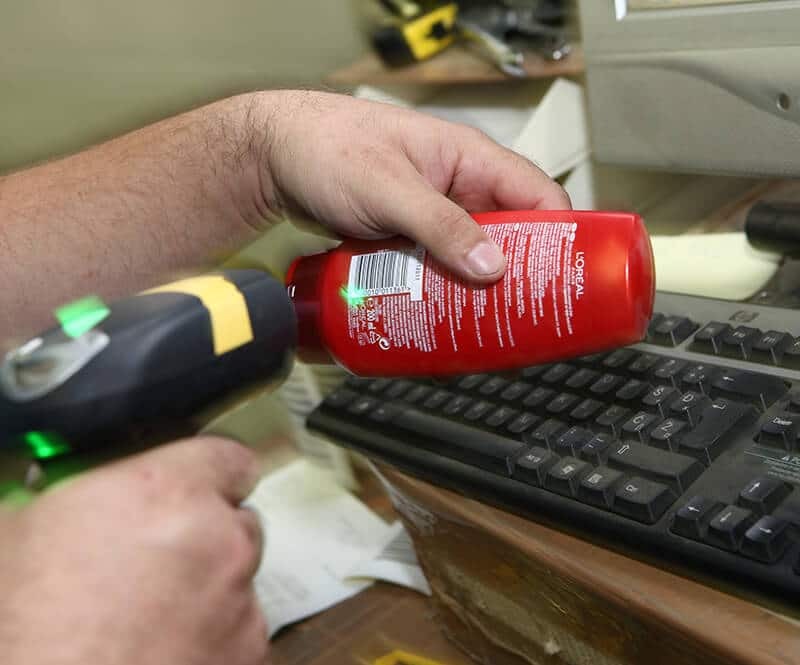 The solution supplies around 150 stores both accurately and cost-effectively. 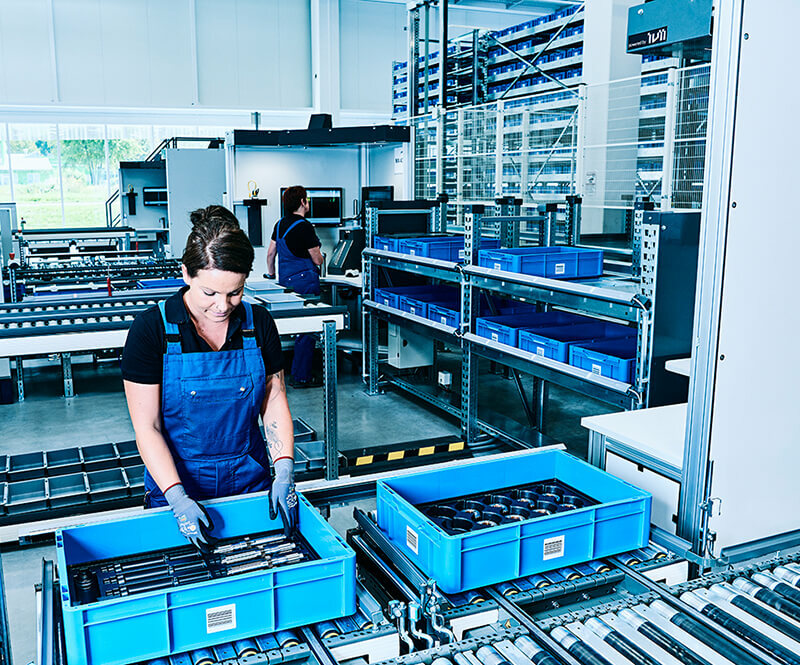 At automobile supplier MSG Mechatronic Systems, the YLOG-Shuttles store raw materials from the goods-in area, supply the work areas and provide materials to the staff at an ergonomic picking level. 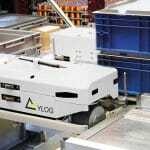 The YLOG-Shuttle system also features flexible, temporary storage for semi-finished and finished products. The YLOG-Shuttle System is coupled by interface to SAP Business One, providing the strict lot management the MSG needed. 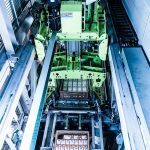 Particularly meaningful was the way the system takes into account the specific hardening time in the production process. 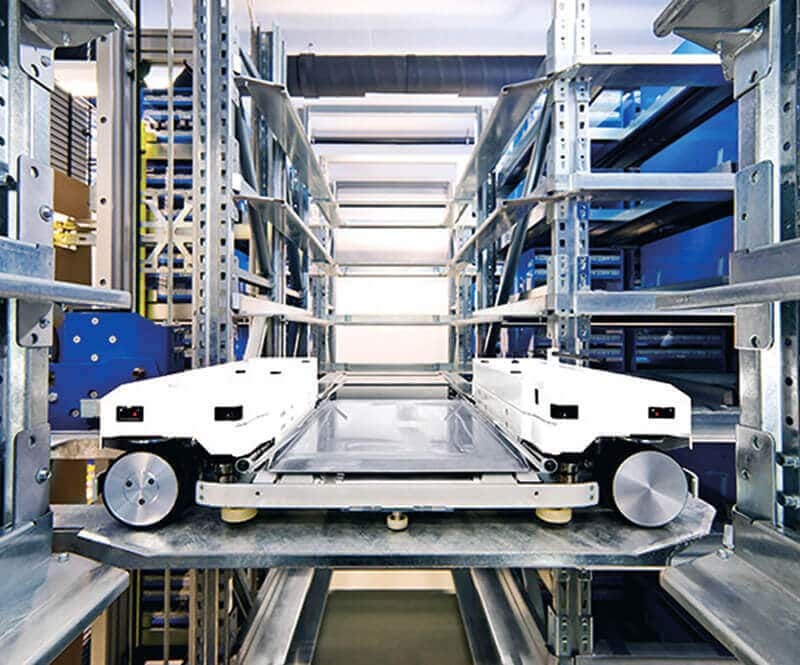 The shuttle system eliminates storing things on the floor and forklift traffic in the production area. 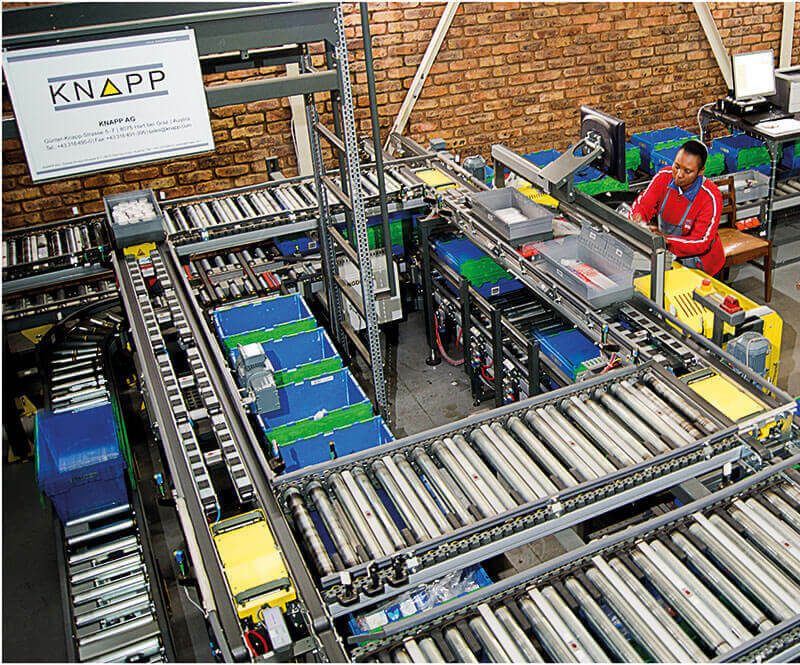 Flexible, temporary storage is efficiently connected to the various work stations, which have different cycle times. 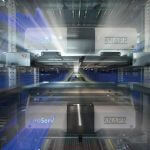 The system can be expanded easily in the future in terms of storage locations and performance. 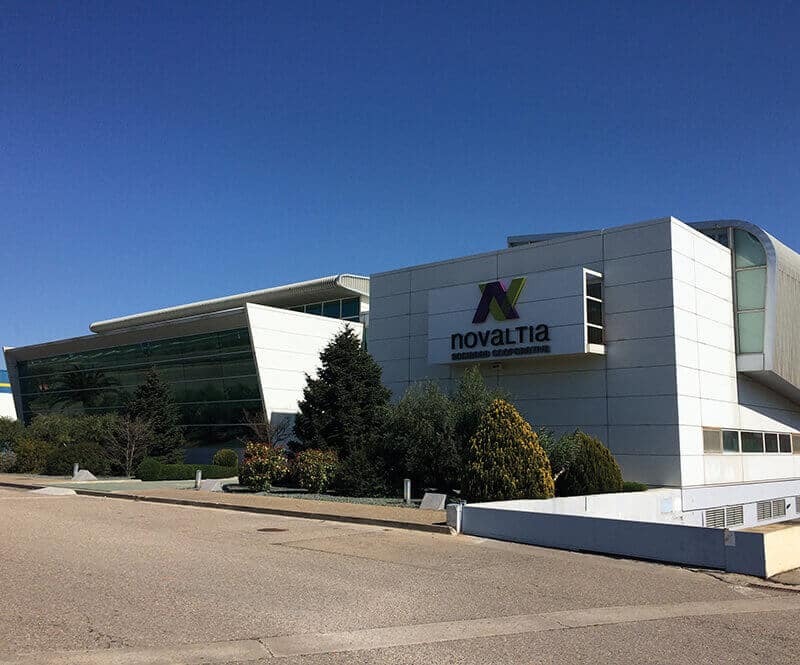 Novaltia operates four distribution centres and delivers to around 1,000 pharmacies, up to five times daily. 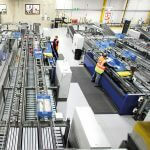 The majority of picking procedures in the distribution centres are automated in order to process enormous order volumes of up to 120,000 articles per day efficiently and securely. 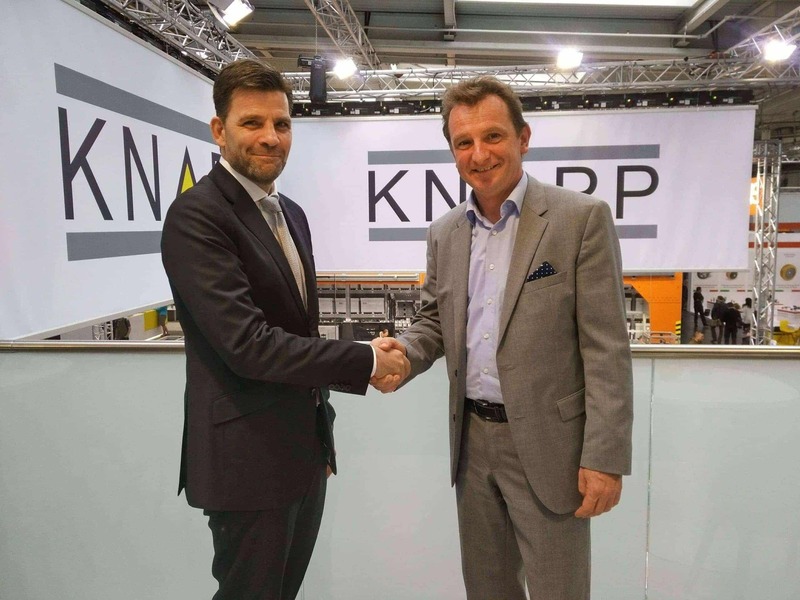 KNAPP continues to work with Novaltia as a partner in logistics, expanding and modifying the existing distribution centres. 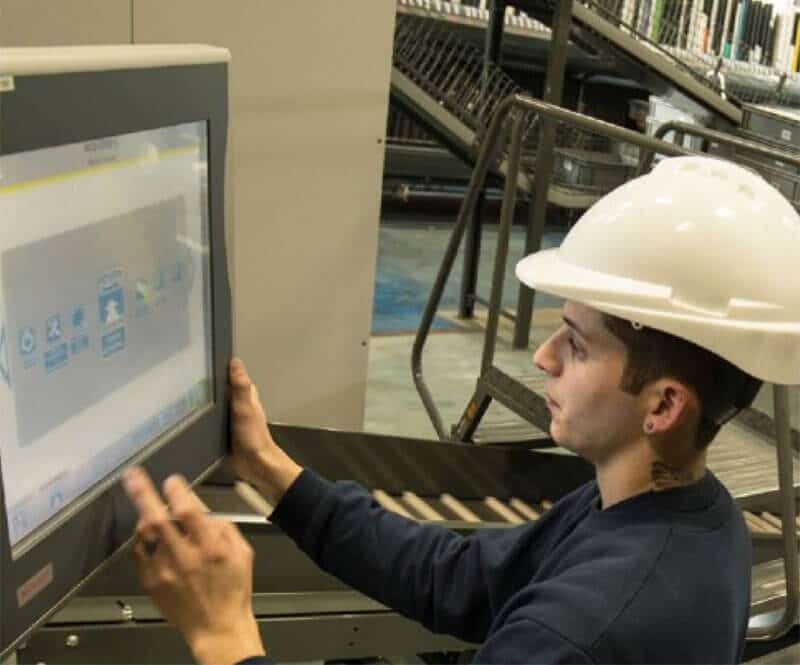 The DC in Zaragoza is an innovative complete solution with central belt technologies, OSR Shuttle™ with goods-to-person work stations, comprehensive KiSoft software solution and a stacker crane. 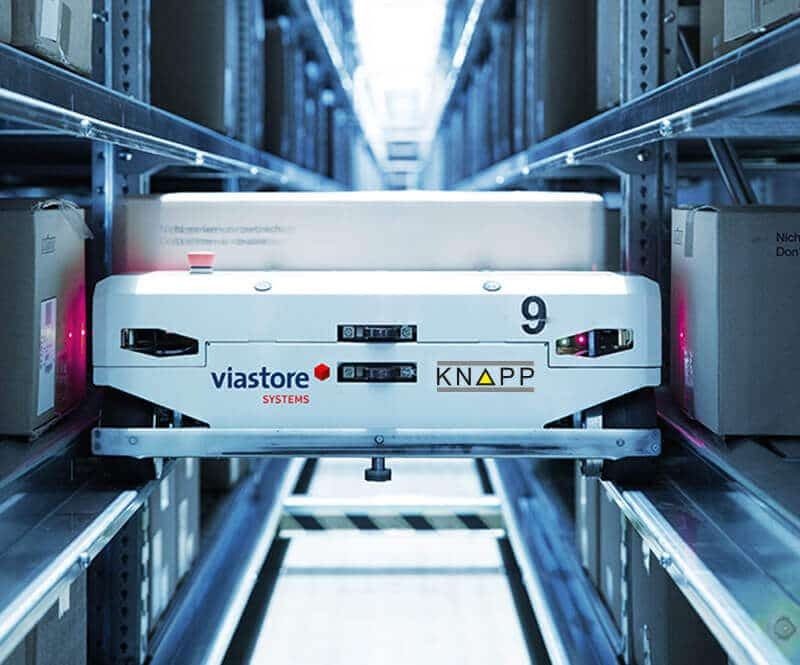 Novaltia has opted for the KNAPP-Store for the efficient and safe handling of slow-moving articles, returns, and articles that are subject to stringent legal regulations. 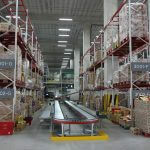 The free-moving Open Shuttles cover the complex conveying stretches within the warehouse. 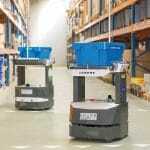 When humans reach the limit of their capabilities, the Pick-it-Easy Robot takes over. 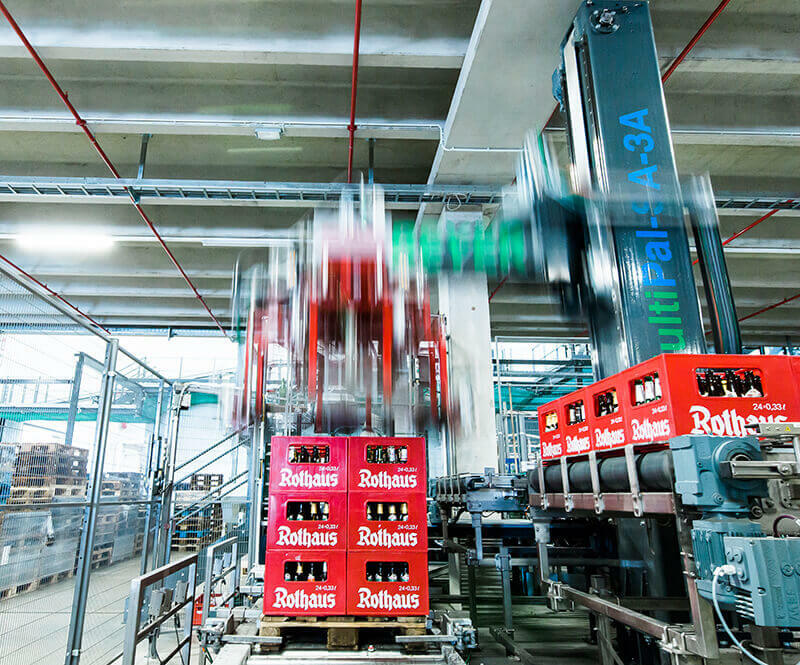 The robot really delivers – high performance at a steady rate and top picking quality. OLYMP Bezner KG is the market leader for premium men’s clothing, offering modern design, high product standards and great quality for a great price. 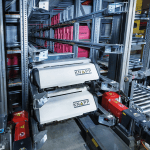 In their made-to-order DC, OLYMP has an OSR Shuttle™ with 265,000 storage locations, which provides temporary storage for the dispatch area and which supplies the pocket loading stations. Two pocket sorters are downstream of the OSR Shuttle™. 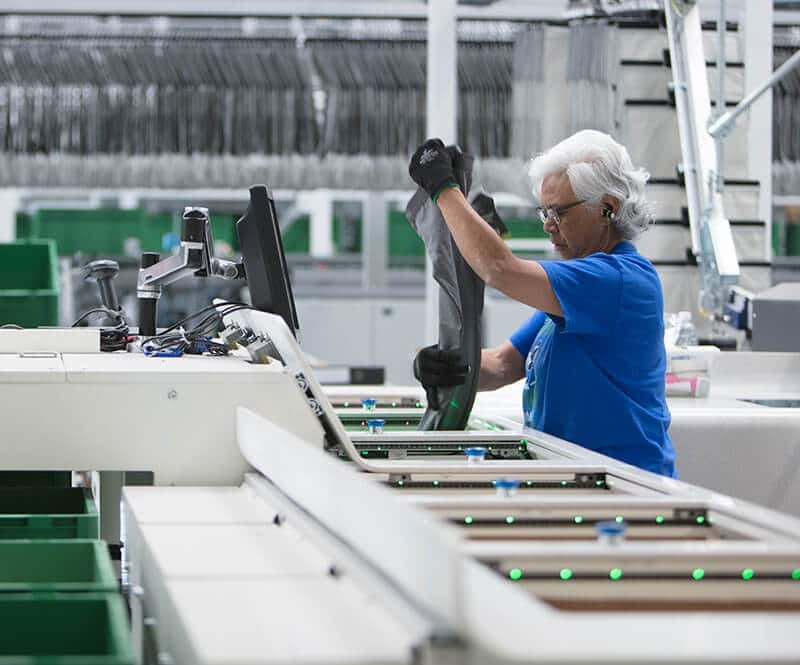 This means every dealer receives the required shirts, ties, polos and knitted goods in a sequence based on customer request as a package – in short, shop-friendly. Control system KiSoft WCS and ergonomic, employee-friendly work stations complete the KNAPP solution. With this system, there is plenty of flexibility for OLYMP’s order structure, allowing B2B and B2C orders to be processed at the same time. Pankl Racing AG, headquartered in Austria, is part of the international KTM group and specializes in the areas of aerospace, racing and high performance. 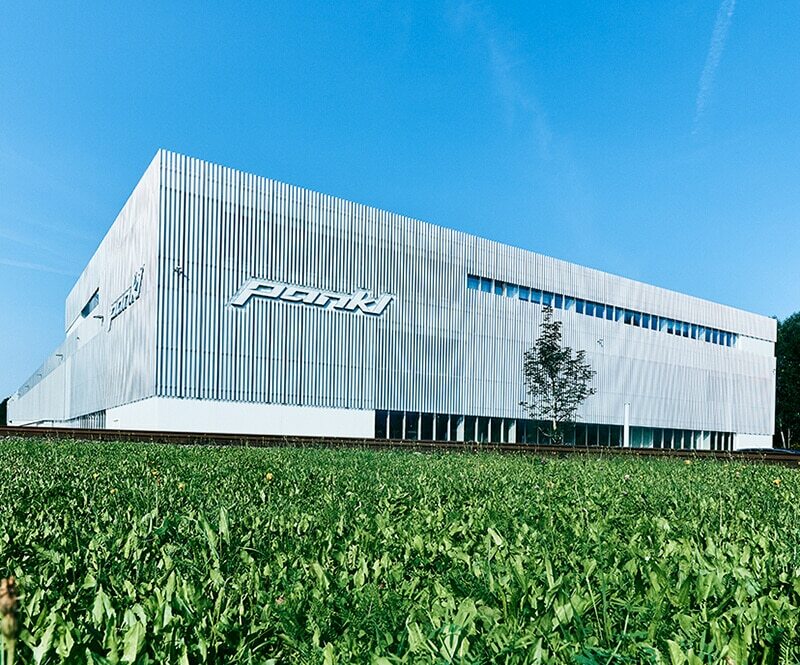 Pankl High Performance Systems is a new division of Pankl Racing AG and produces high-quality drivetrains for motorcycle applications for KTM at its new site in Kapfenberg. 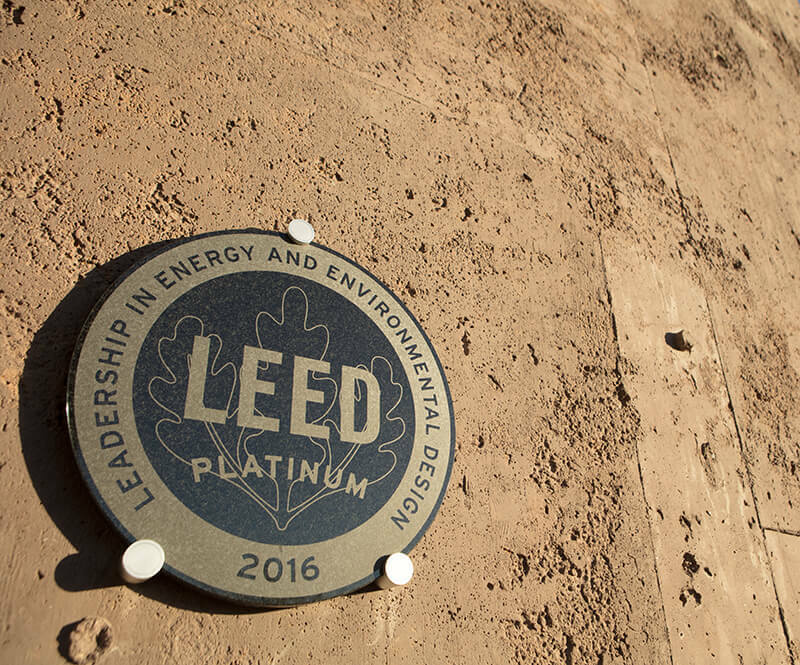 The high production performance of up to 160,000 items per year led to the entire value creation being pooled under one roof. In total, 12 different types of drivetrains are manufactured for both on and offroad driving. Along with high performance, optimum quality is crucial to all of the processes. 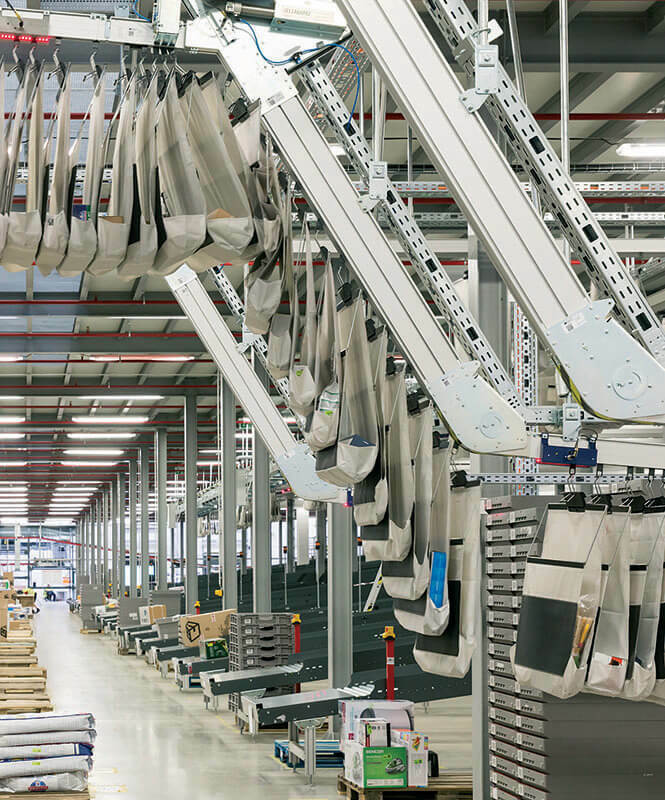 This is why Pankl chose an innovative solution from the KNAPP group’s portfolio for its assembly area. Semi-finished parts and bulk material are stored centrally in the YLOG-Shuttle system. 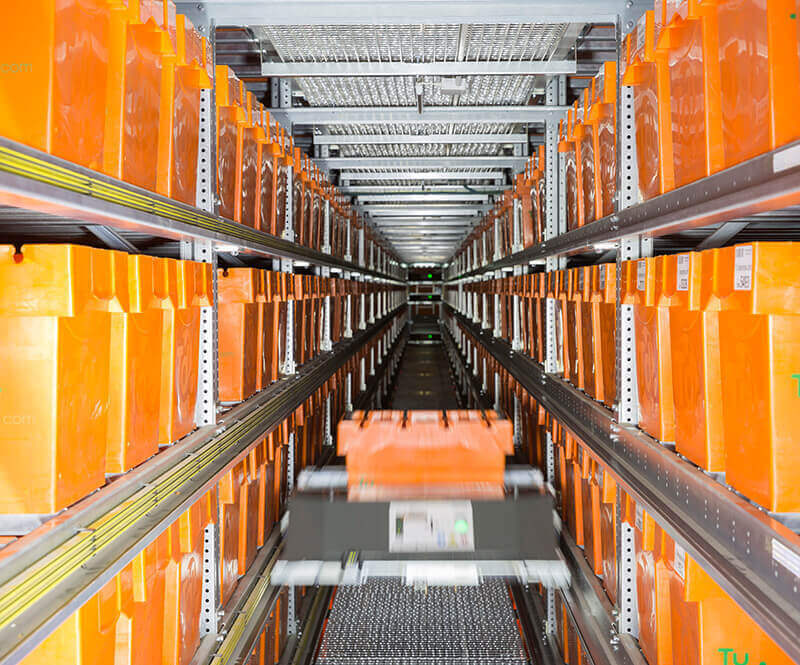 The shuttles can change between levels and rack line systems, allowing them to reach every single storage location in the rack system. 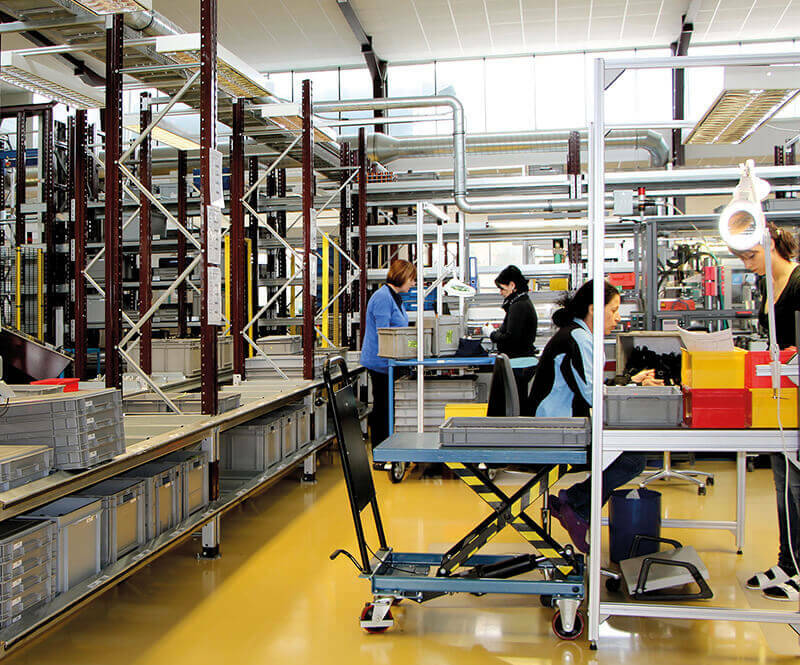 The shuttles retrieve the parts required for assembly and bring them directly to the ivii.smartdesk work stations. Here, assembly is guided by software with a real-time feedback system. 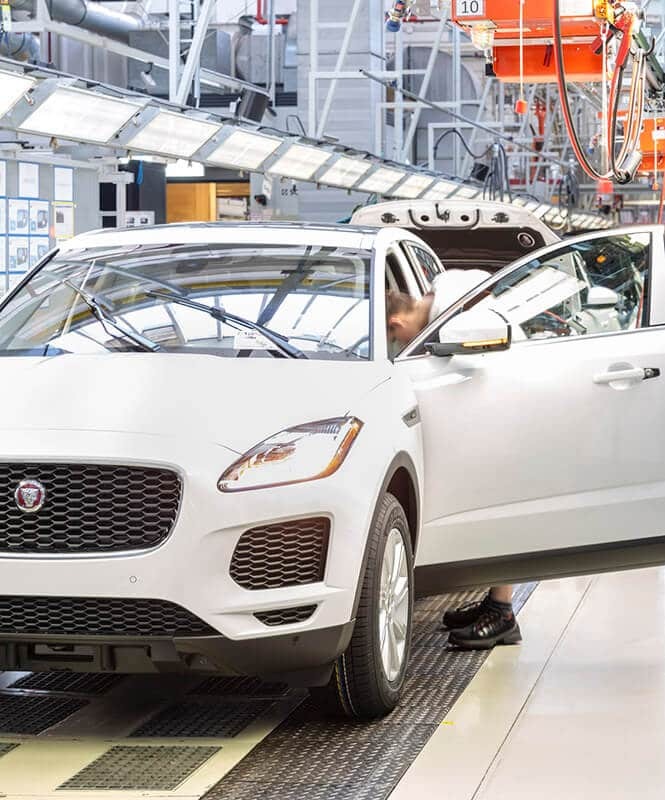 During assembly, the system records all the parts, checks that they have been correctly installed and informs the employee of the result. Green means that everything is correct whereas red means there is an error. In the event of an error, ivii.smartdesk assists in the correction process. 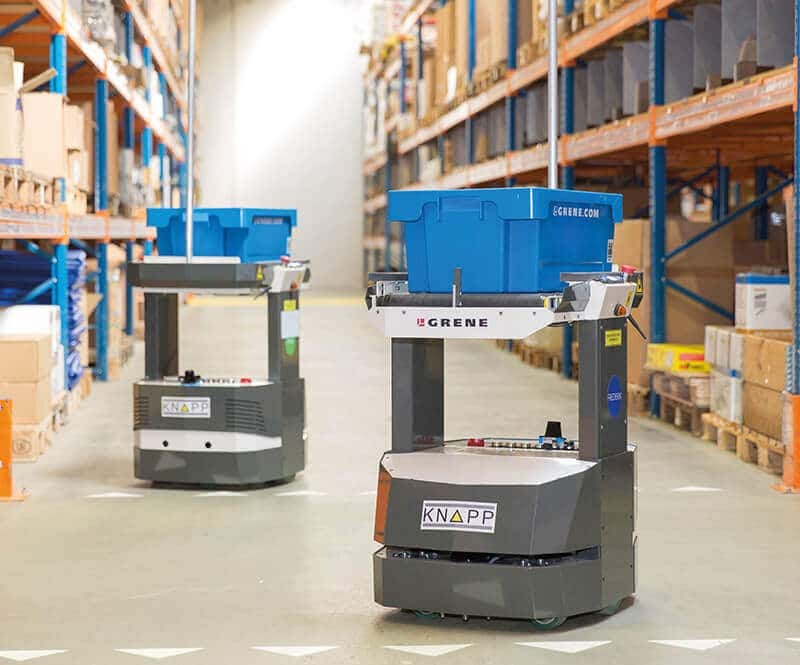 The KNAPP solution combines maximum performance and efficiency with a zero-error strategy, and provides personnel with a modern working environment. 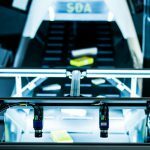 Gamification of the assembly steps motivates personnel and helps to establish a learning organization. Pharma Belgium belongs to McKesson Europe and has four modern distribution centres in Eppegem, Ghent, Houdeng and Liège. 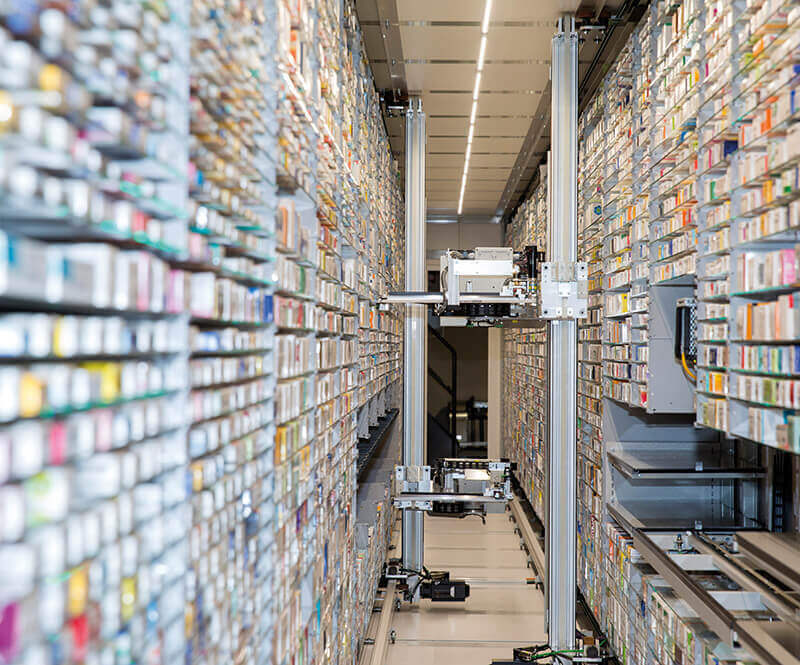 From these distribution centres, Pharma Belgium supplies around 2,800 Belgian pharmacies several times a day with 35,800 articles. 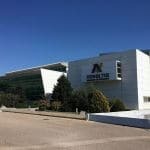 The company employs 410 people. 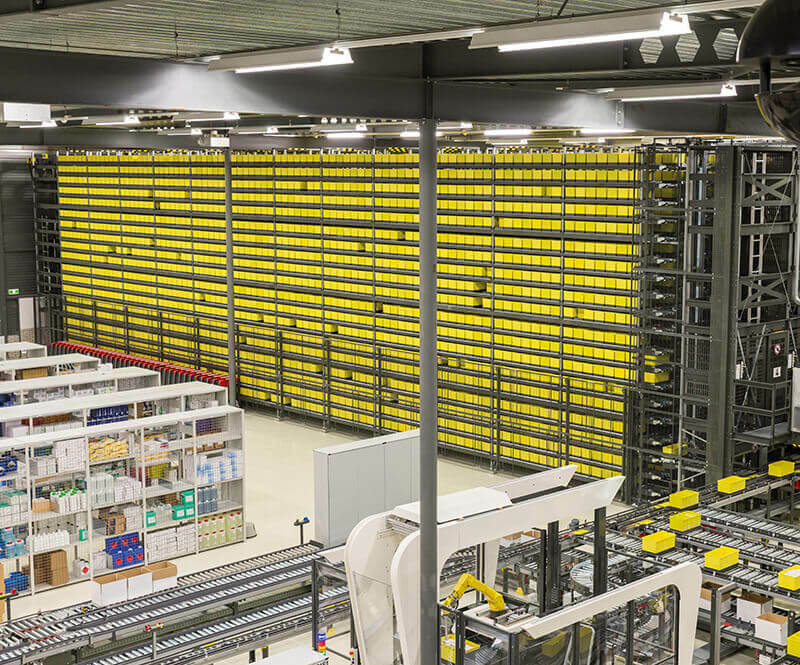 Pharma Belgium opted for a solution from KNAPP to automate the new distribution centre in Eppegem, close to Brussels. 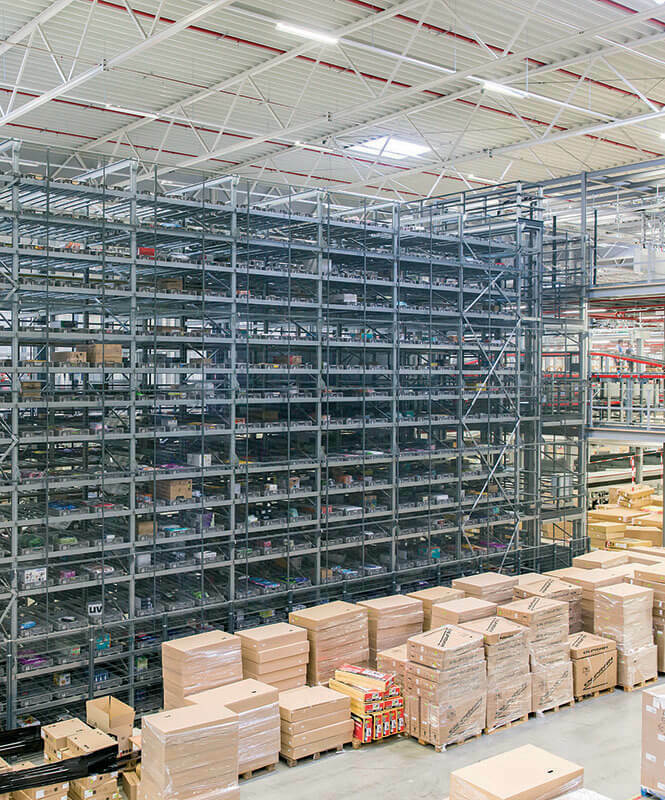 The aim was to achieve faster delivery times, fulfil growing customer demands and optimize labour-intensive processes in the warehouse. 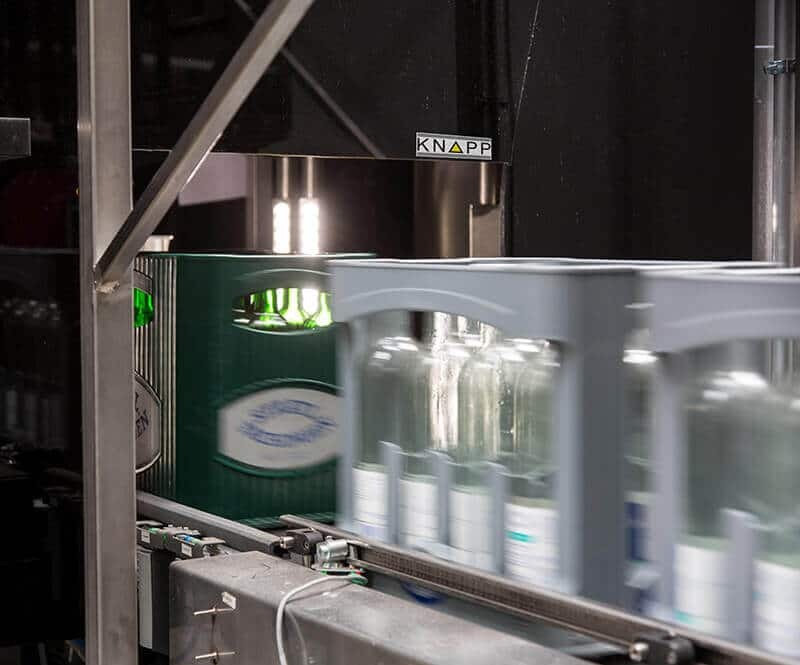 In close collaboration, Pharma Belgium and KNAPP developed a solution with the ideal degree of automation to ensure maximum efficiency and flexibility in daily operation. 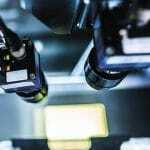 The solution is built around a Central Belt System with two high-performance fast-mover autopickers. 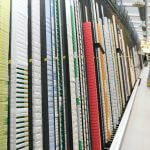 Articles are picked manually from flow racks at a total of ten stations. 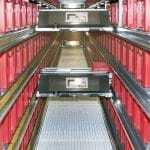 Streamline conveyors handle the internal transport and convey the containers with high speed and precision. Standard orders are started automatically and also automatically receive any necessary documents. The software application KiSoft K-Start starts all the orders for cool applications. 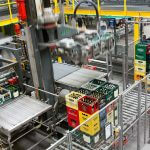 An automatic destacker keeps containers flowing continuously. 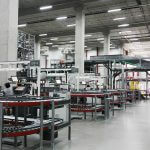 KNAPP’s warehouse control software, KiSoft WCS, manages, controls and optimizes all the processes in the warehouse and seamlessly integrates subsystems such as fast-mover autopickers, the PLC and the material flow system into the overall system. 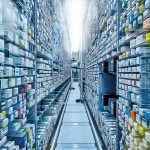 ProServ is a full service provider and supplier in the health industry, serving health facilities in the Cologne area. 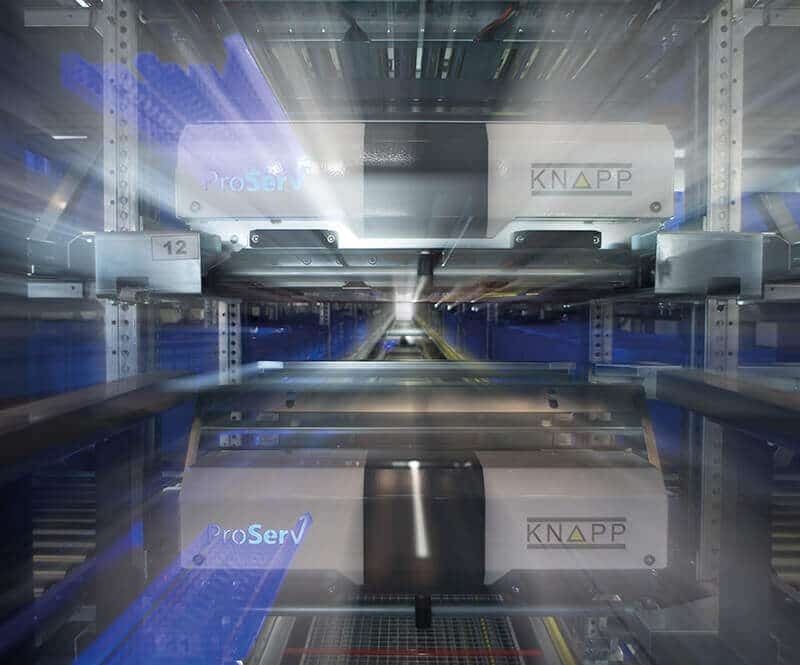 ProServ selected KNAPP’s comprehensive, future-oriented all-in-shuttle solution. 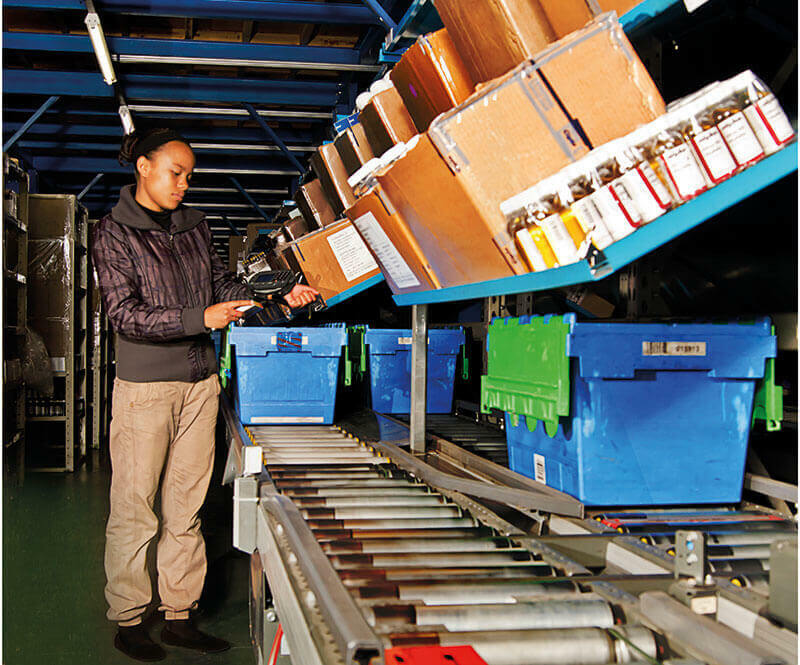 The warehouse management software KiSoft WMS controls, monitors and manages numerous processes ranging from goods-in, stock and storage location management, picking, replenishment control, cross-docking and the handling of returns, ensuring smooth warehouse operations. 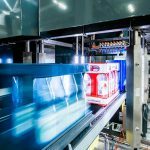 Generating a precise sequence of containers yields clear improvements in delivery quality and speed. 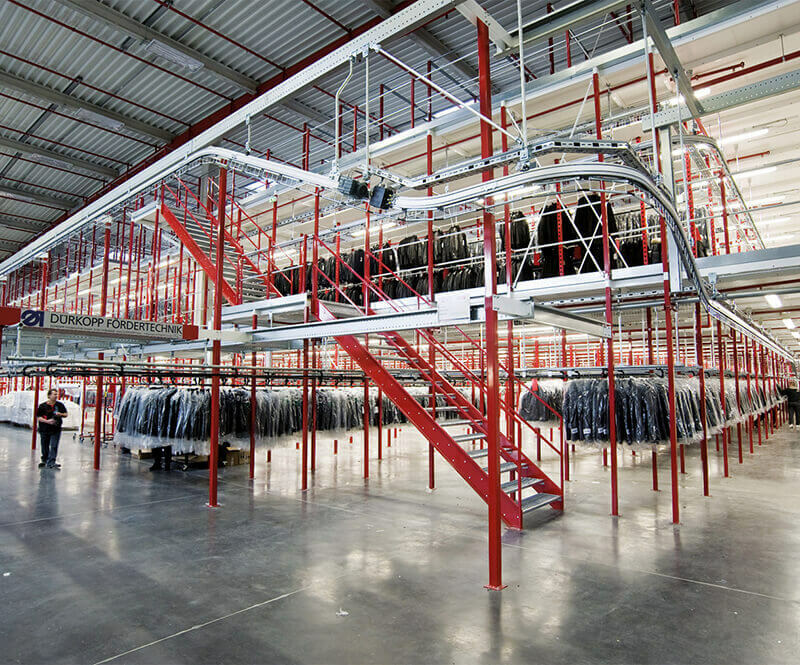 Manual and automated work processes are harmoniously integrated in the warehouse. Special focus was placed on the ergonomic design of all manual work areas and the intuitive operation of the user interfaces. 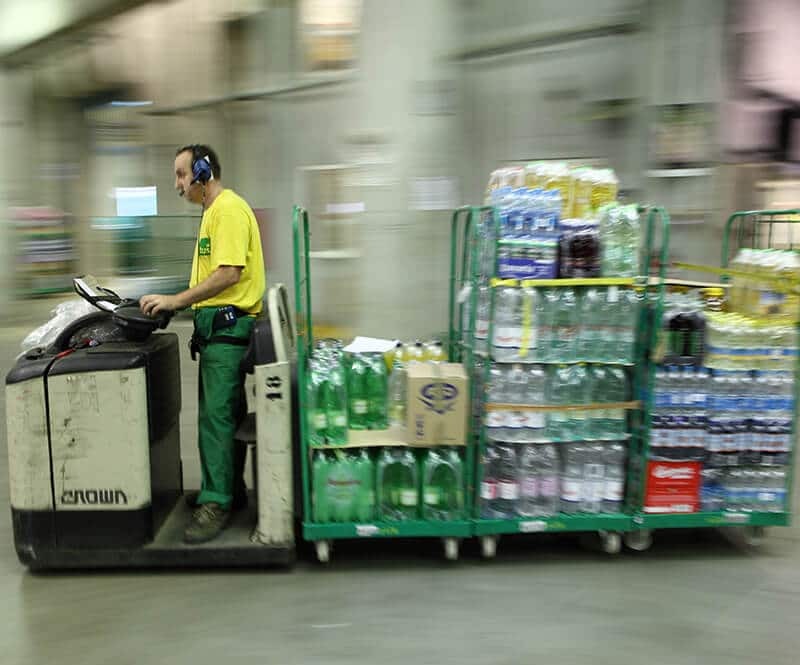 With more than 30,000 employees, RaiaDrogasil is the largest pharmacy chain in Brazil. The company includes more than 1,500 pharmacies, which are directly supplied from 9 distribution centres. 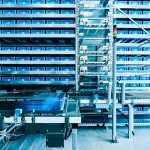 To make the design of the picking processes optimal, a solution was needed for the overstock area and automatic replenishment for picking. The OSR Shuttle™ solution by KNAPP provided optimal automation for the replenishment process. 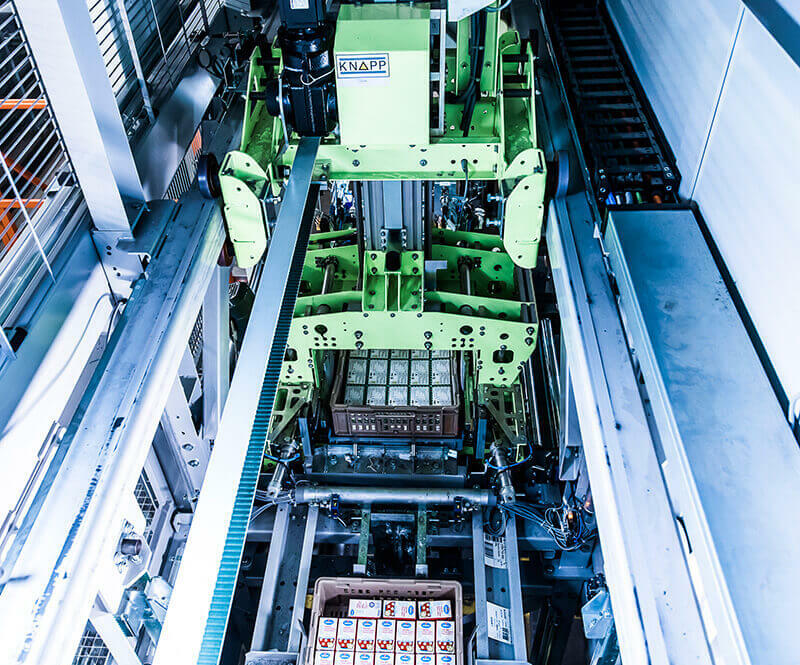 Just one OSR Shuttle™ rack line system achieves the same replenishment performance for RaiaDrogasil that would be provided by 12 stacker cranes. 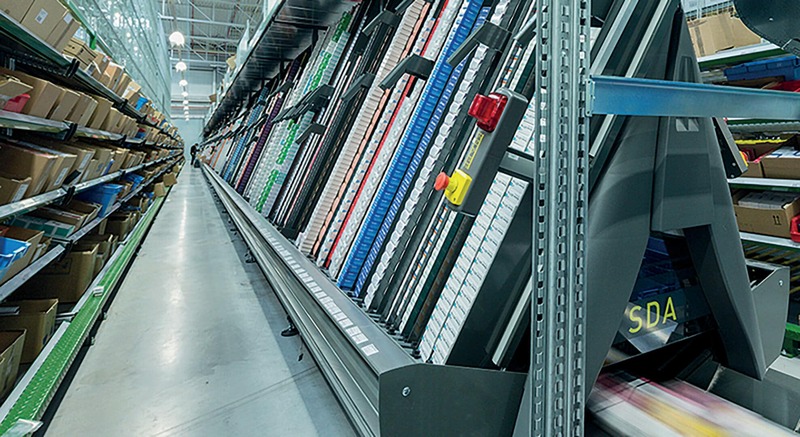 Thanks to the chaotic storage in the OSR Shuttle™ and to the RFID technologies of the pocket fulfillment system, REI has access to every article in the system at all times. 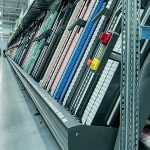 Goods from the OSR Shuttle™ and sorter pockets are picked at the hybrid work station Pick-it-Easy Multi. Using the goods-to-person principle means that every article is only touched once. The ergonomic design of the work station and the smart user guidance with easyUse create a comfortable working environment and reduce the time needed to train new employees. 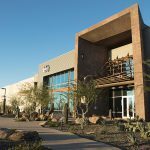 The Goodyear DC supplies REI stores with new and replenishment goods, and processes online orders for the services Pick-from-Store or direct shipping to the end customer. The warehouse control software KiSoft WCS monitors, optimizes and controls all the processes in the warehouse and ensures an even supply of orders to the work stations. 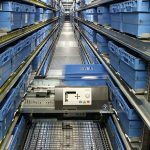 Deliveries arrive at the REI shops already sorted according to theme, colour and size thanks to an innovative sorter matrix. This saves store employees a great deal of work as they put away the goods, and frees up time for consultation with customers. Sanacorp and KNAPP have been working together for decades. 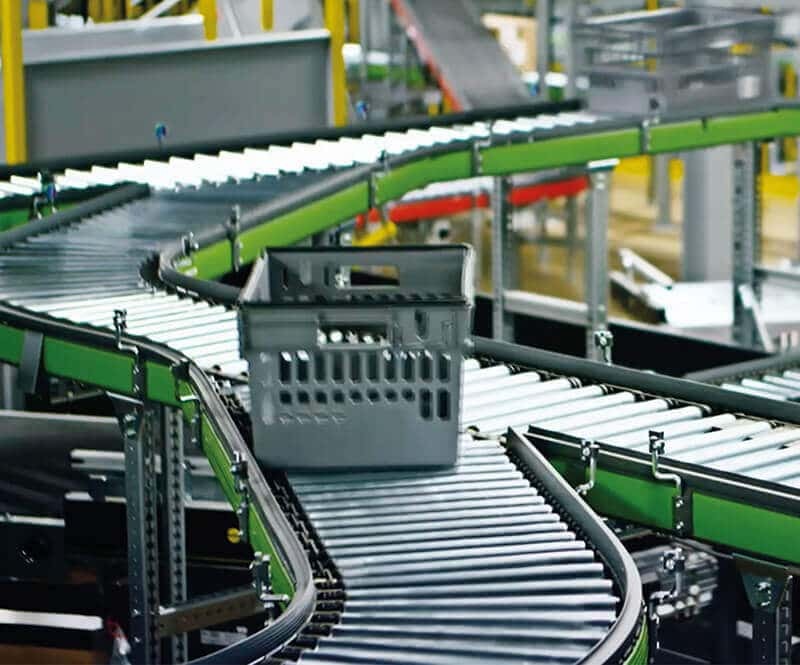 Today, 15 Sanacorp sites use KNAPP’s automation technology, including conveyor systems and central belt autopickers tailored specifically to the requirements of pharmaceutical wholesale. 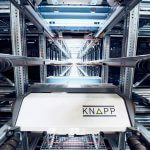 Sanacorp now also relies on new KNAPP technology at its subsidiary in Bad Segeberg. 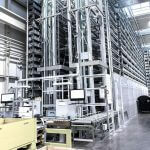 A KNAPP-Store is used for the slow-moving article range, which increases the degree of automation considerably. 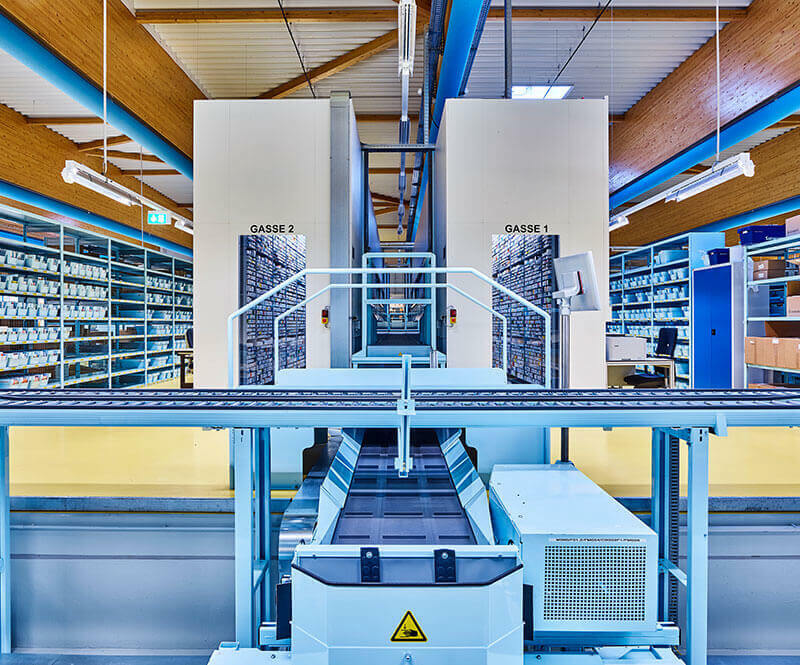 The KNAPP-Store meets current pharmaceutical industry requirements – among other things, the autopicker supports lot tracking and the recognition of security features, thereby providing transparency of all stored articles. 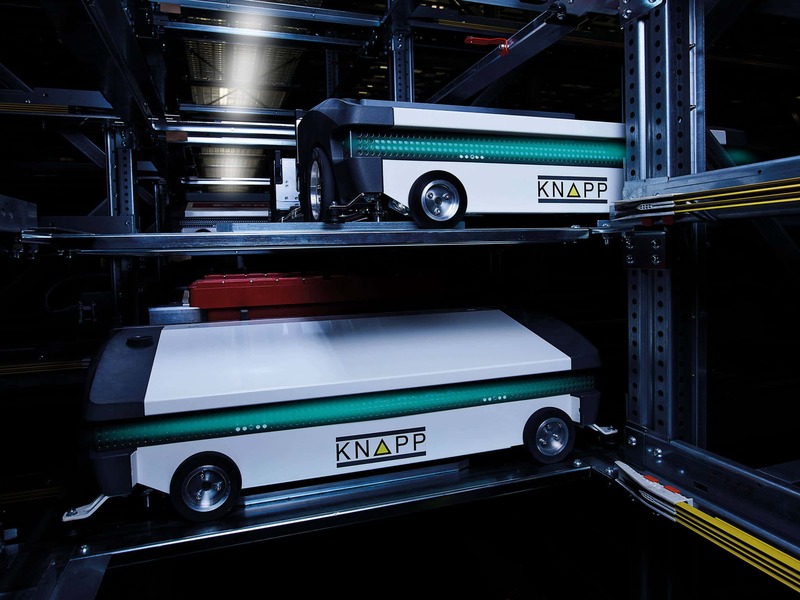 Along with the KNAPP-Store, the high-performance SDA autopicker is used for processing fast-moving articles at Sanacorp, which allows high order volumes to be processed efficiently and safely. 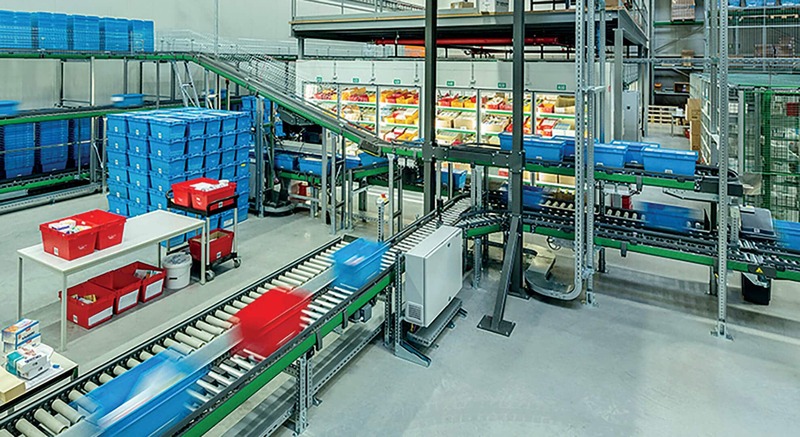 Thanks to the fusion of central belt systems, KNAPP-Store and SDA, the fastest and most expensive order lines can be processed within one system. With a market share of 10 percent, Sinopharm is number 1 among the 15,000 pharmaceutical wholesalers in China. More than 5,000 employees work in the more than 250 distribution centres in China. 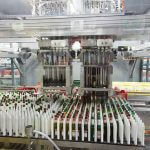 Sinopharm wanted to increase efficiency in its work processes and therefore selected a KNAPP automation solution. By doing so, the error rate was significantly decreased. Furthermore, Sinopharm customers profit from the zero-defect strategy thanks to a higher service level. 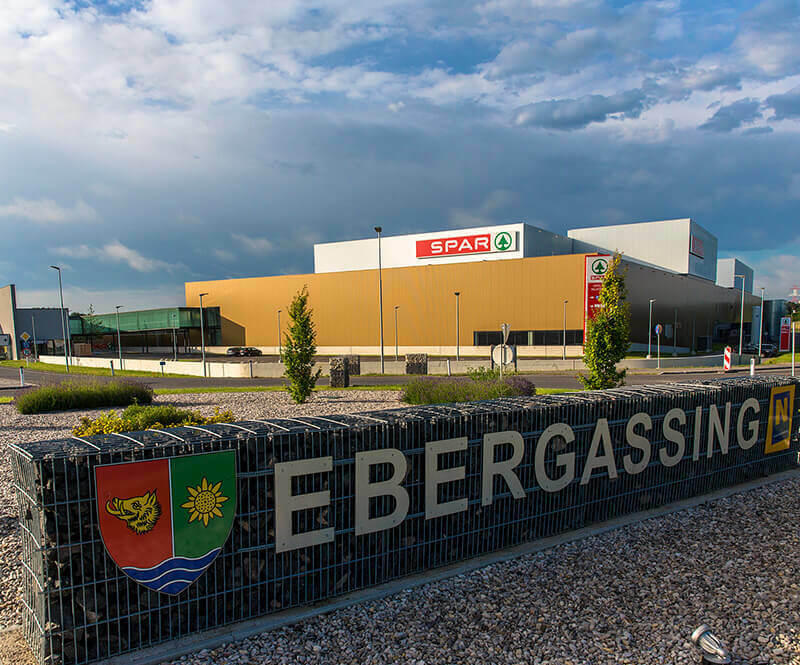 SPAR wanted to be able to react flexibly to all the demands of food retail, and together with KNAPP, they built the most modern DC of its kind in Ebergassing. The solution is a semi-automatic one, but it provides the same performance as a fully-automatic one at a far lower investment figure. Responding to peaks in the food business is also possible without necessarily designing the warehouse just for this peak. 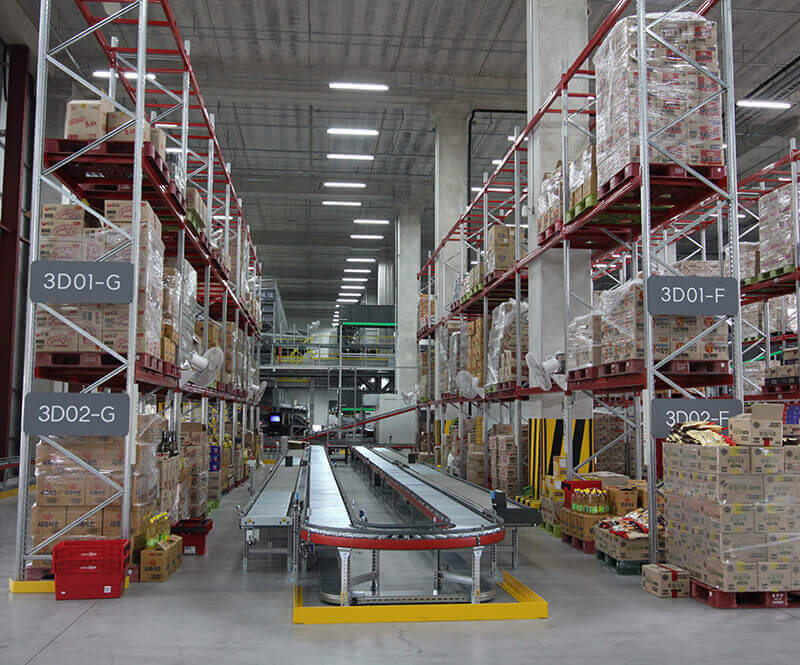 Through innovative technologies, the new warehouse for fresh foods and dry goods achieves the flexibility it was designed to have. 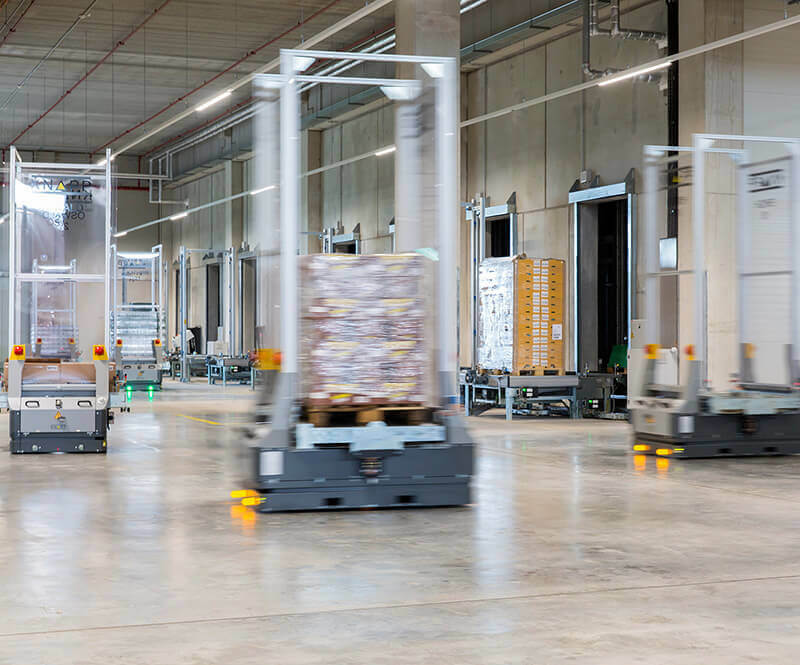 The Open Shuttles are responsible for transporting pallets within the warehouse, and navigate autonomously and freely without physical or optical aides. 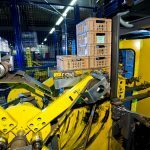 Picking is particularly ergonomic: at the Pick-it-Easy Move work stations fast-moving articles are picked directly from the goods-in pallet to the roll container. 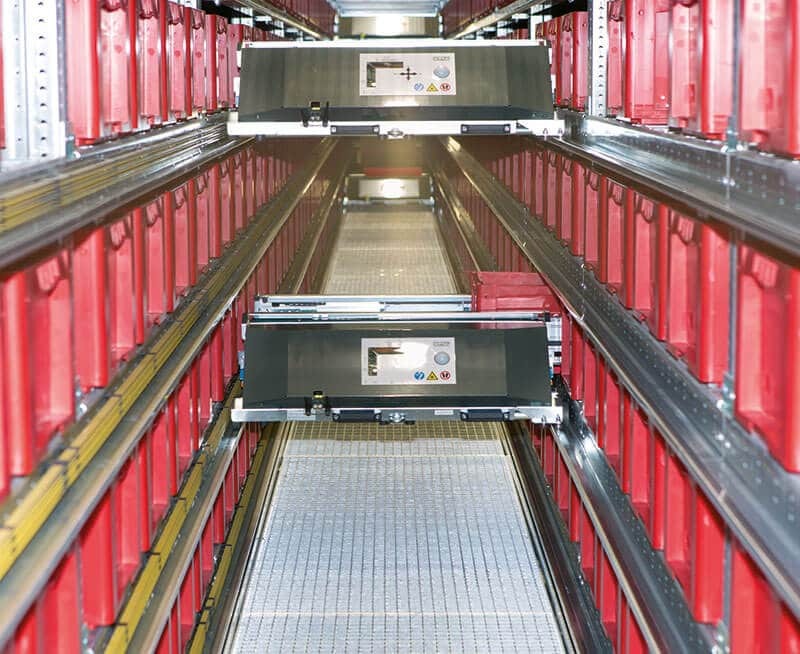 Medium and slow-moving articles are temporarily stored on trays in the high-performance storage and picking system OSR Shuttle™. Then the roll containers for orders are assembled at the Pick-it-Easy Tray work stations. The RMS system is used to handle empties. With 300 employees, Teva is the worldwide market leader in the production of generics. 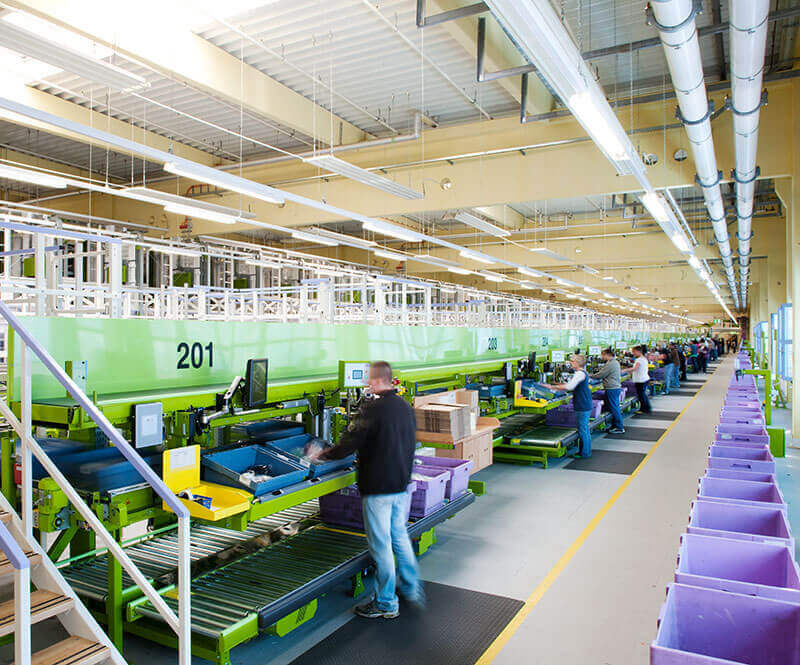 Teva supplies about 4,500 customers from a central warehouse in Israel. 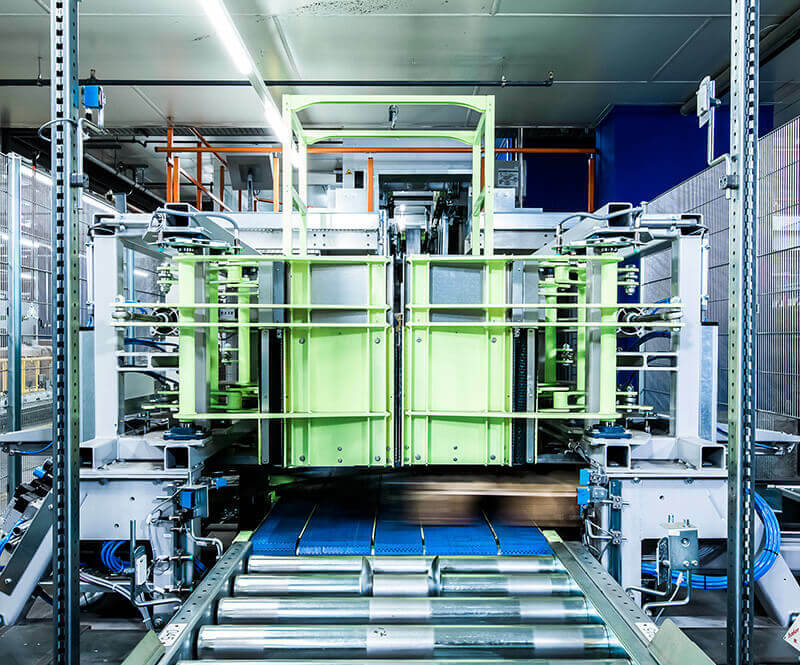 A retrofit solution for the existing location was implemented using an OSR Shuttle™. The shuttle solution provides Teva with sufficient flexibility to account for the growing e-commerce business and in the future to handle the B2C and B2B orders at one location. 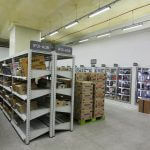 The online food retail company, tudespensa.com in Madrid, supplies more than 130,000 customers throughout Spain. For the satisfaction of the end customer, particular care was taken to ensure that the solution handles the special demands of e-commerce. 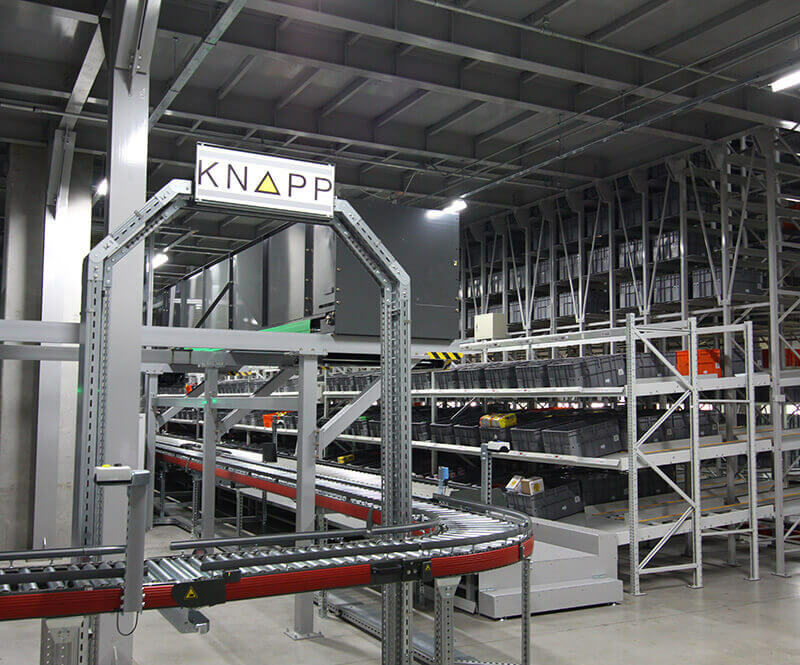 KNAPP made the E-Grocer system concept a reality in the Madrid DC. 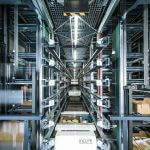 Two OSR Shuttle™ systems comprising five rack lines form the heart of the warehouse. 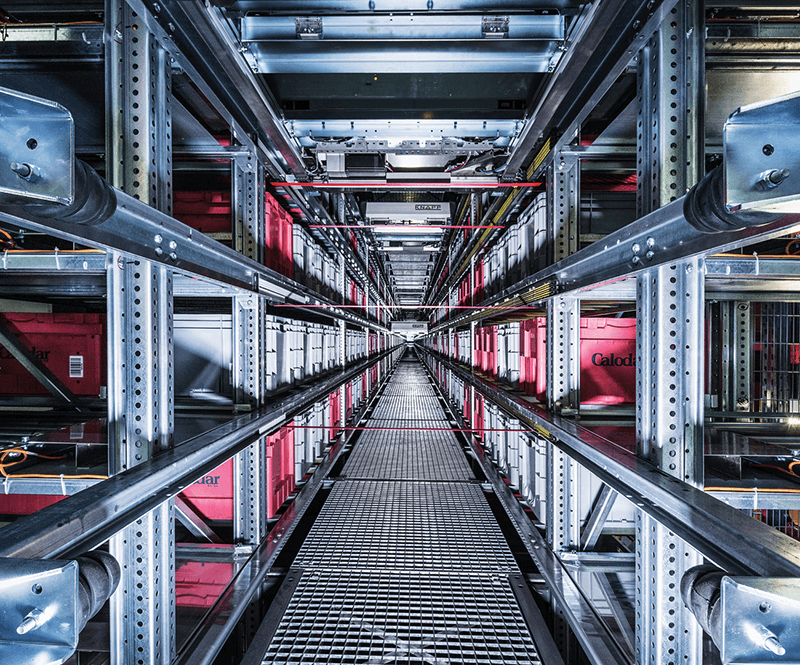 Two rack line systems with 9,216 storage locations are provided for double-deep storage of the dry goods range. 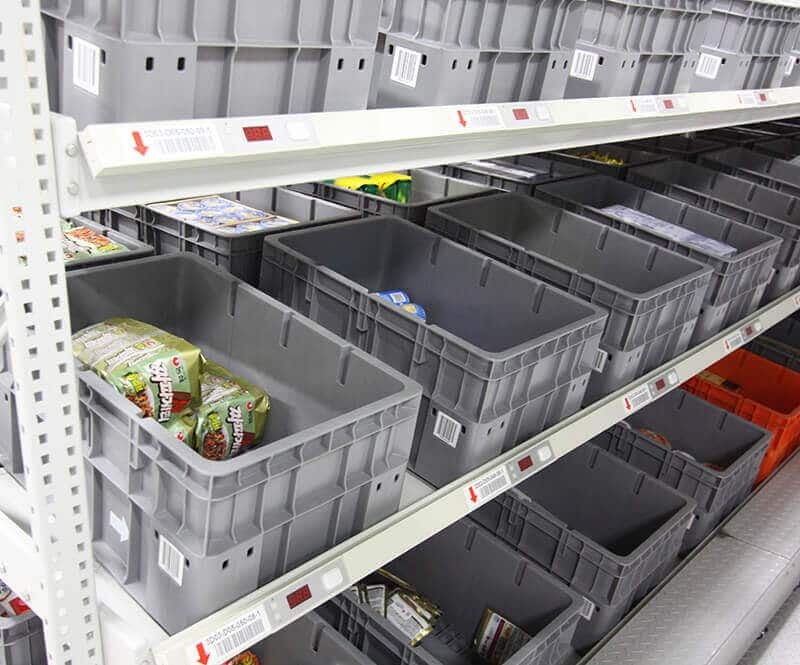 4,680 storage locations are included in the other three rack line systems, which store the fresh foods and provide interim storage for dispatch. The five Pick-it-Easy work stations ensure highly ergonomic picking for medium and slow movers based on the goods-to-person principle. 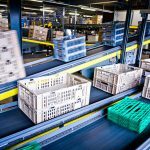 Fast movers are picked directly from the pallet to the shopping bag, which is an optimal combination of manual and automated processes. With this approach, order lead time is drastically reduced. 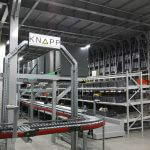 In the TUŠ warehouse in Celje, Slovenia, various KNAPP technologies are used to enable paperless processing for all warehouse processes. Among other things, an OSR Shuttle™ is used with three work stations in two different temperature zones. 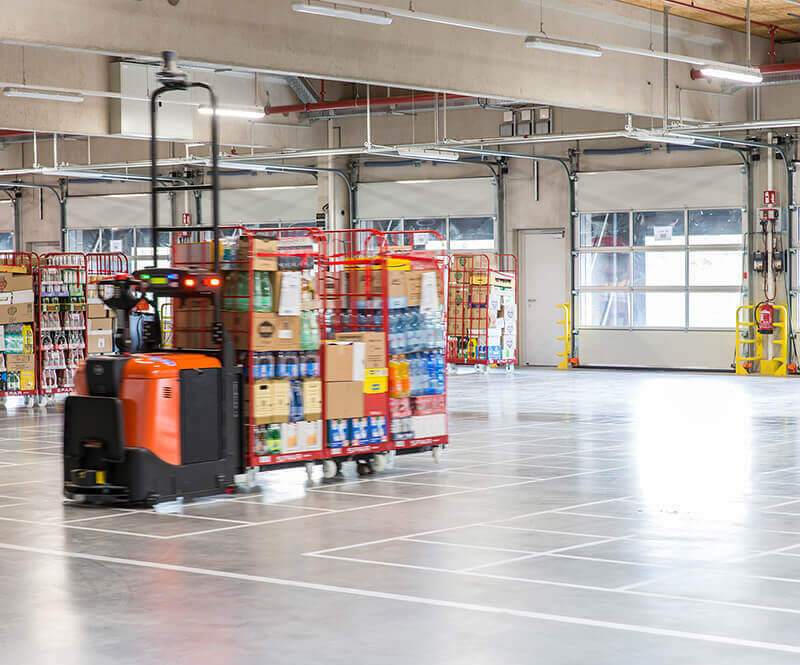 Several forklifts independently navigate the warehouse with the help of KiSoft Automove and handle various transport tasks. KiSoft Pick-to-Light, KiSoft Voice and RF picking support the manual picking. 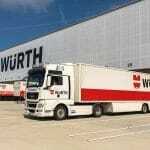 Warehouse management and control of all processes is handled centrally by KiSoft WMS. 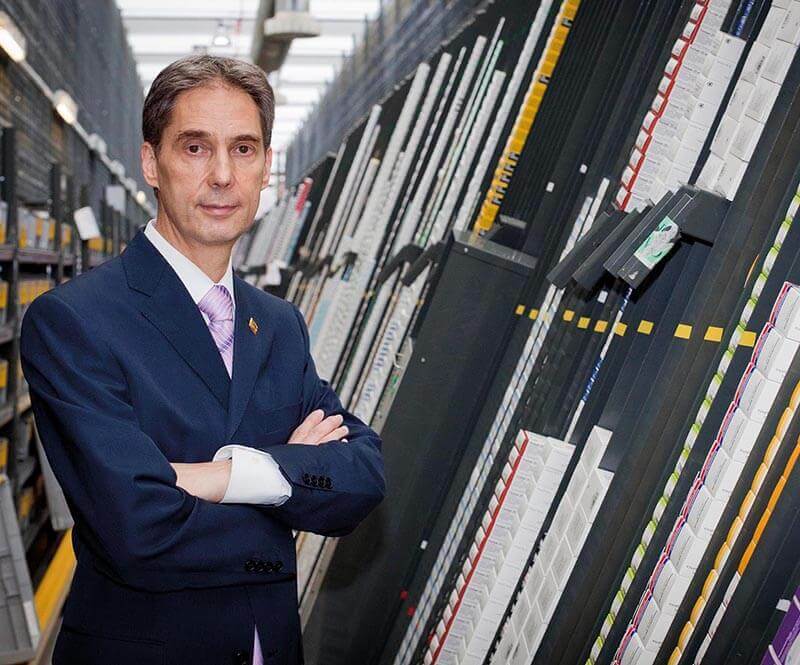 The end-to-end, paperless flow of goods and information without a change of media increases the quality of delivery while reducing error sources. 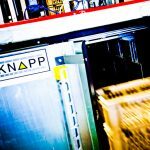 KNAPP’s solution offers a significant increase in throughput in the fresh and refrigerated area. 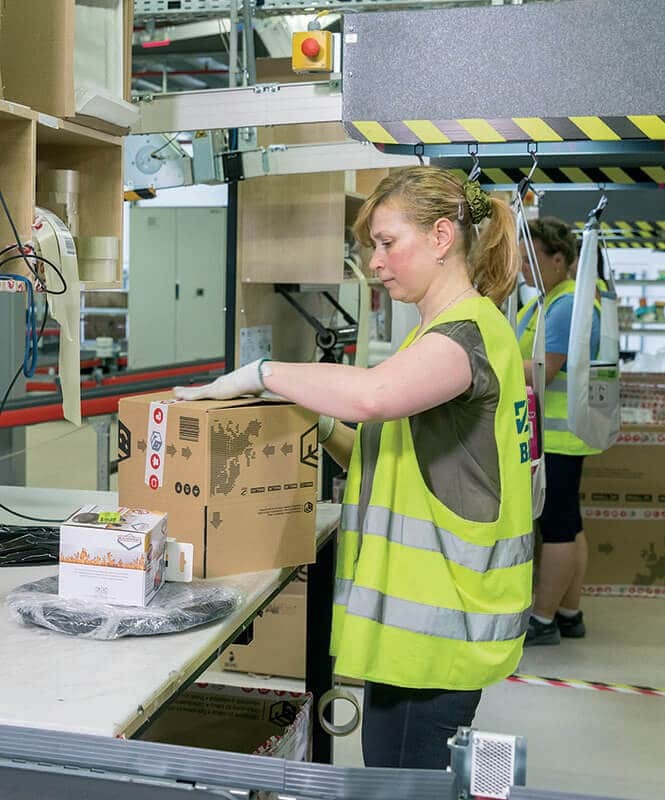 The Walgreens Boots Alliance Group is the UK’s leading commercial enterprise for health and beauty products and offers next-day delivery to its customers in Britain and Ireland. The online business is characterized by a huge stock of goods for small orders consisting of different products as well as extremely high seasonal peaks. In the past 6 years, the order volume of 6,000 orders per day during normal periods and 18,000 orders per day during peak periods has grown to be 28,000 to 95,000 orders per day respectively. 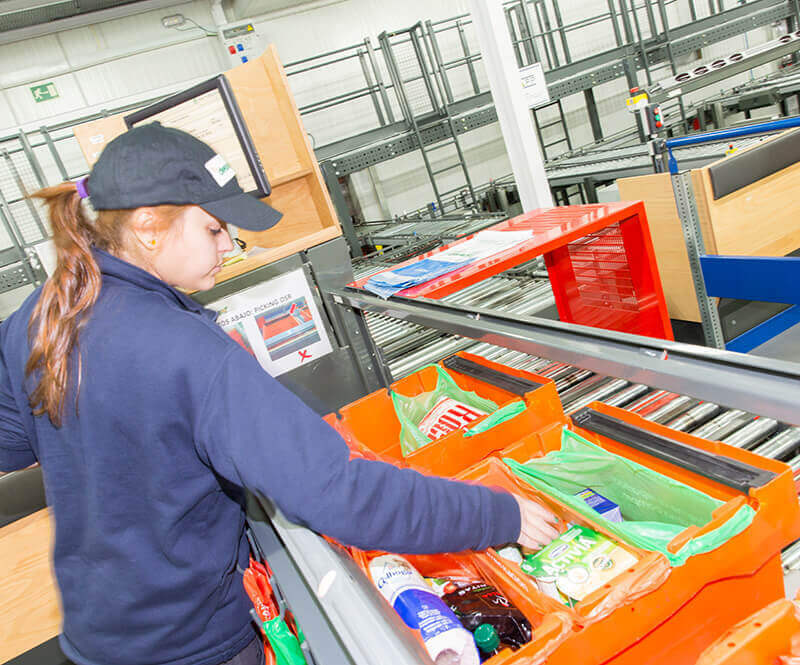 The innovative KNAPP solution puts Boots UK in the position of supplying next day delivery by 8 am to 2,400 stores for pickup by the end customer. 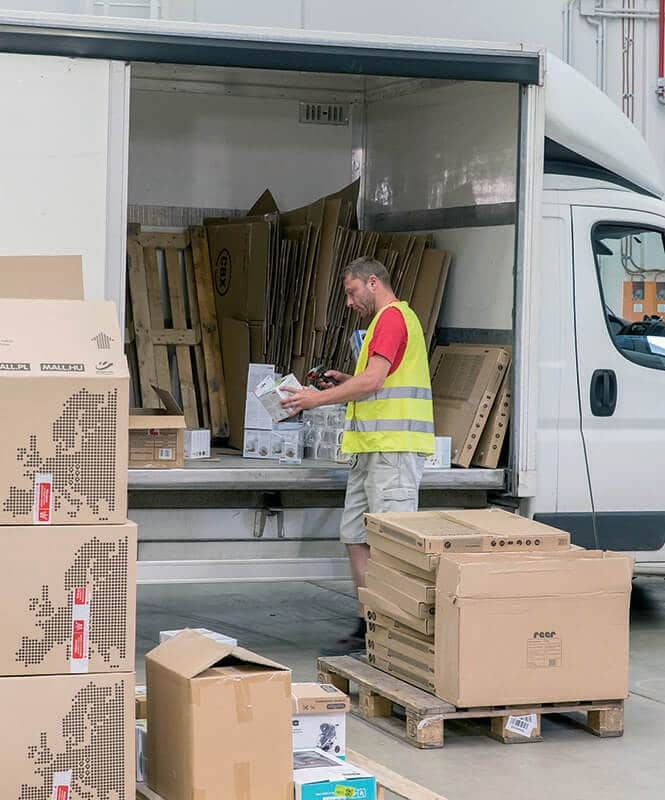 Faster delivery times and increasing orders led Weisser to relocate its decentral warehouses to the central production location in Neresheim. 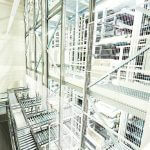 Weisser decided to build a 20-metre-high hall with 3 levels to make best possible use of the small space available. 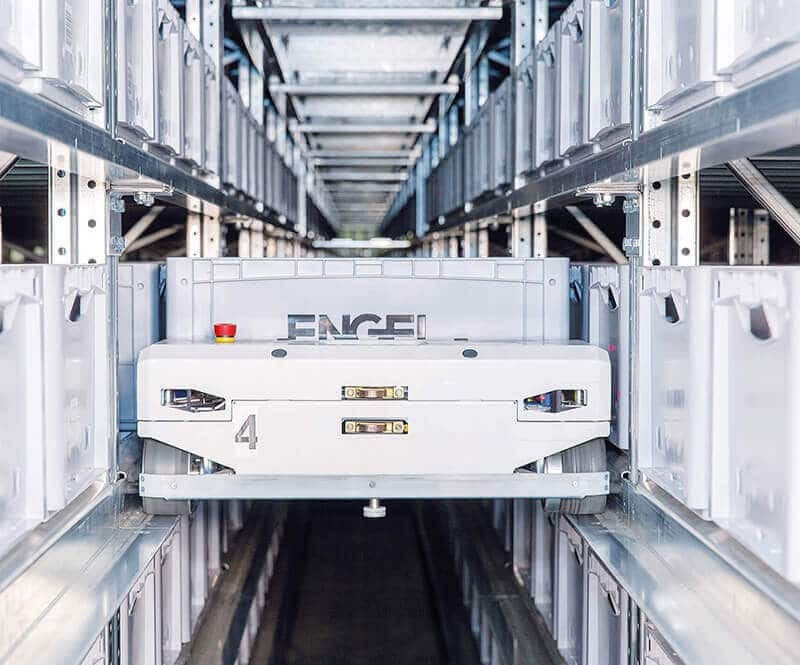 Bearing this in mind, a YLOG-Shuttle system was constructed with 37,000 storage locations for 13 different types of cartons stored either one or two deep. Three Cross Lifts are installed on the long side of the rack, connecting the ground floor with the racks on the upper floors. 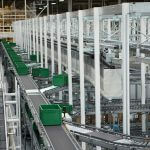 Retrieval and storage conveyors supply the cartons to the ergonomic work stations before they are stored once again. A number of easyUse user interfaces guide employees through the work process, ensuring efficient and accurate order processing. 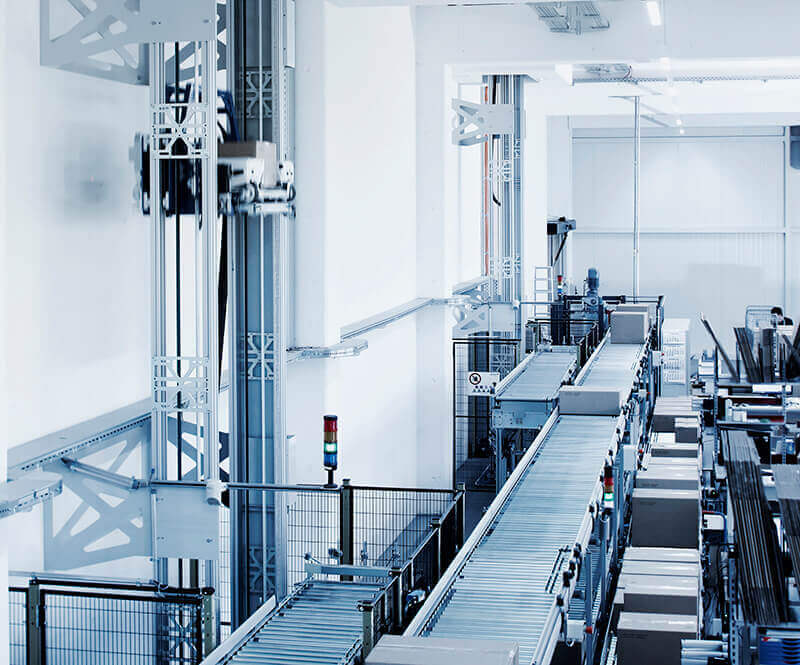 Weisser Spulenkörper GmbH & Co KG was founded in 1922 and is a leading producer of technical plastic parts, manufacturing high-quality bobbins and housings for sensors, magnets, transformers, relays and motors.